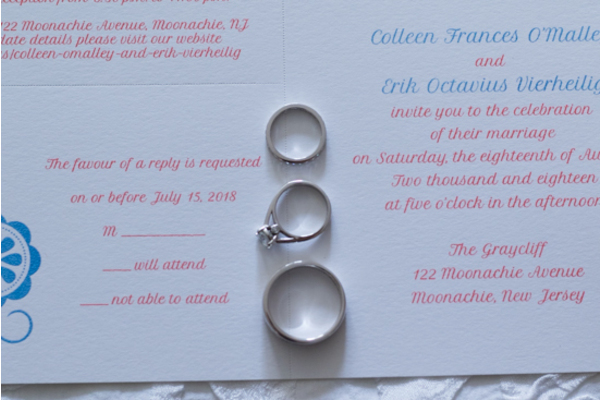 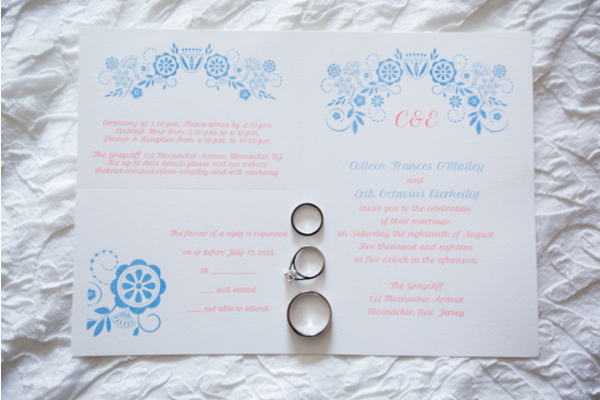 Congratulations to Colleen and Erik on their marriage! 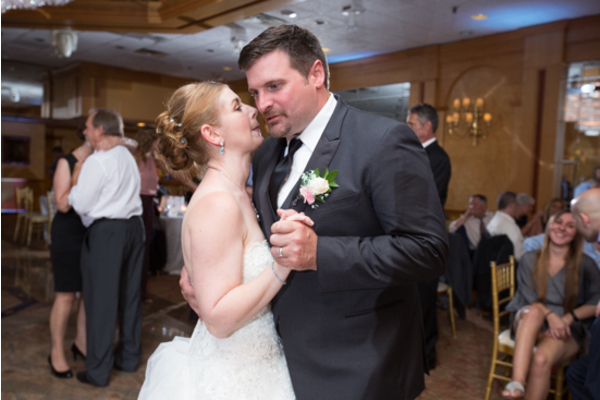 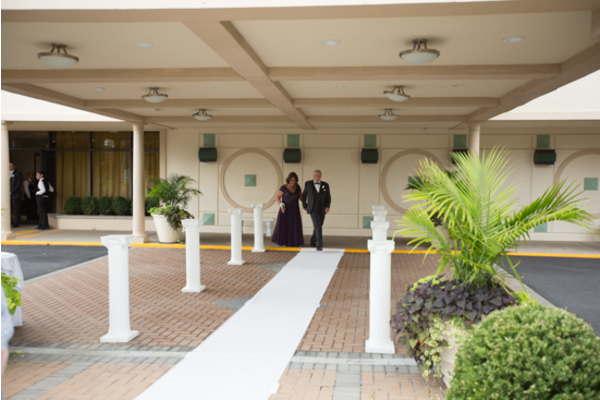 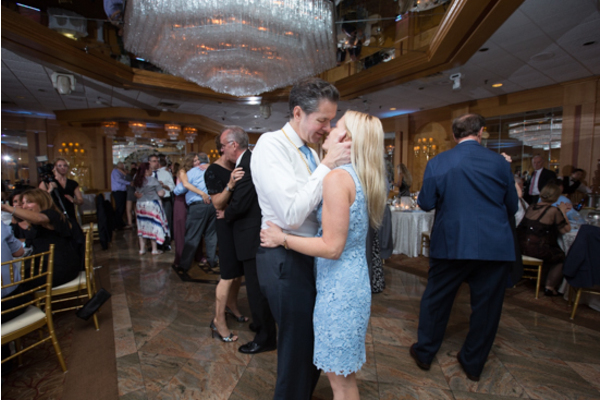 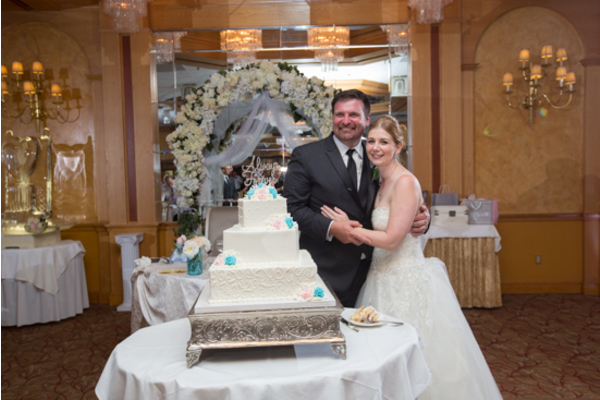 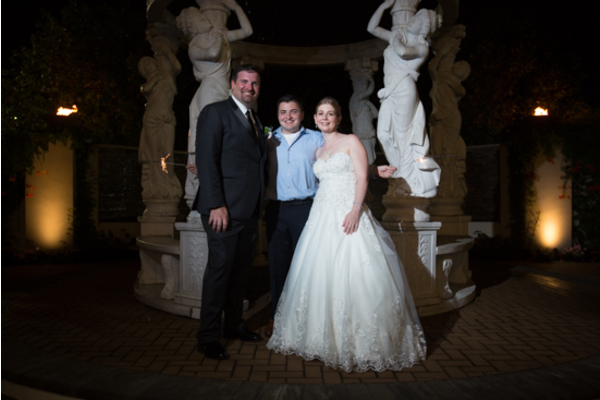 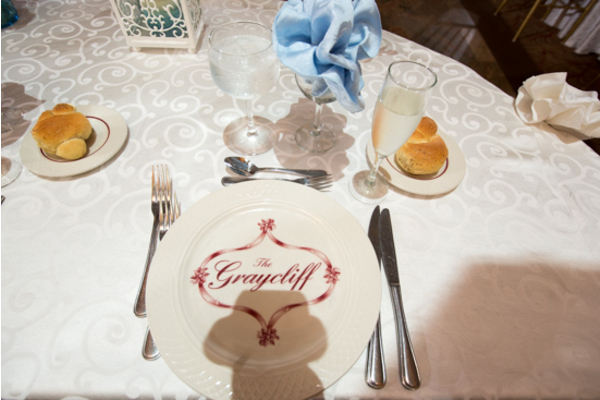 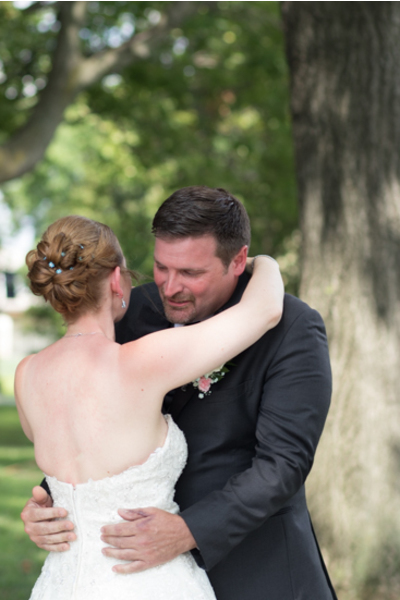 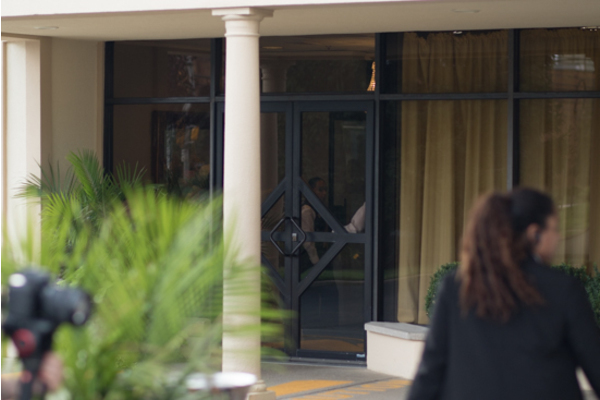 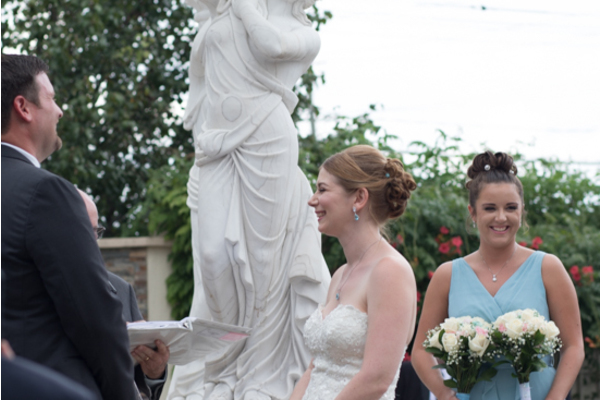 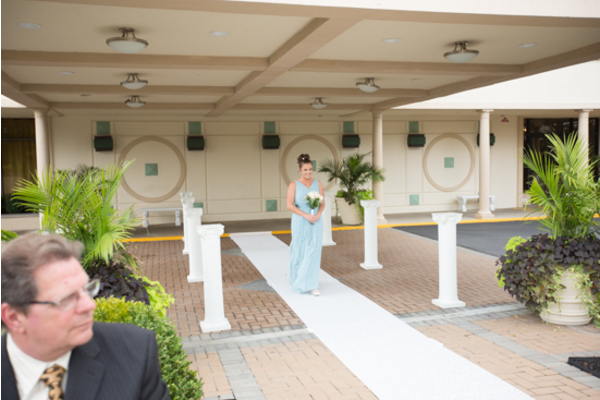 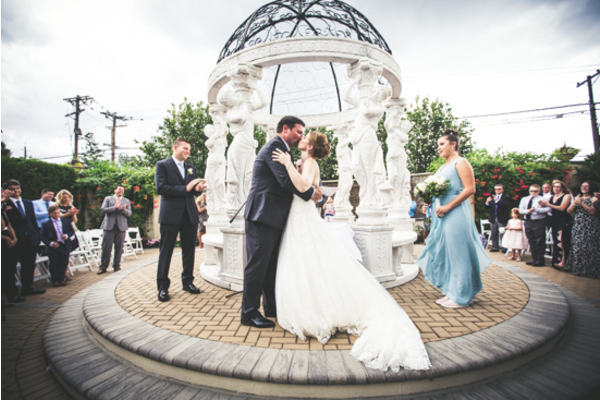 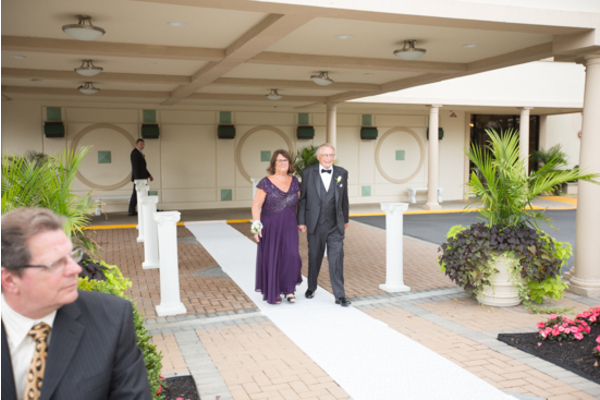 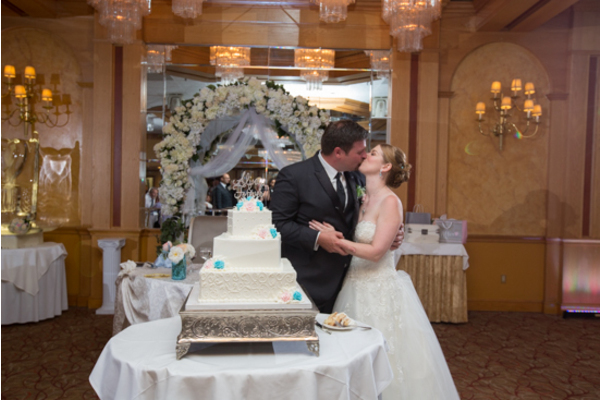 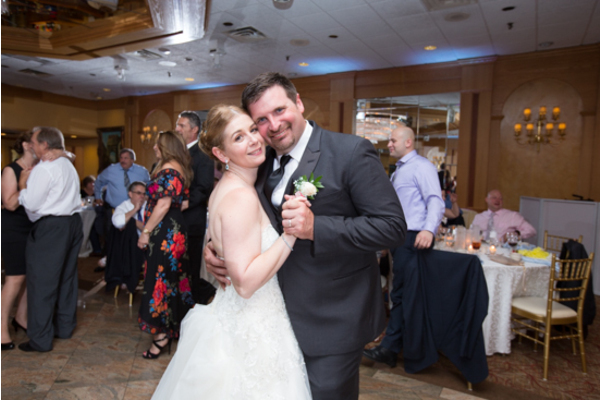 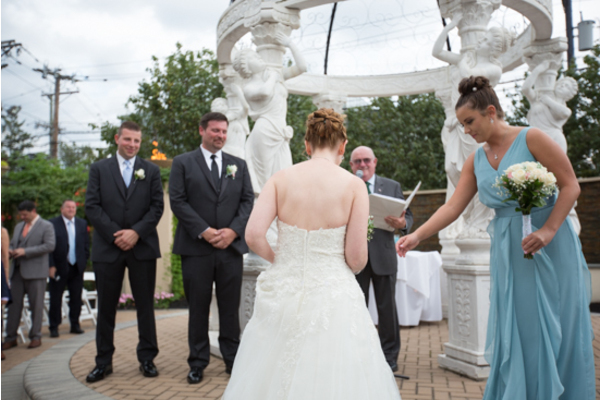 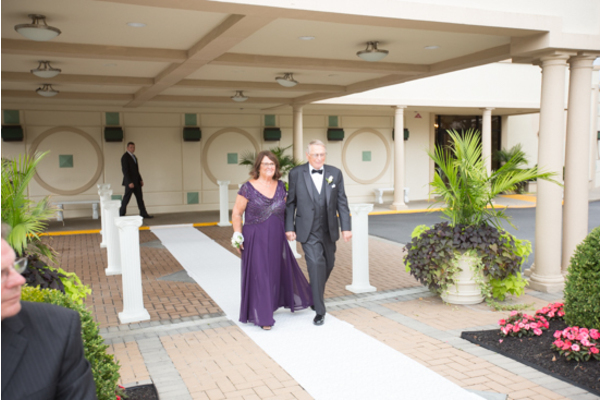 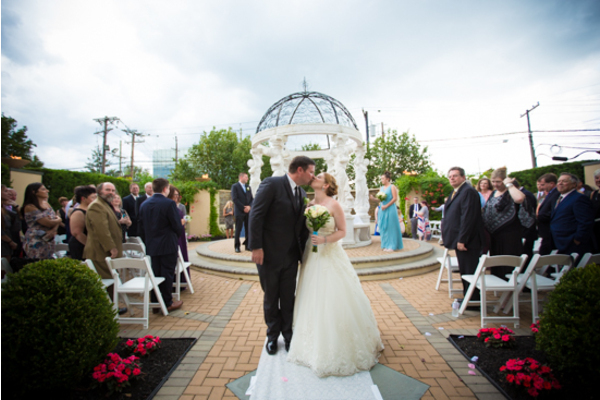 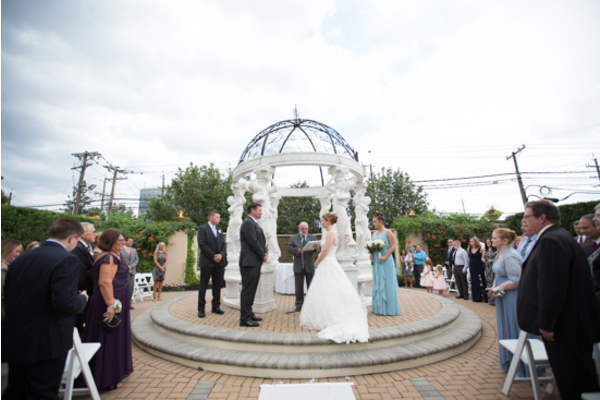 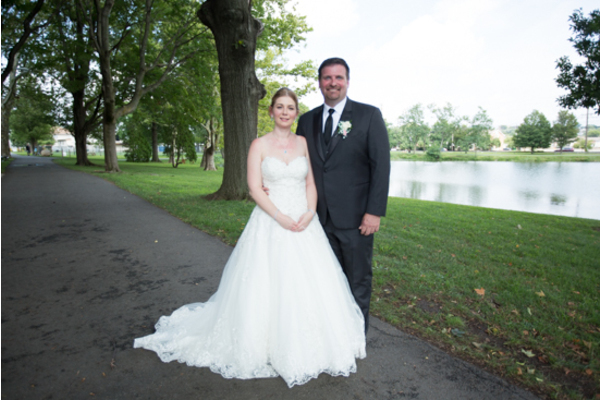 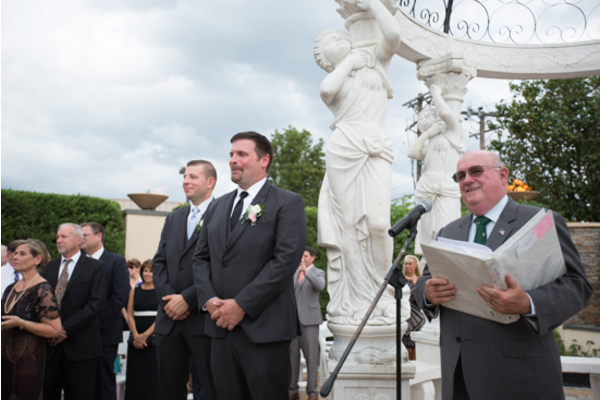 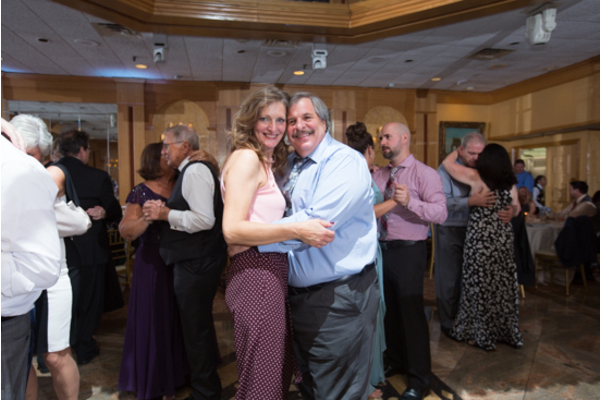 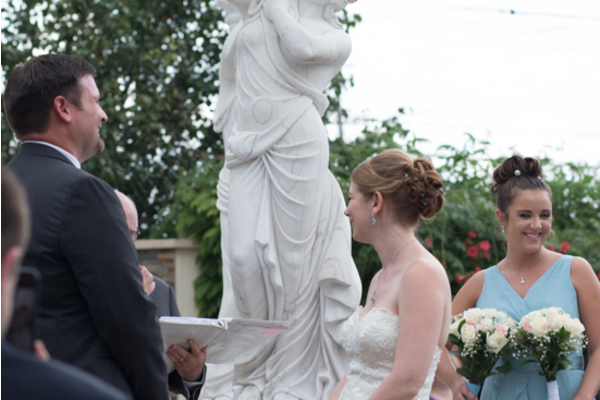 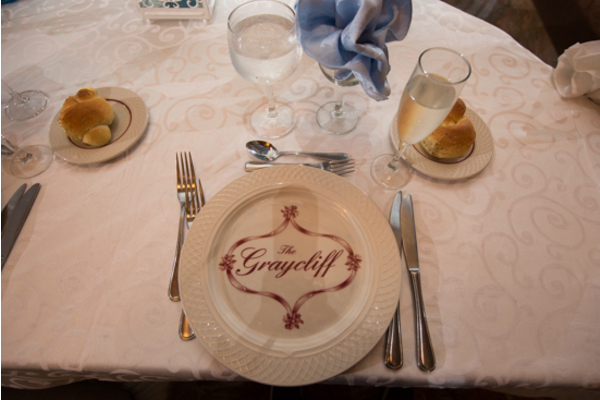 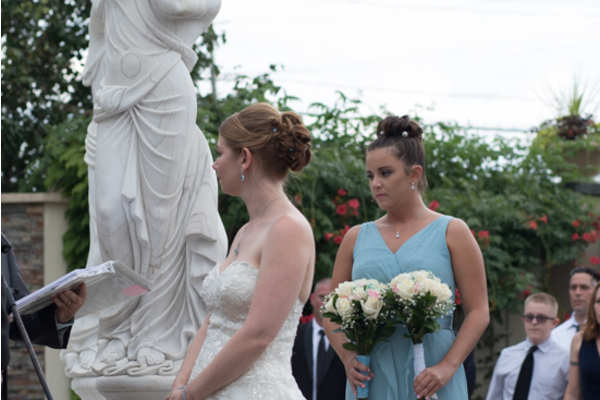 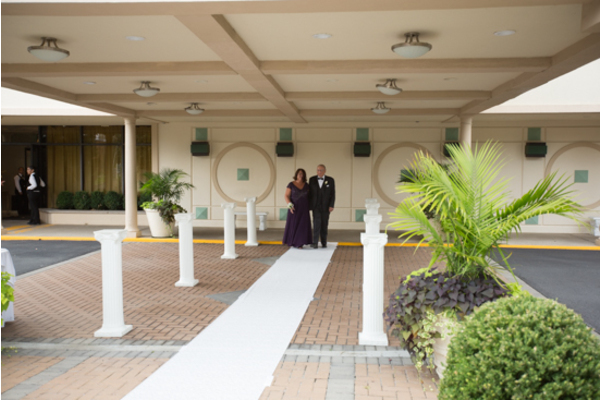 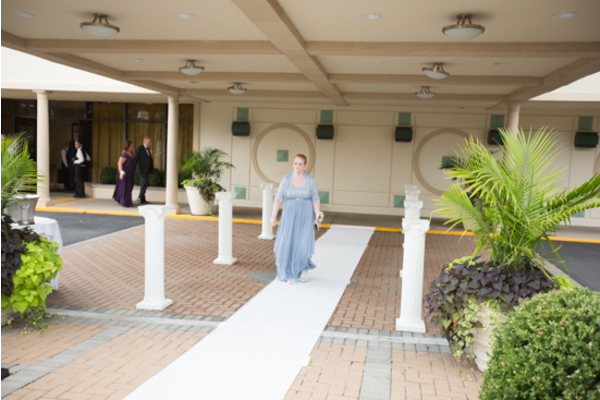 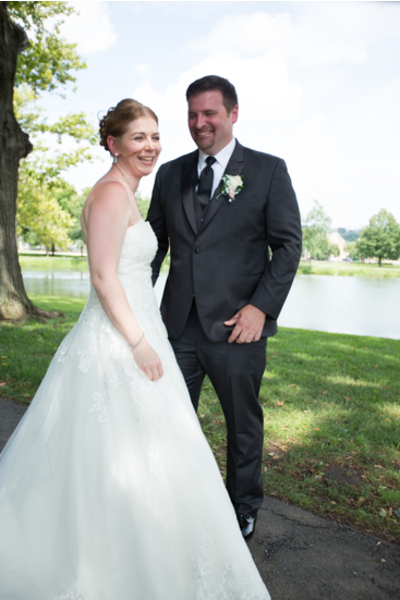 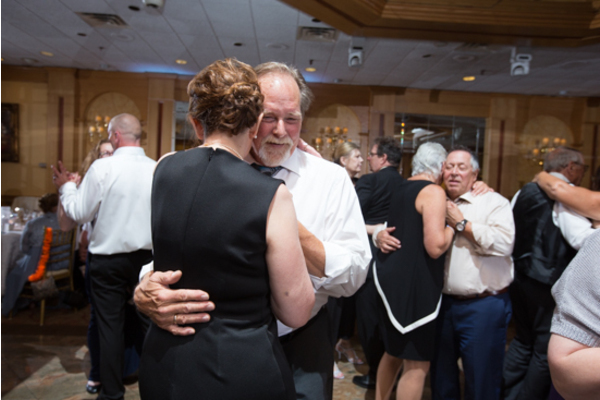 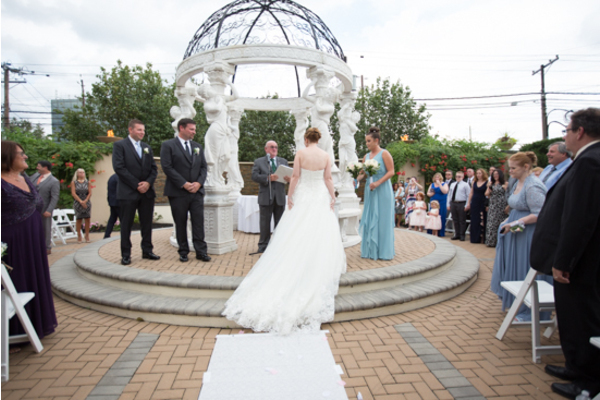 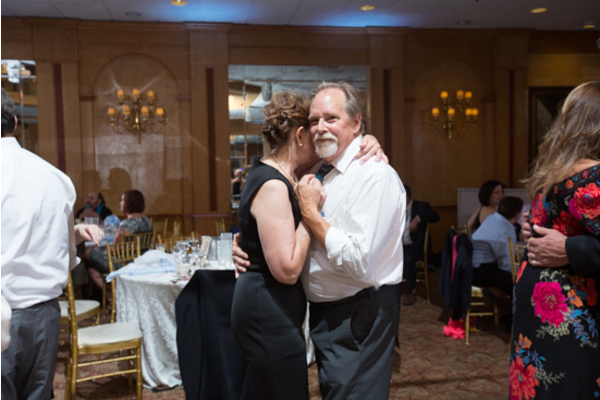 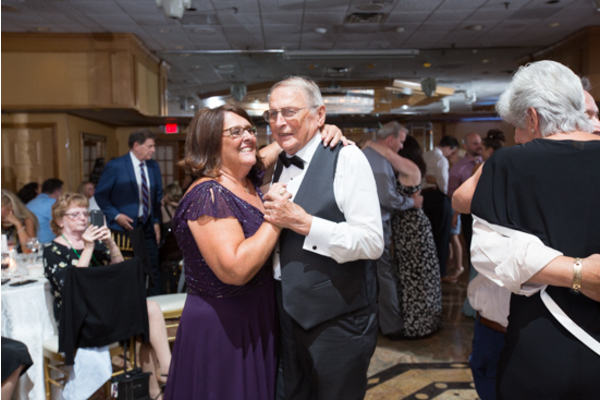 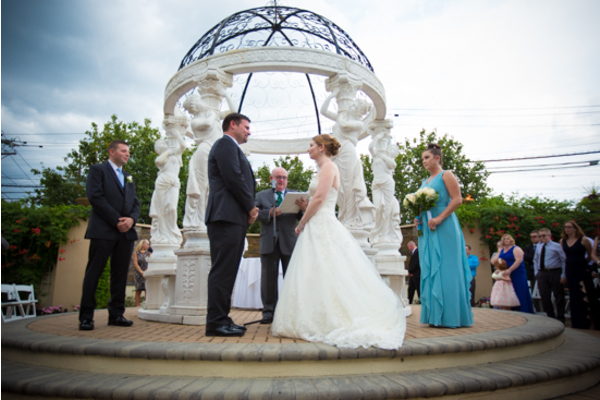 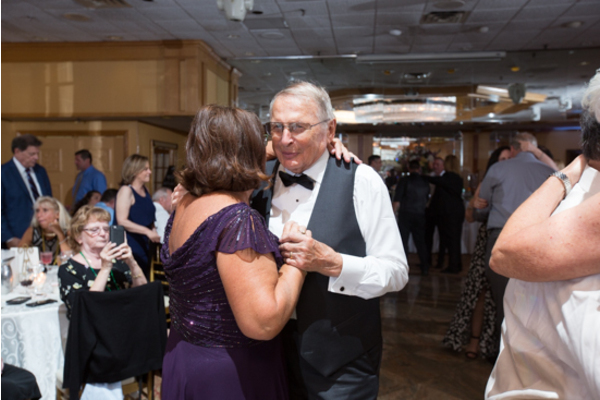 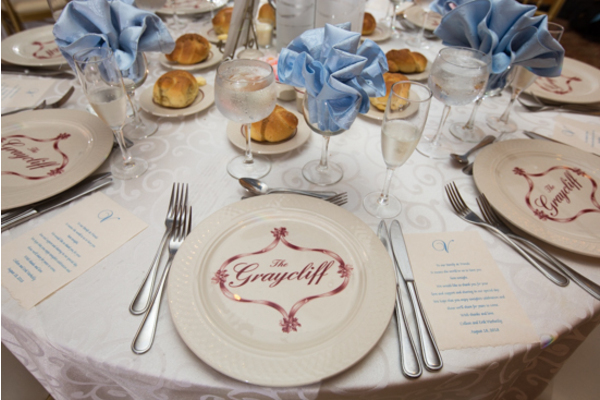 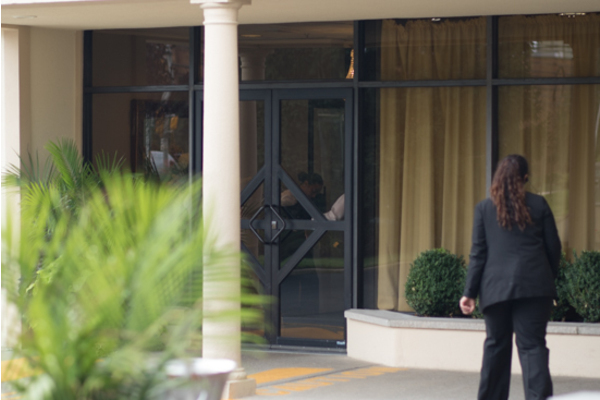 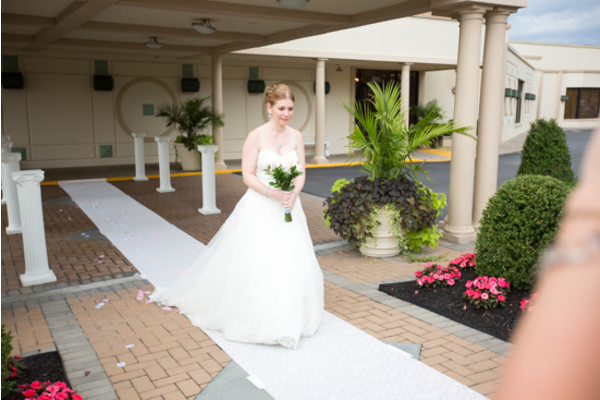 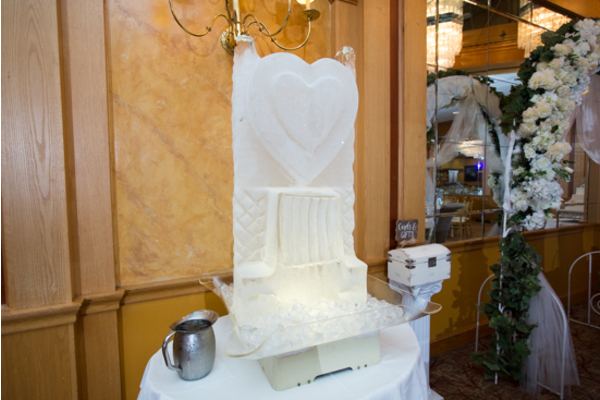 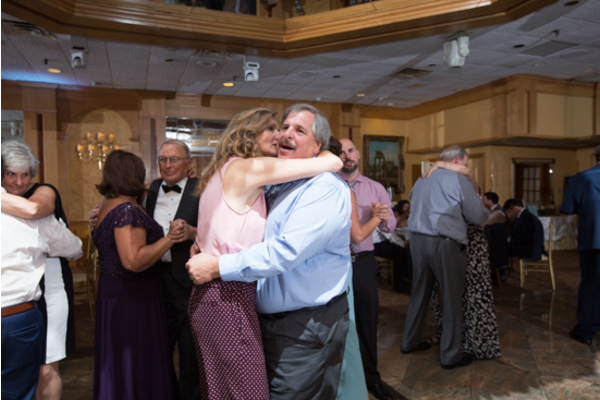 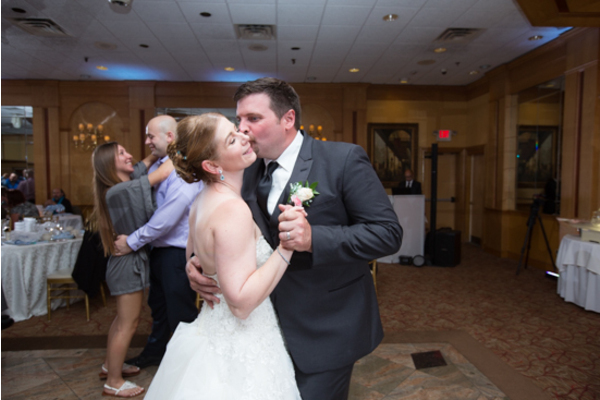 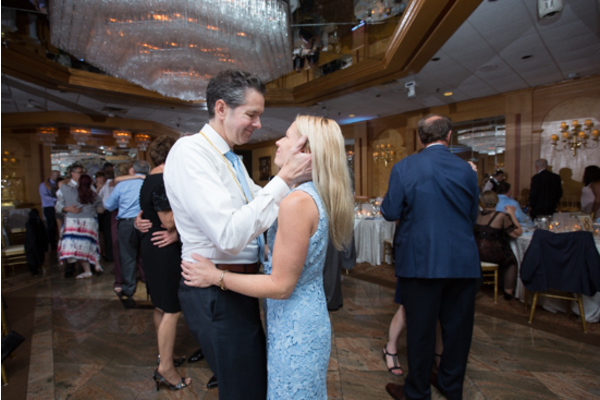 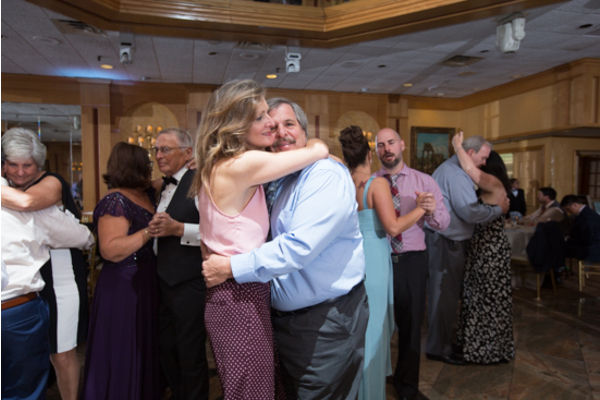 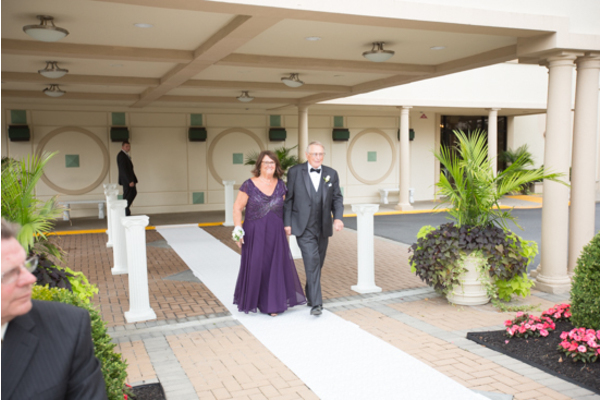 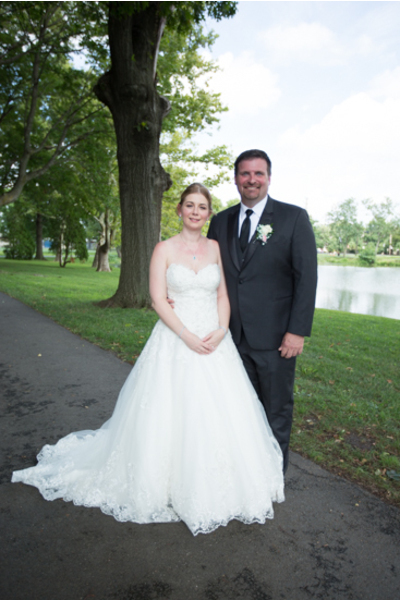 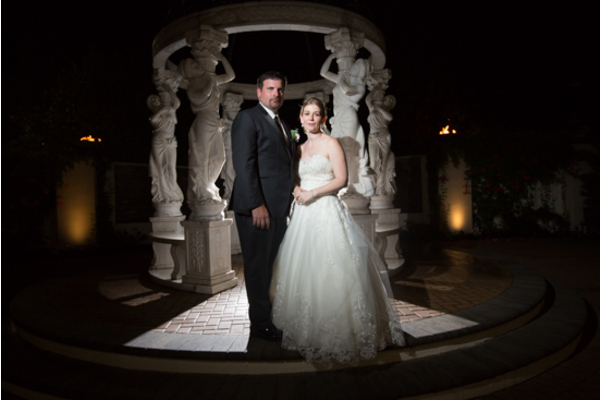 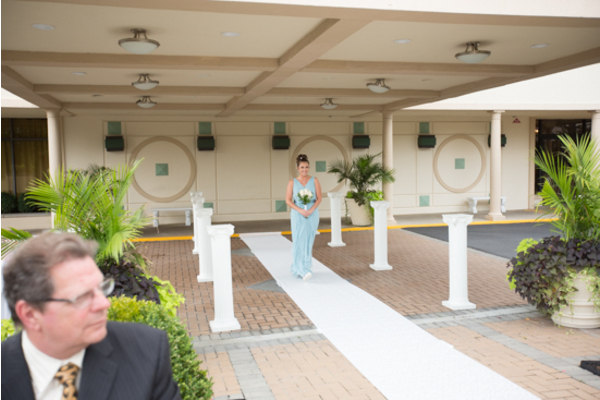 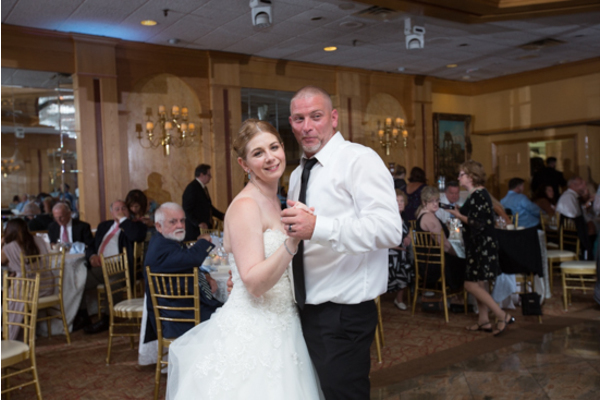 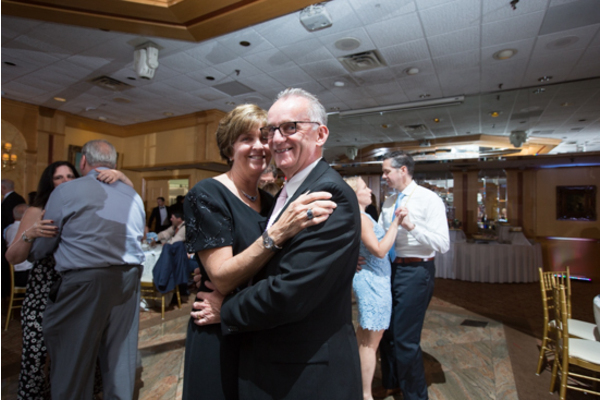 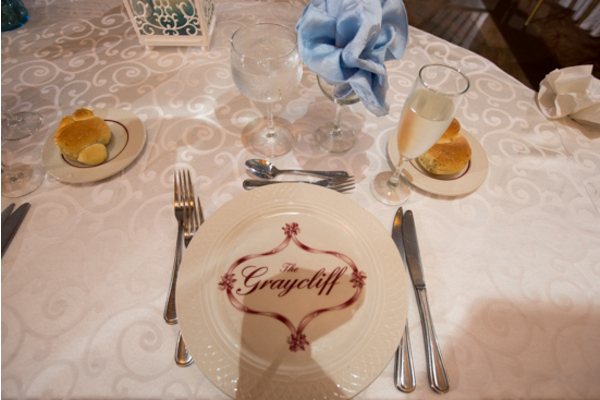 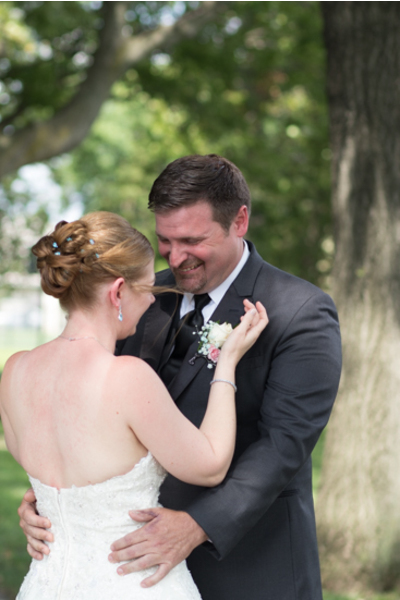 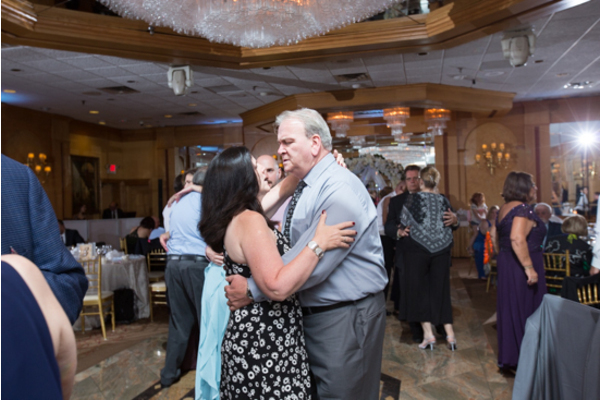 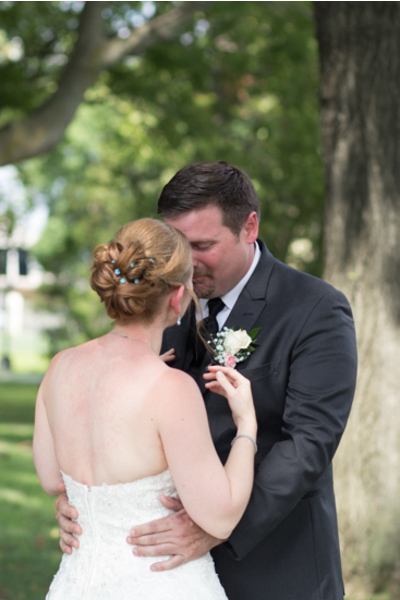 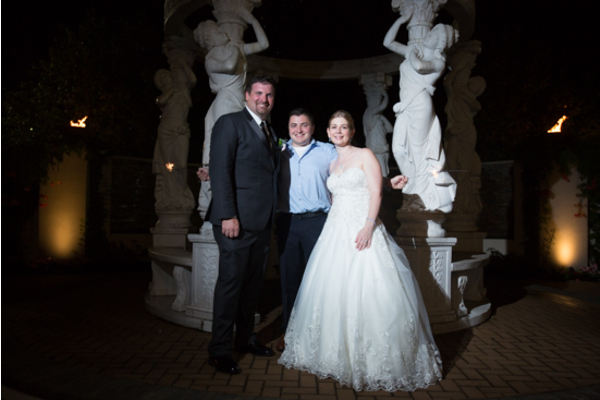 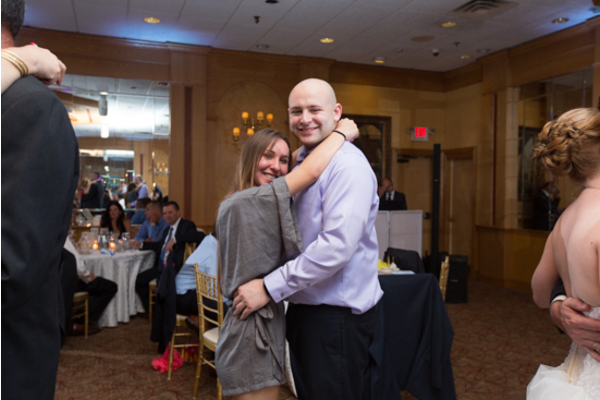 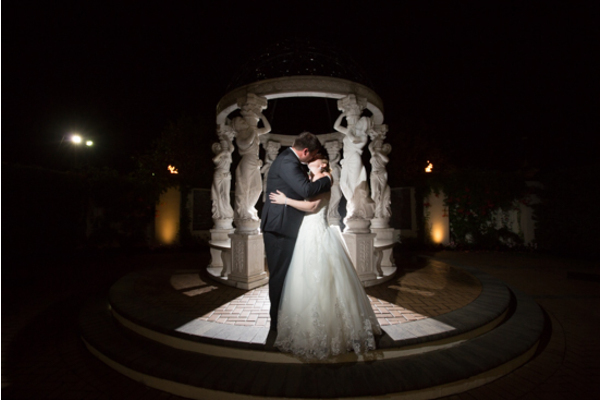 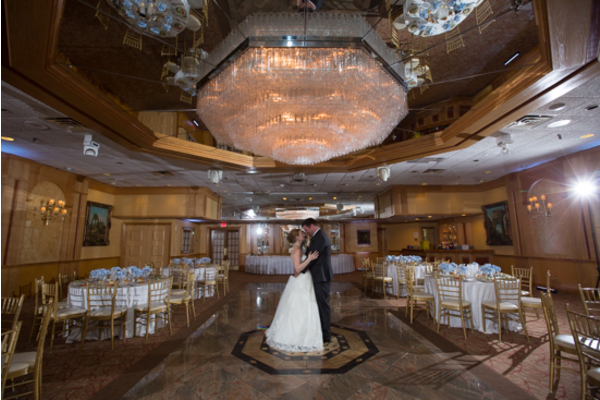 On a lovely summer day, this lovely couple celebrated their love at The Graycliff in Moonachie, NJ. 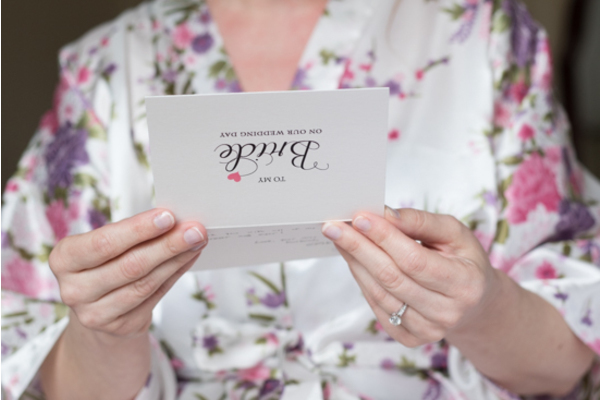 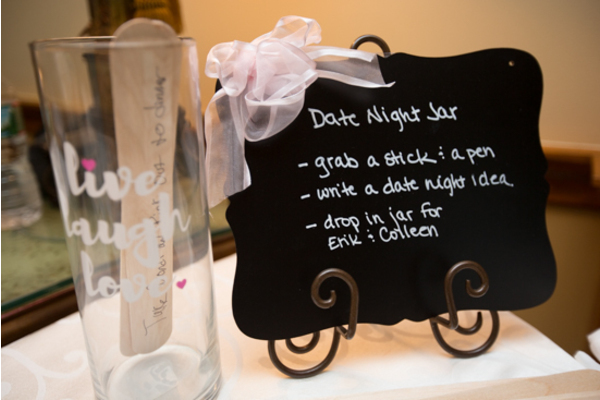 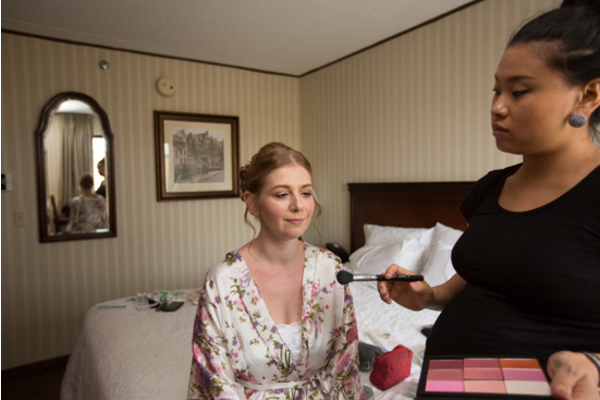 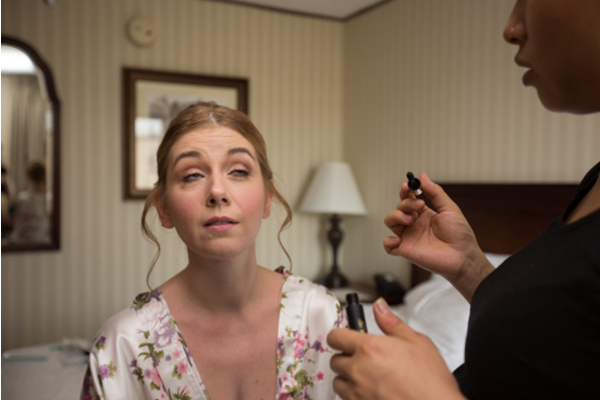 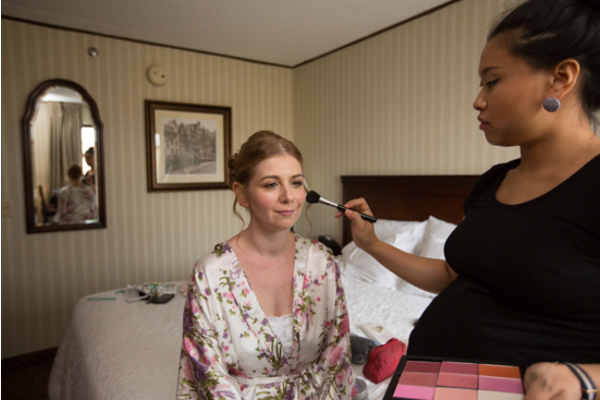 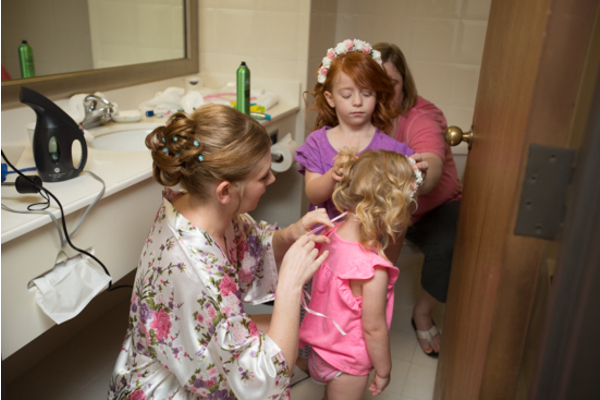 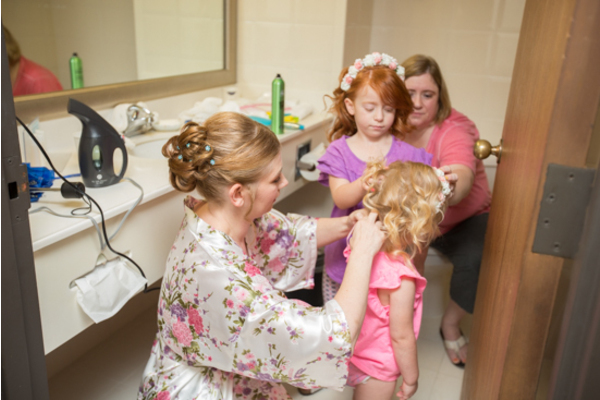 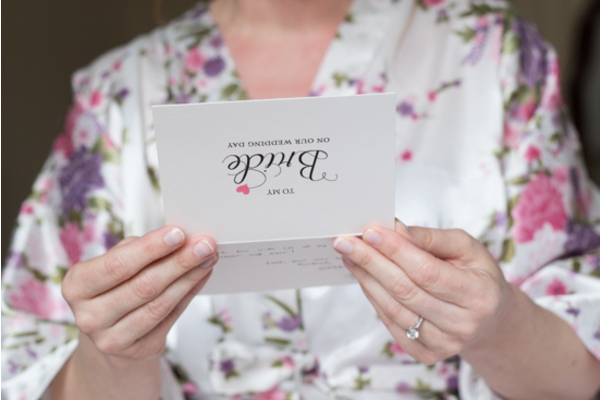 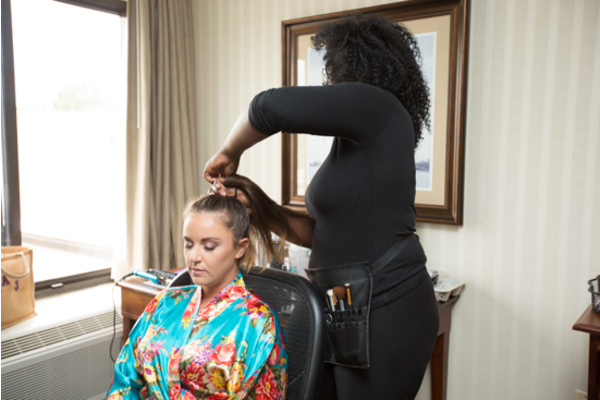 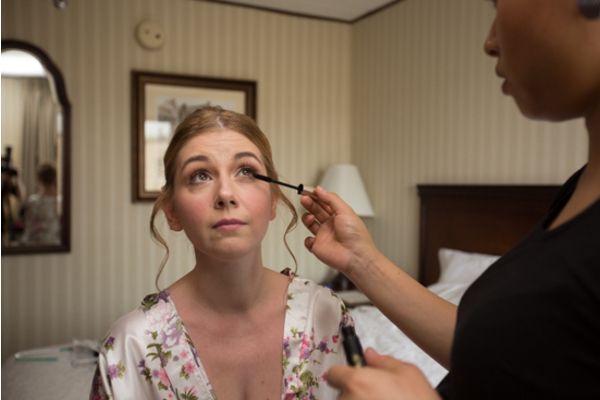 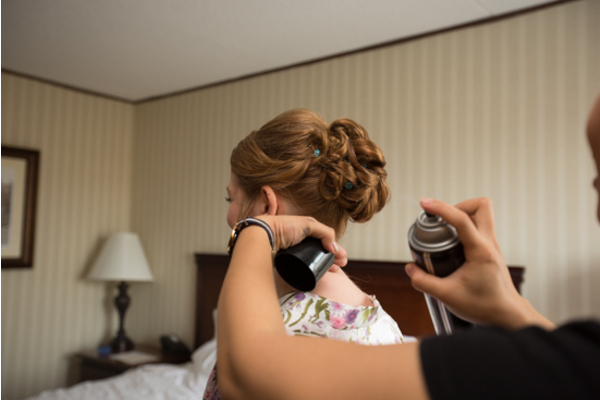 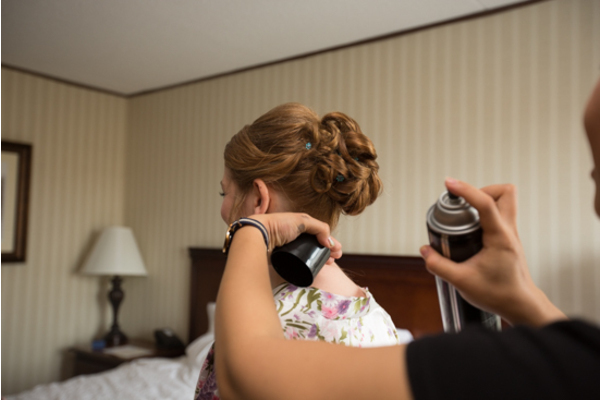 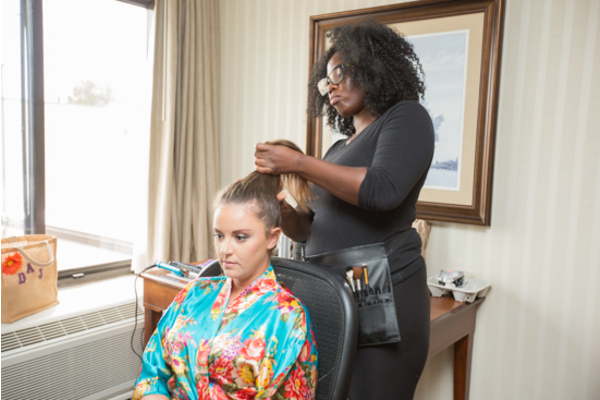 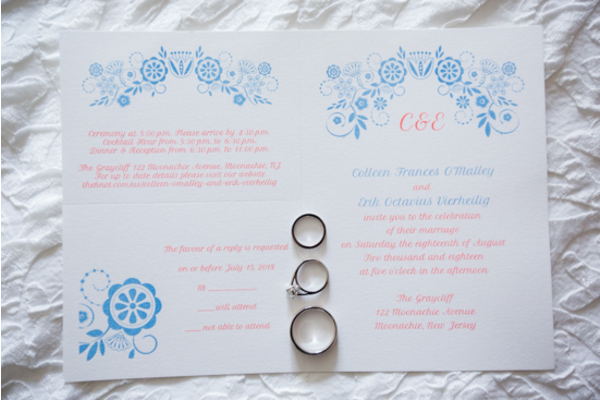 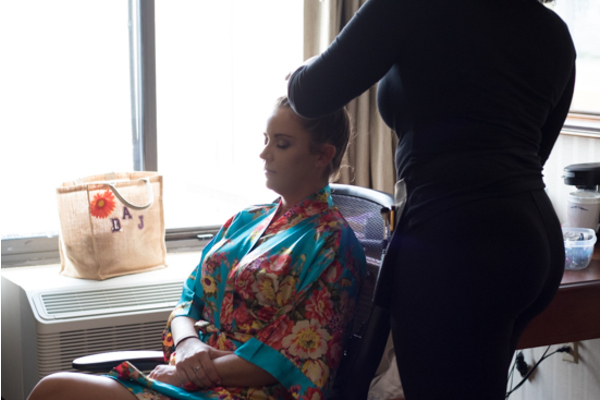 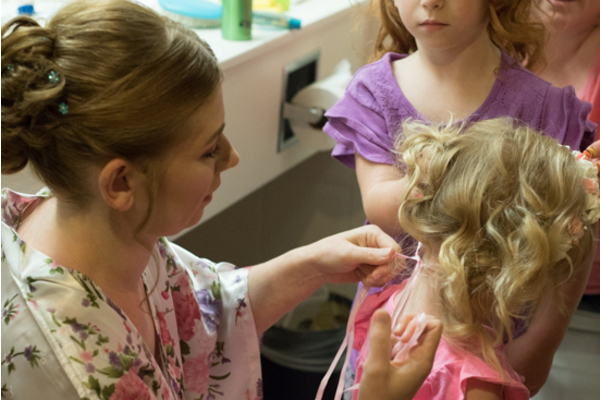 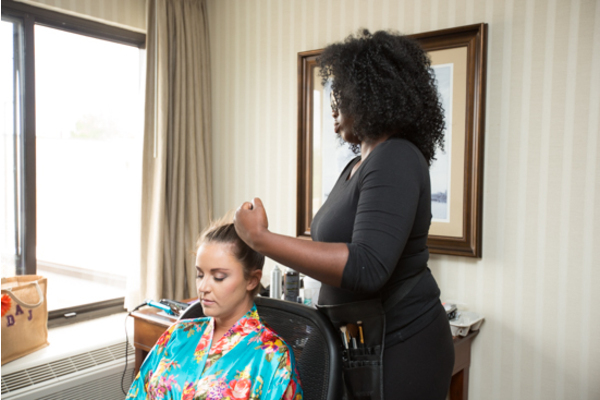 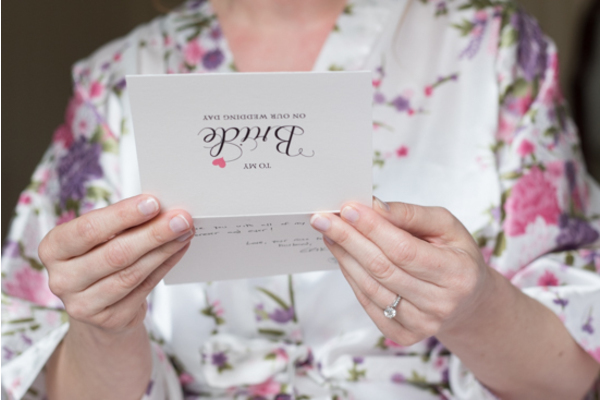 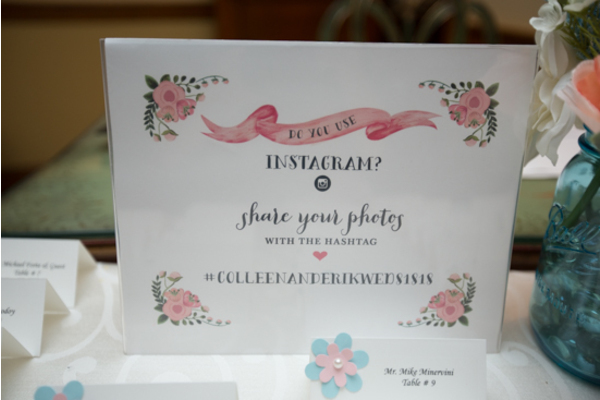 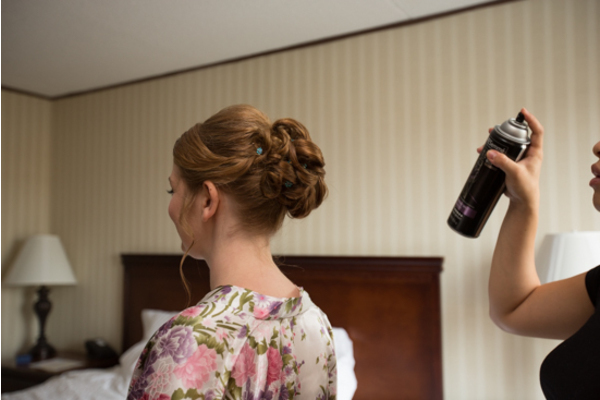 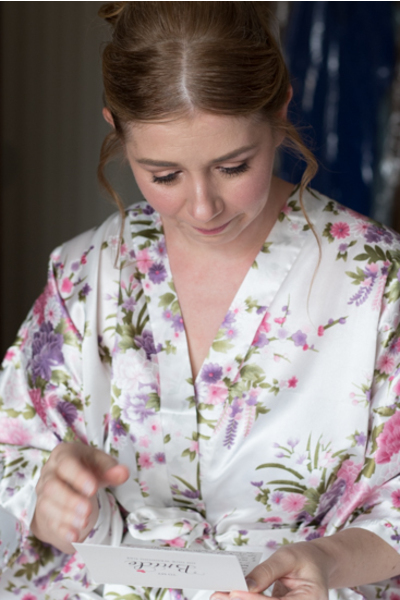 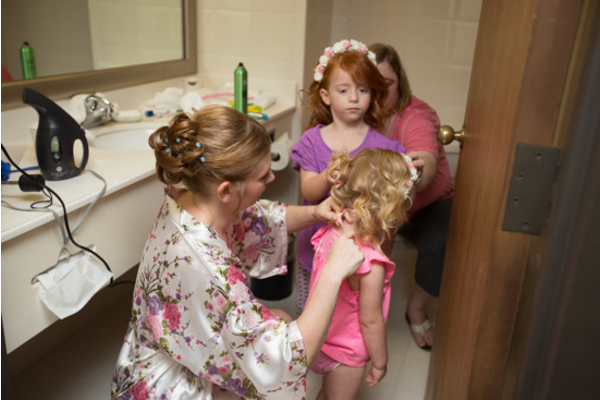 Once upon a time, Colleen began her fairytale wedding getting pampered with her bridesmaids! 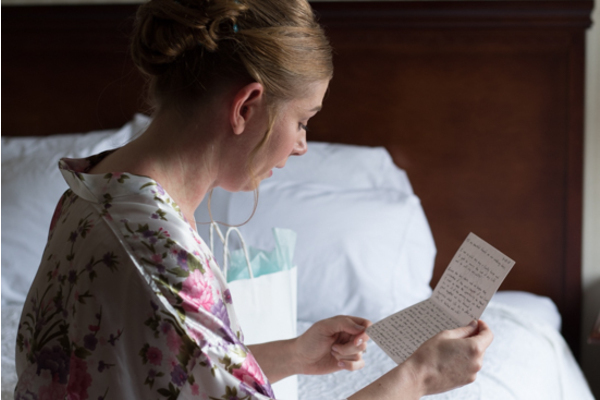 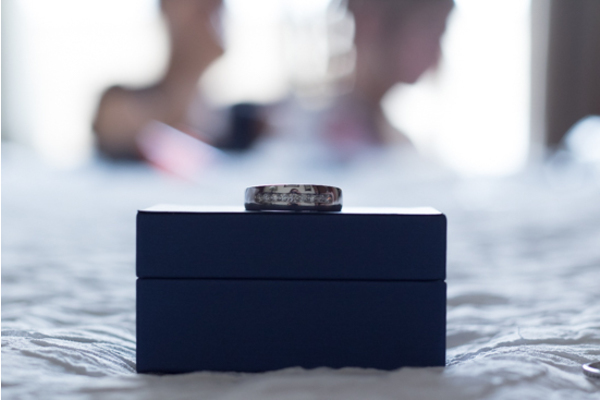 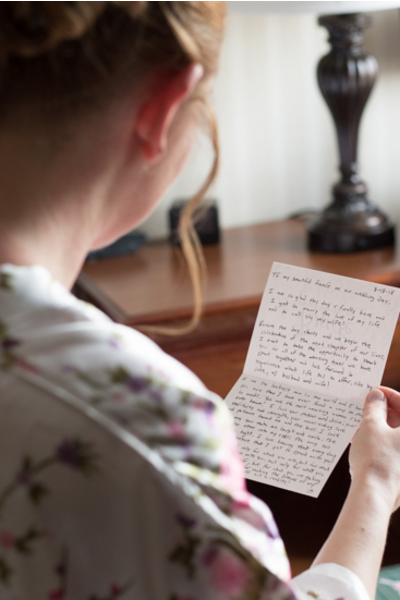 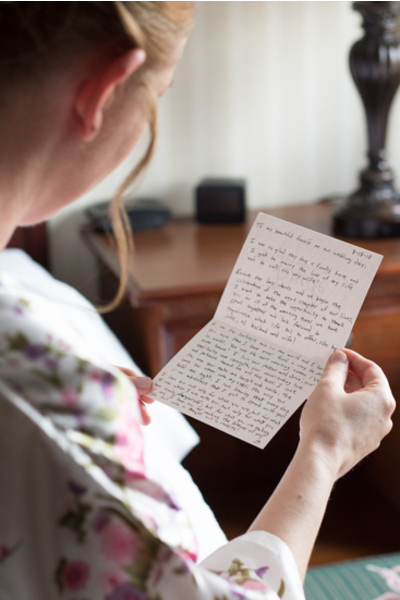 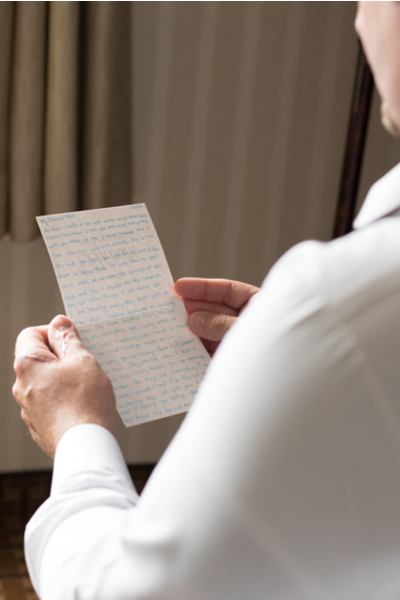 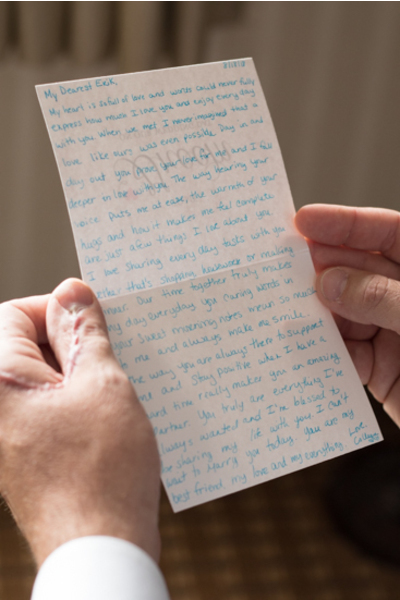 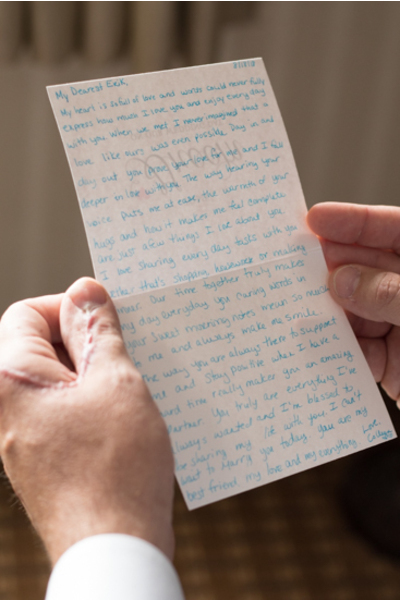 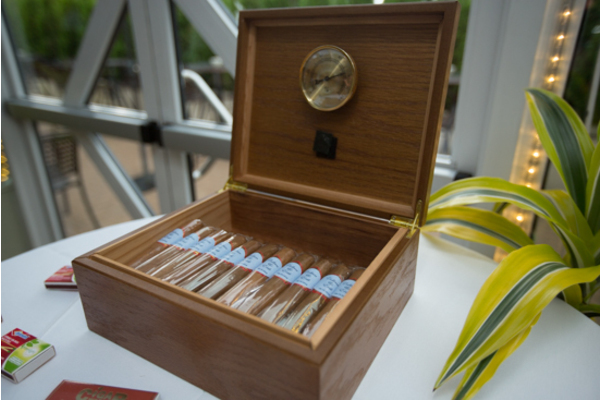 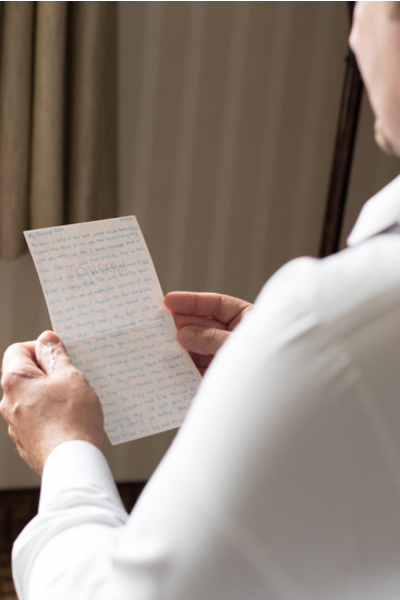 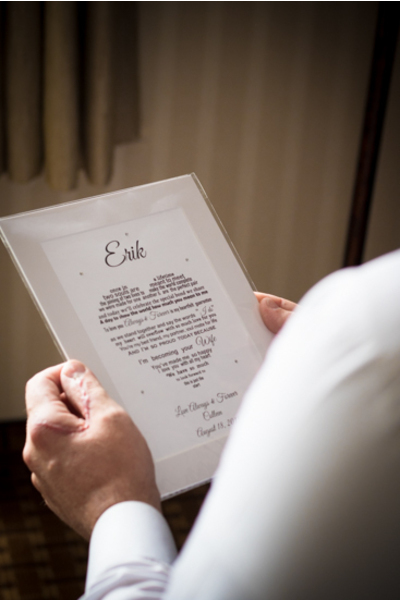 She even received a thoughtful gift from her husband to be. 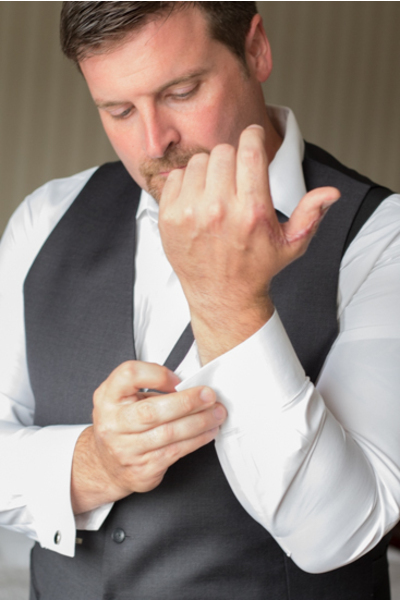 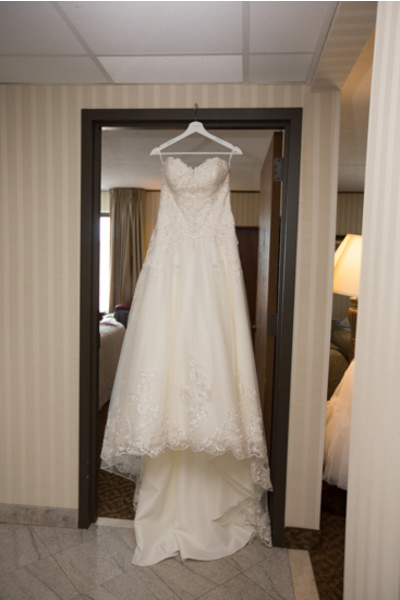 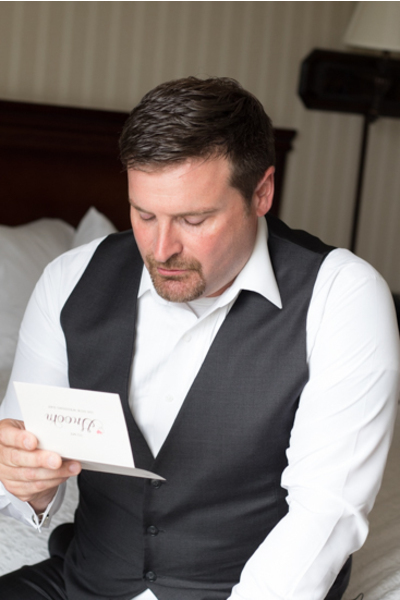 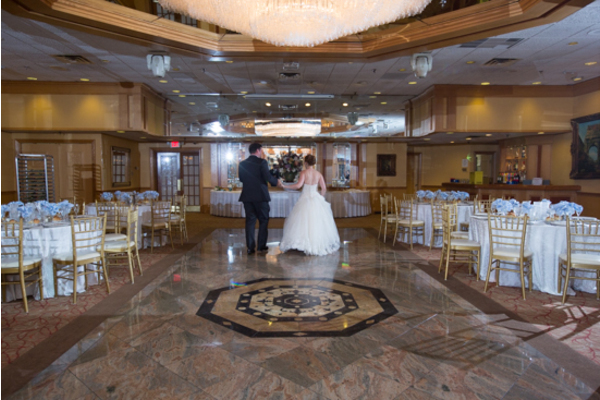 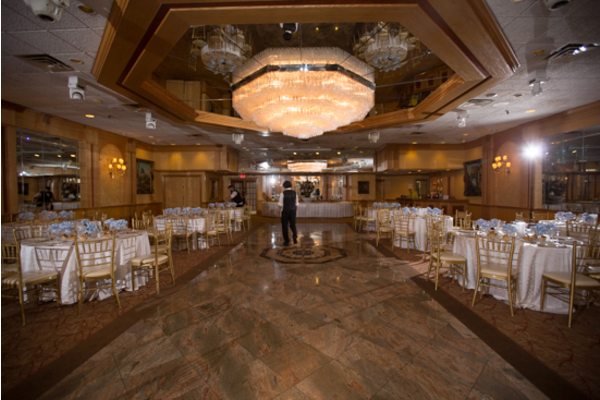 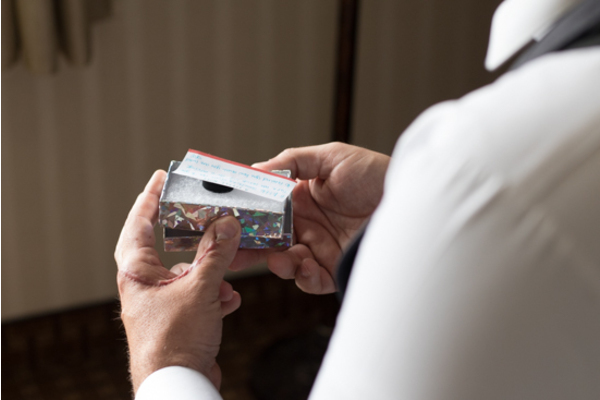 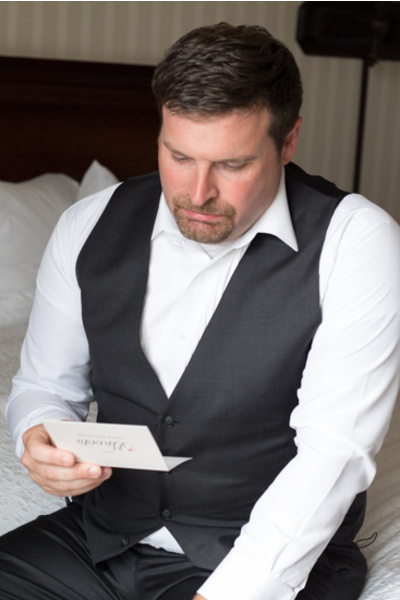 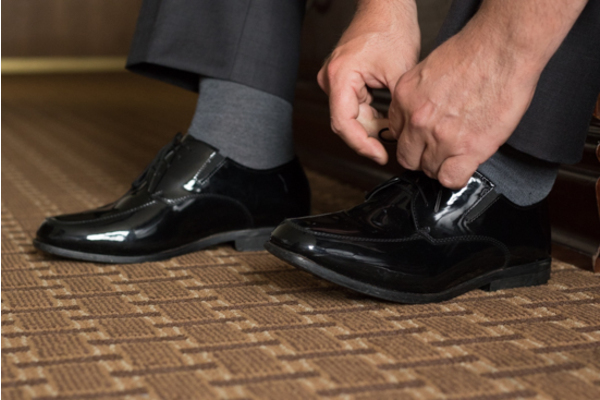 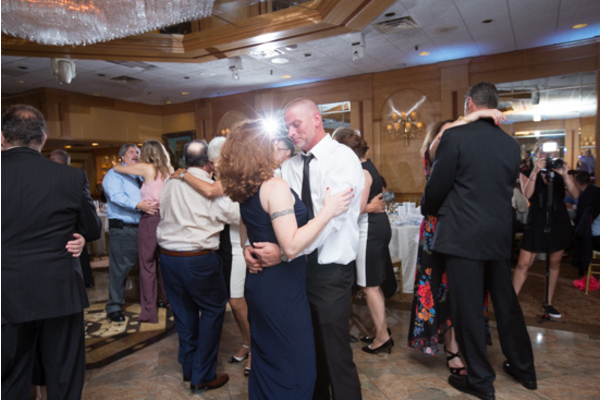 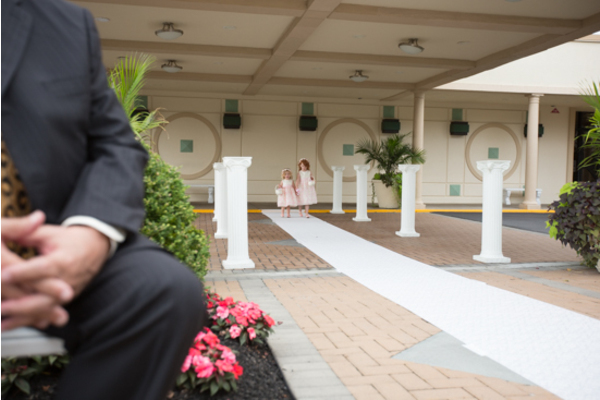 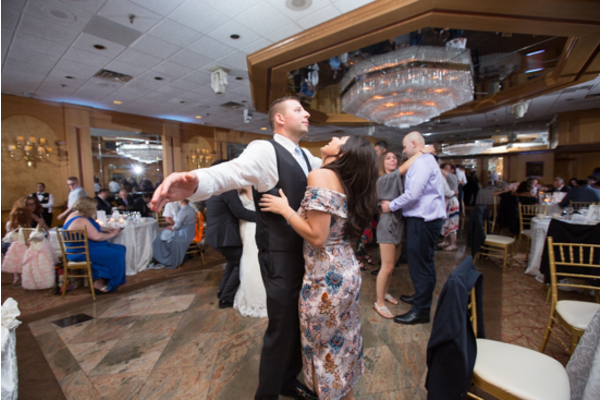 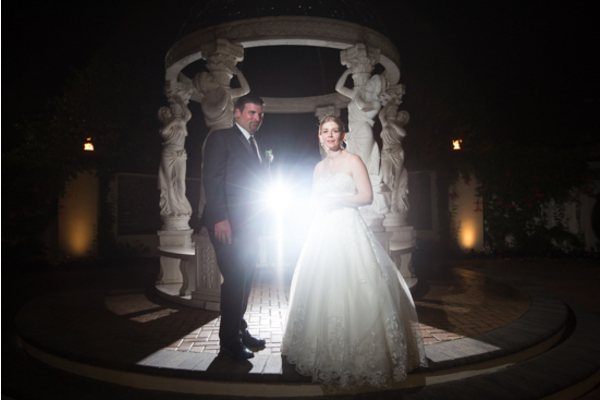 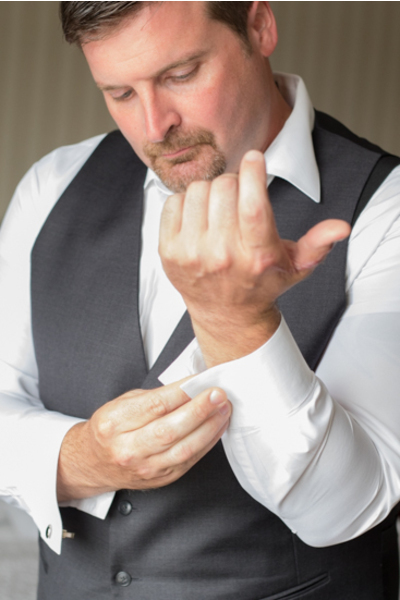 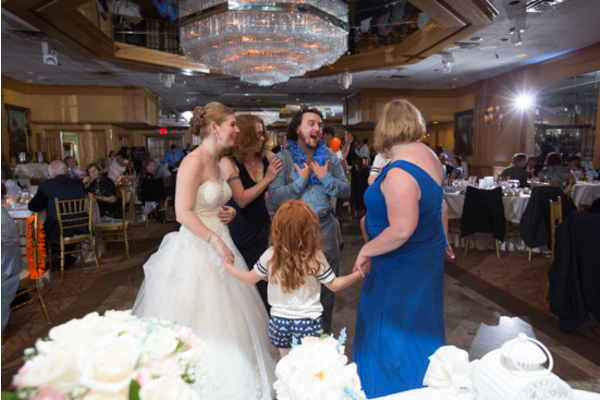 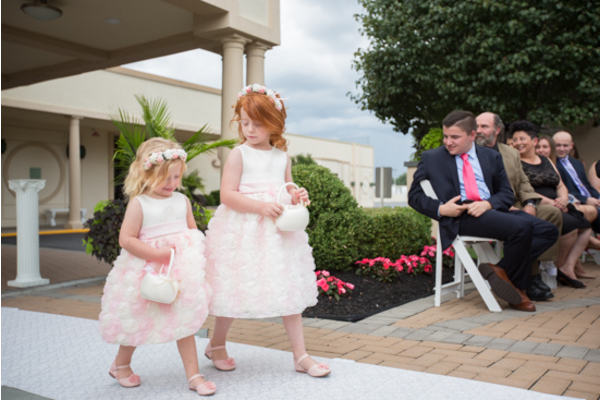 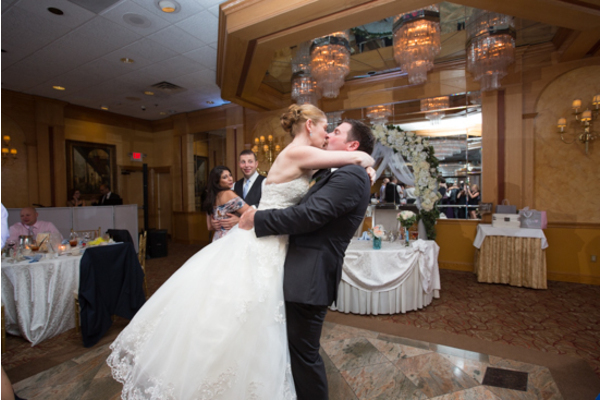 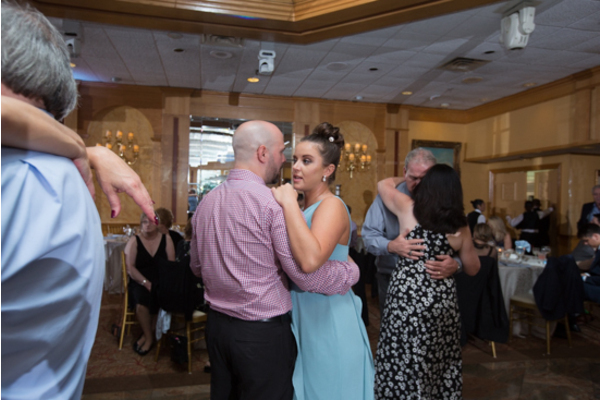 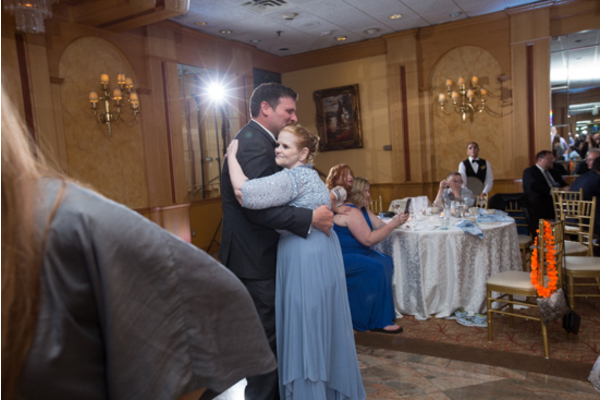 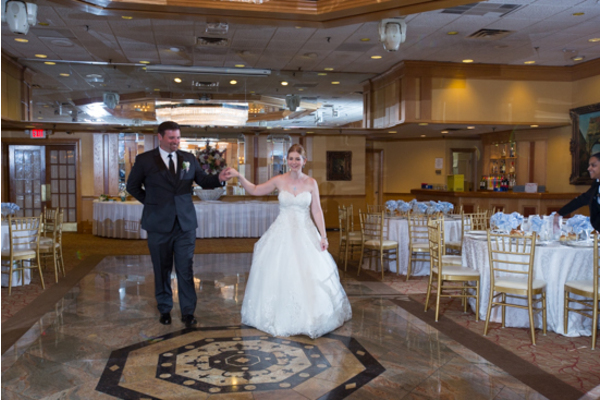 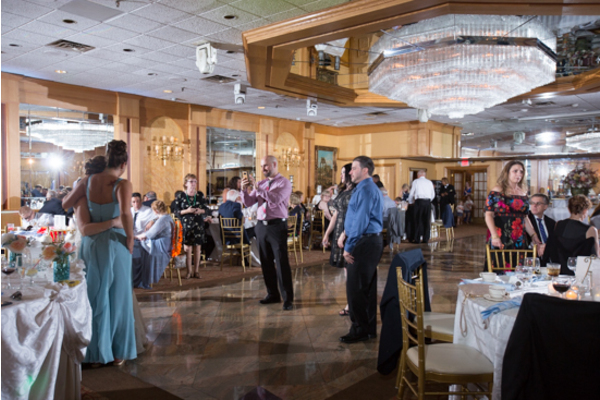 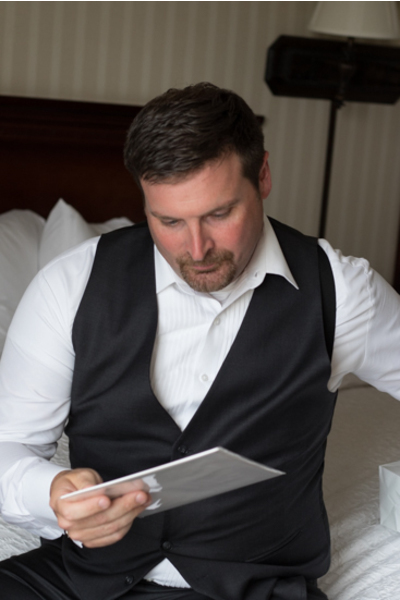 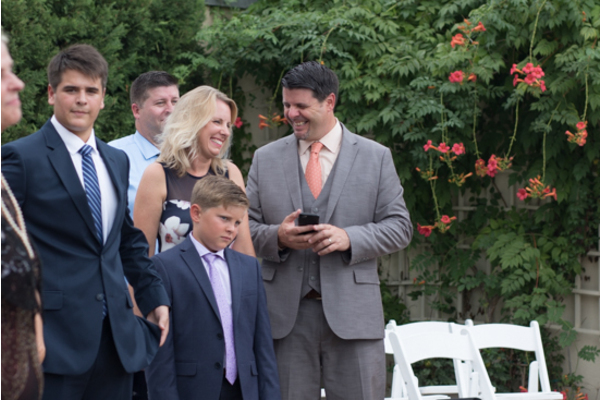 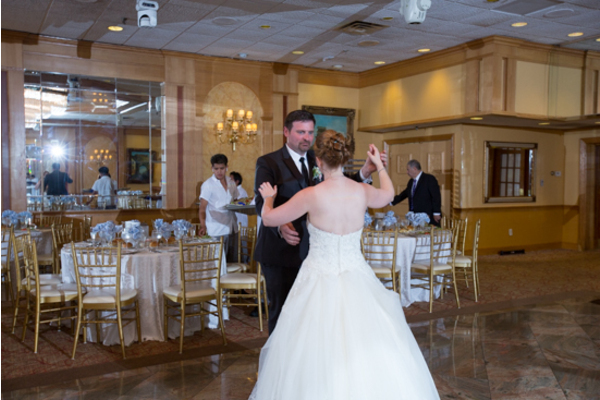 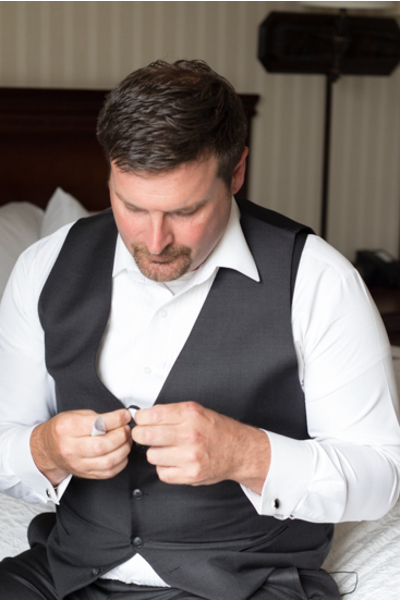 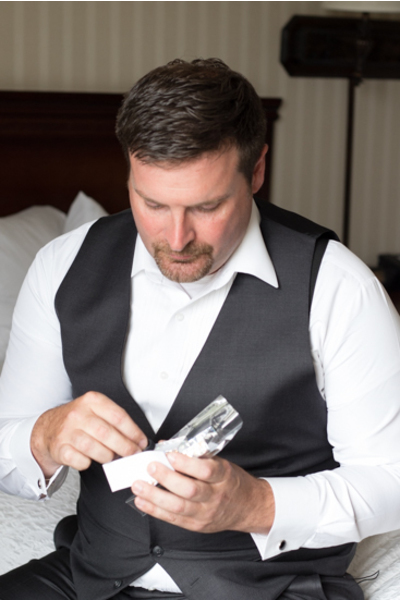 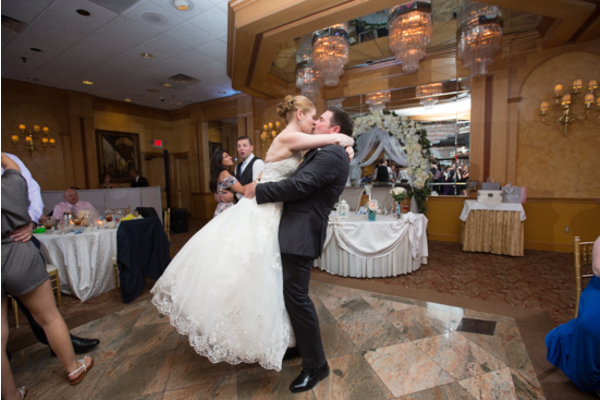 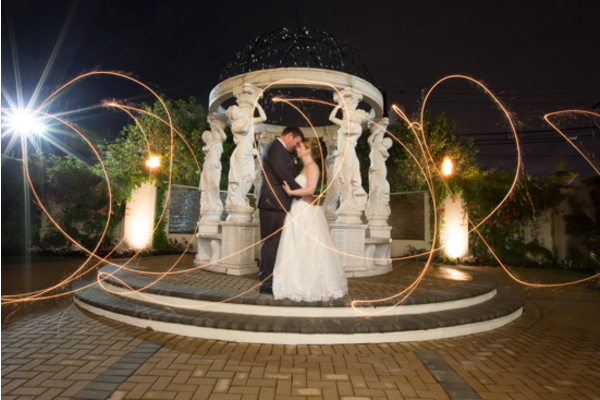 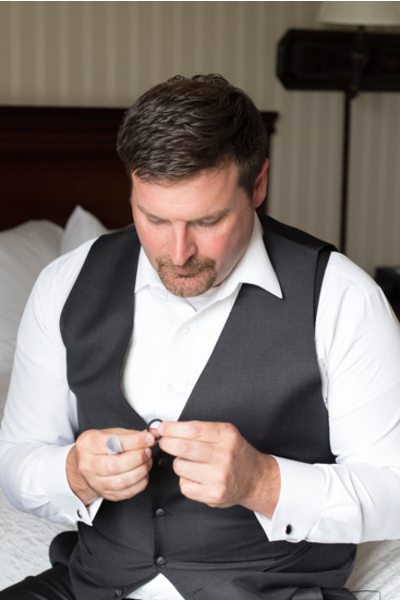 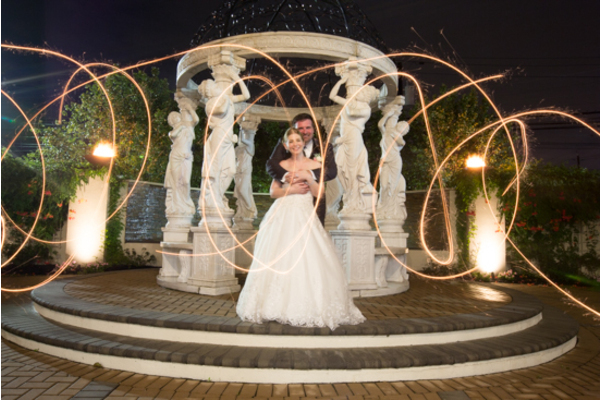 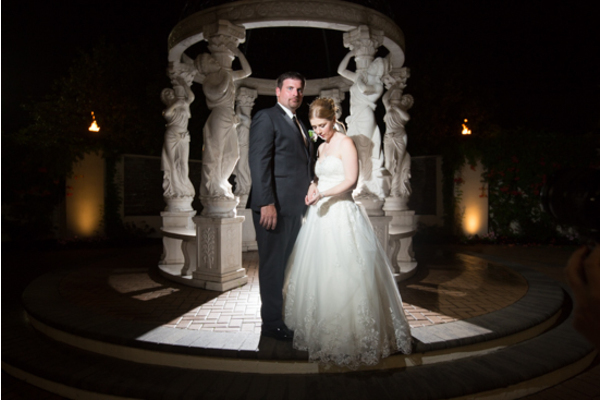 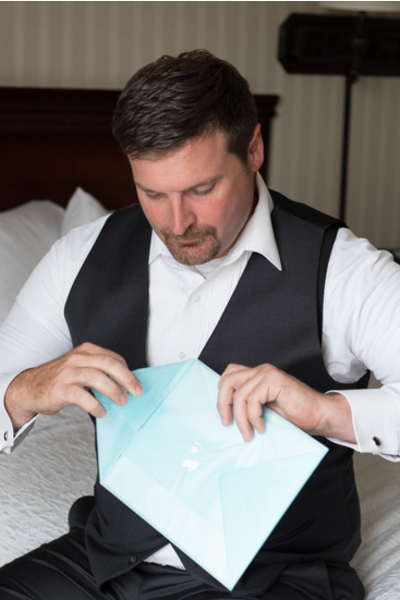 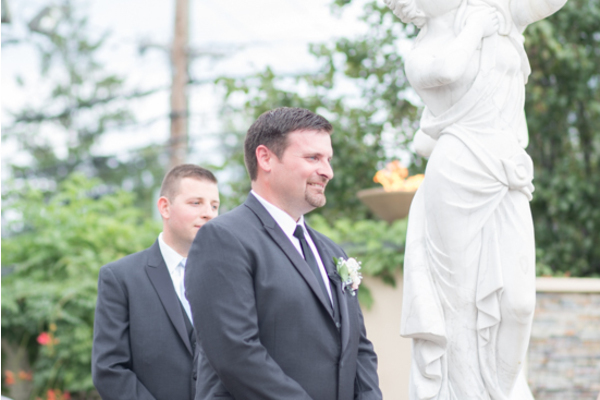 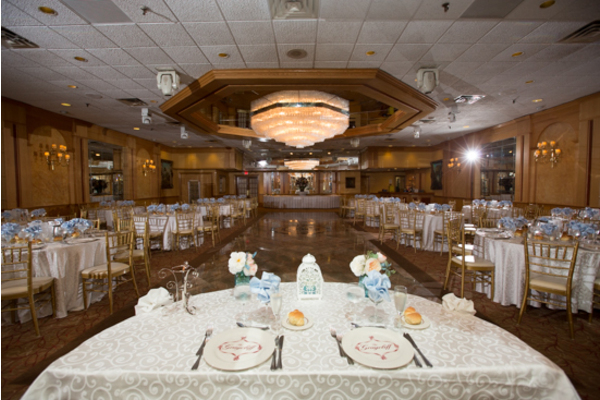 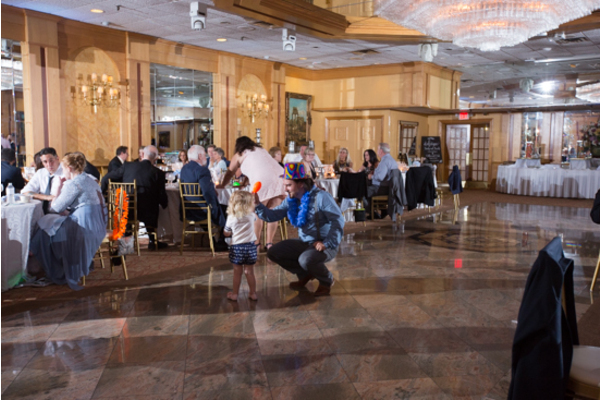 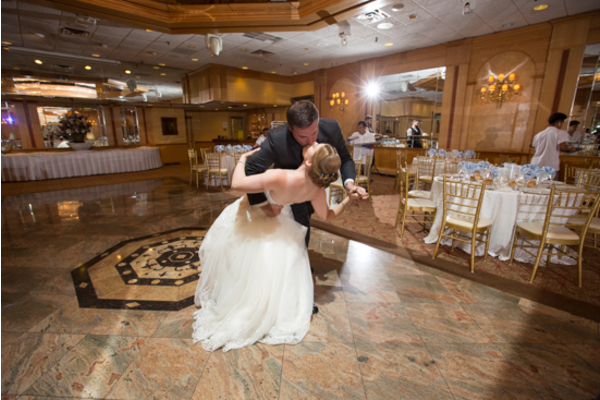 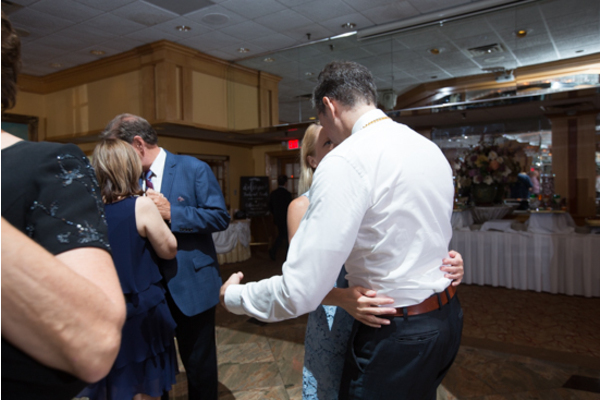 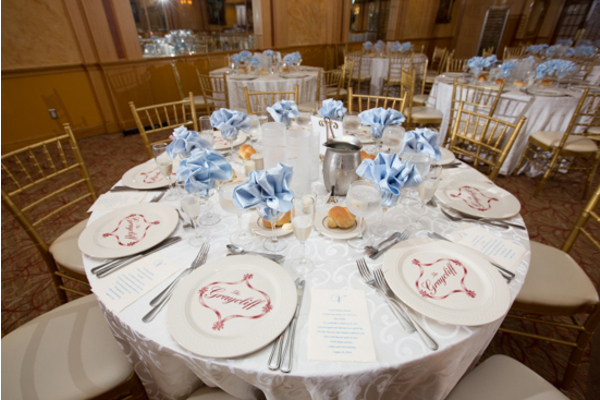 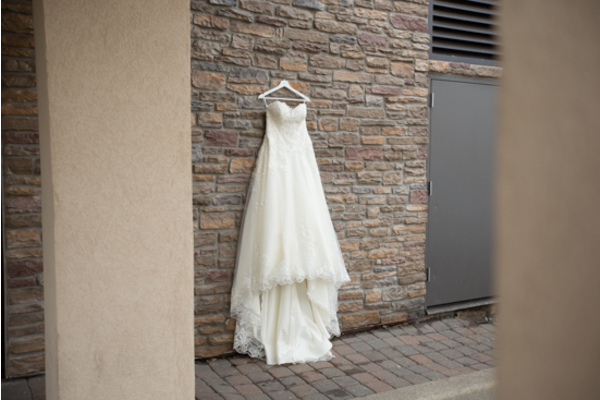 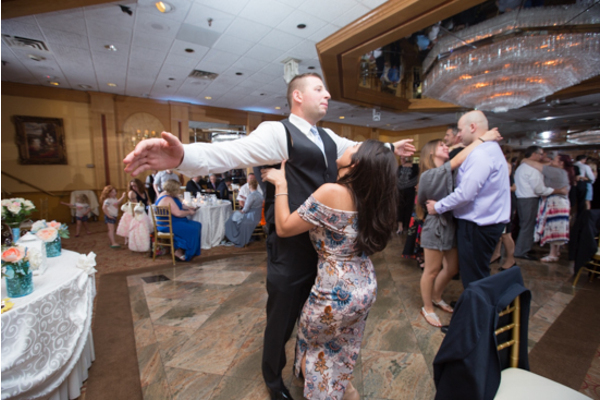 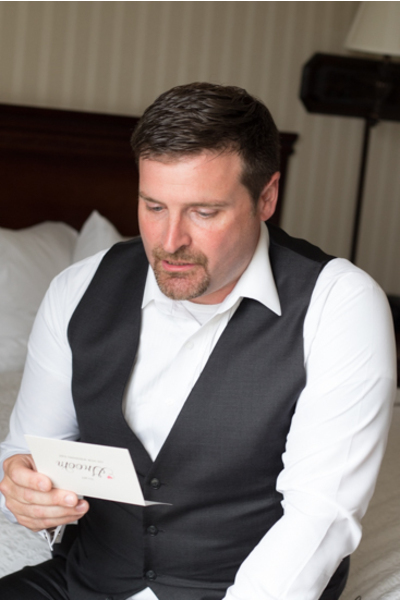 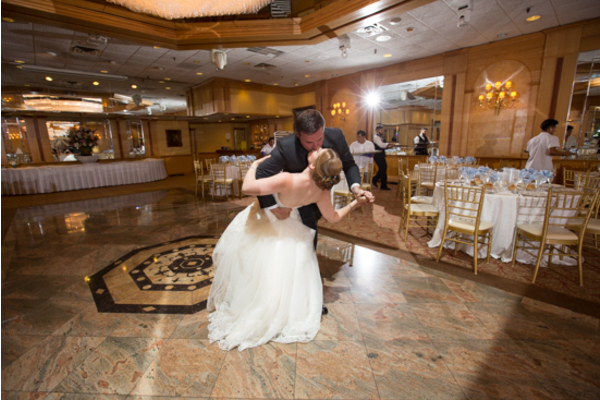 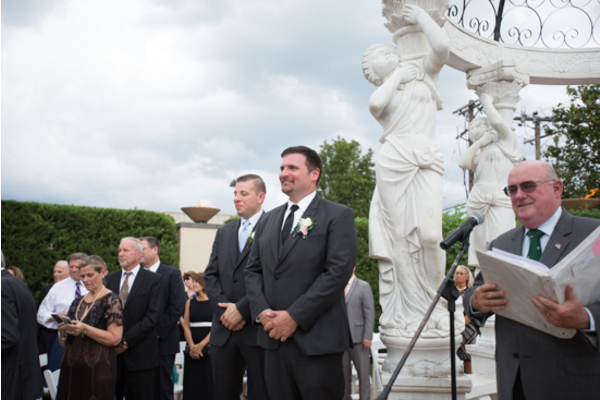 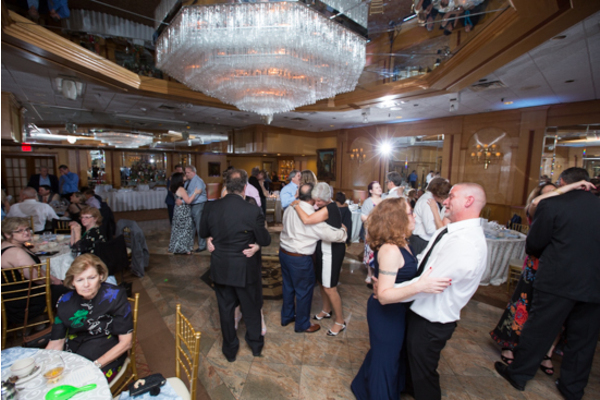 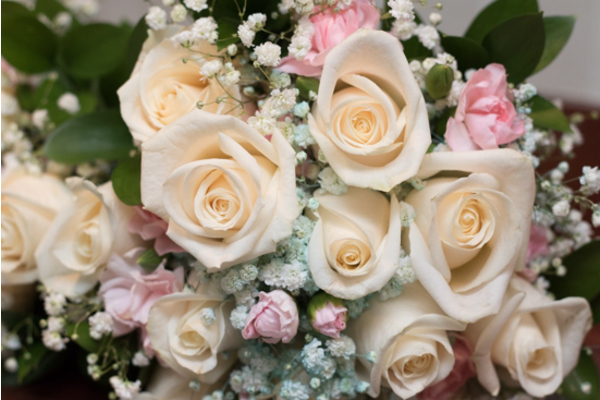 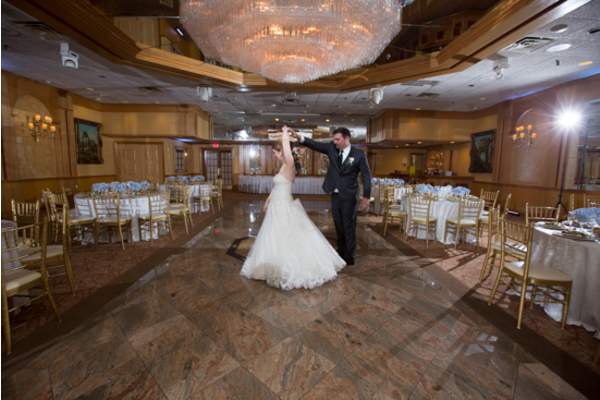 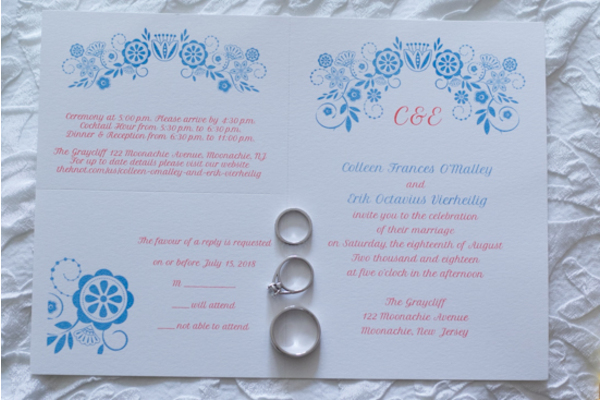 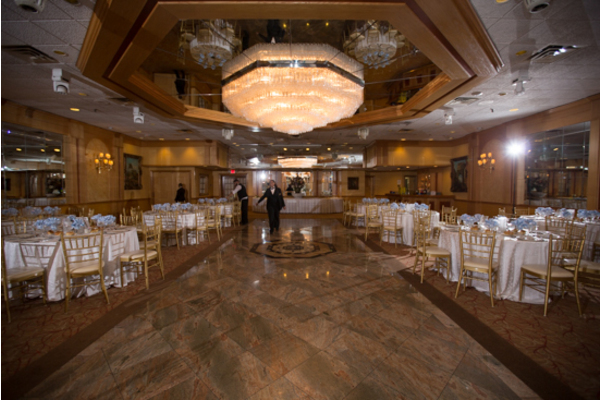 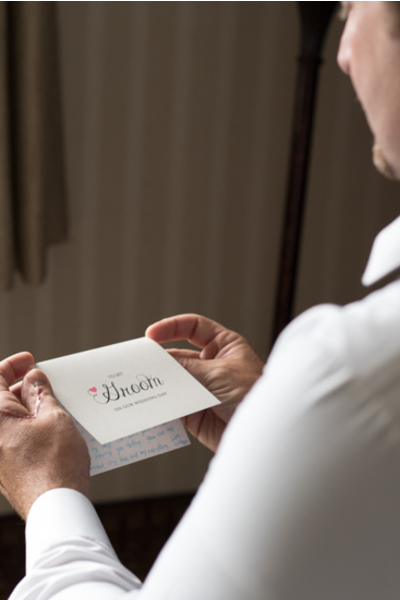 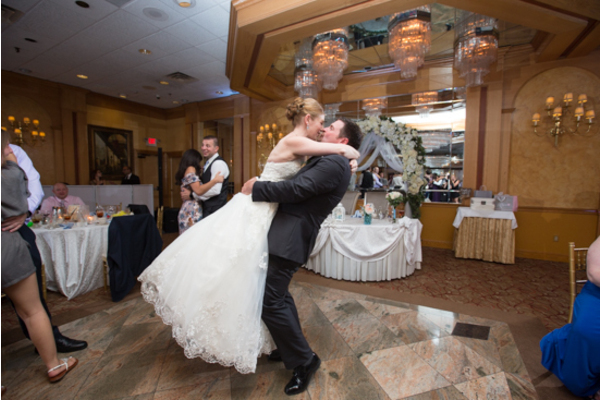 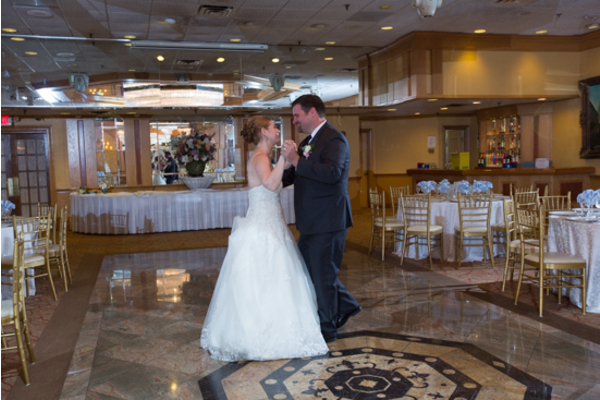 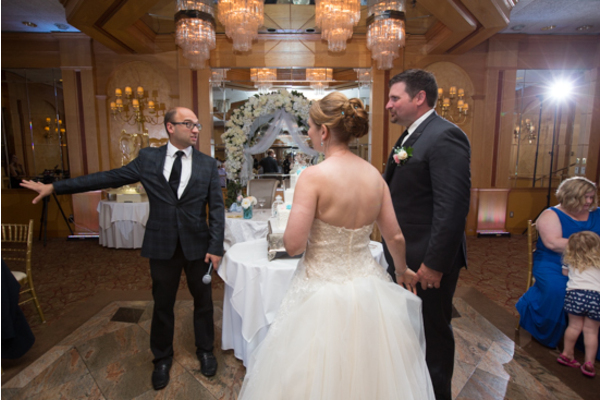 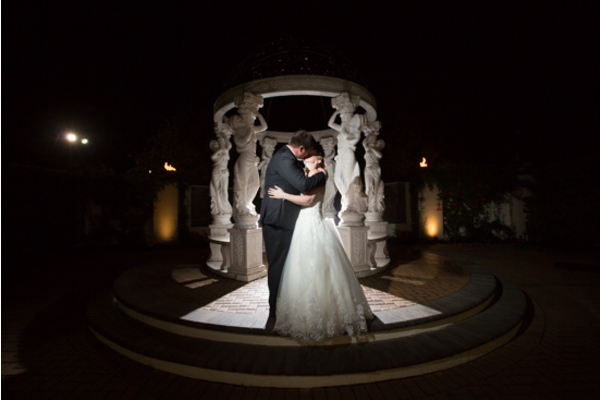 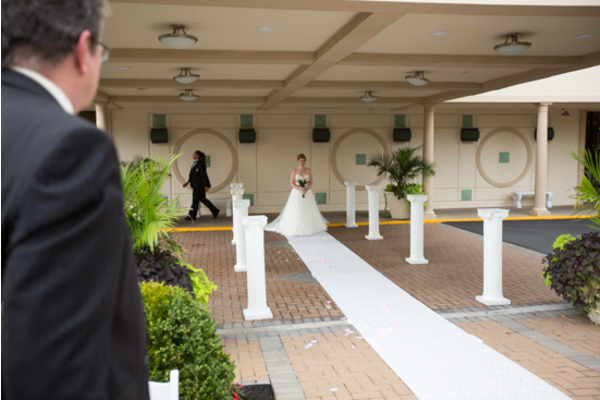 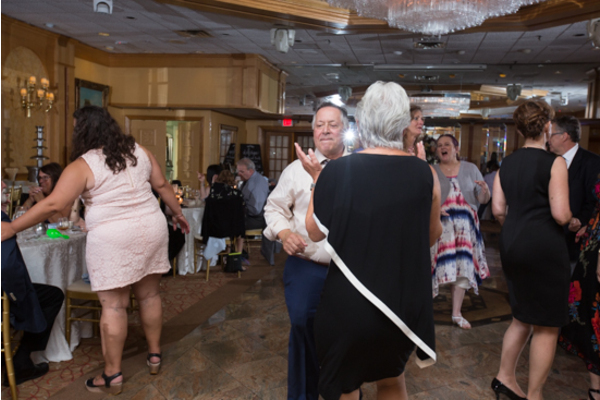 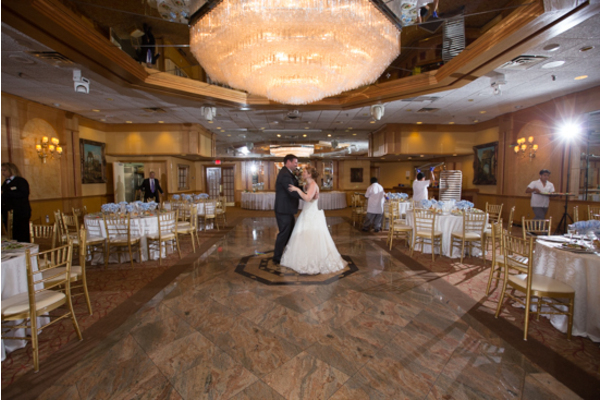 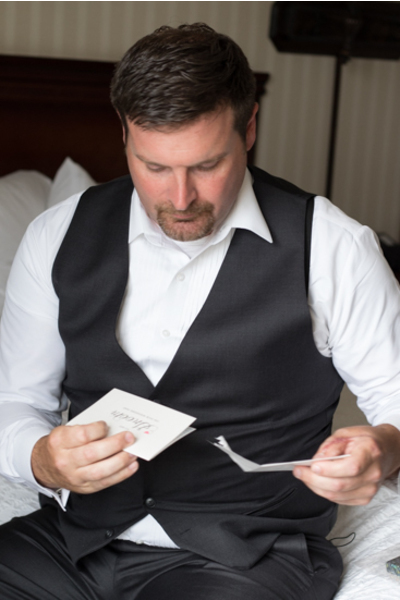 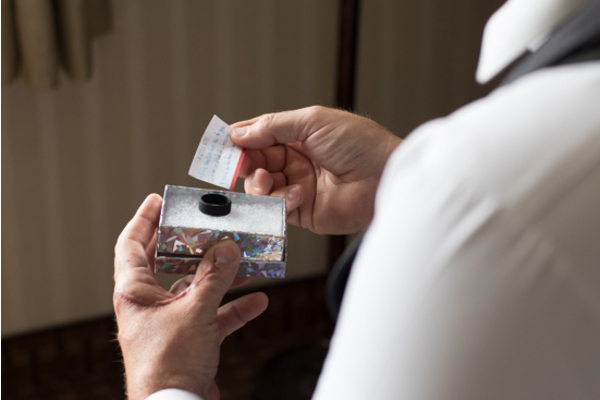 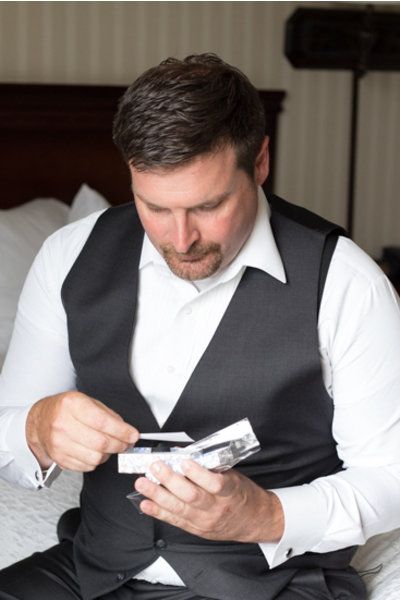 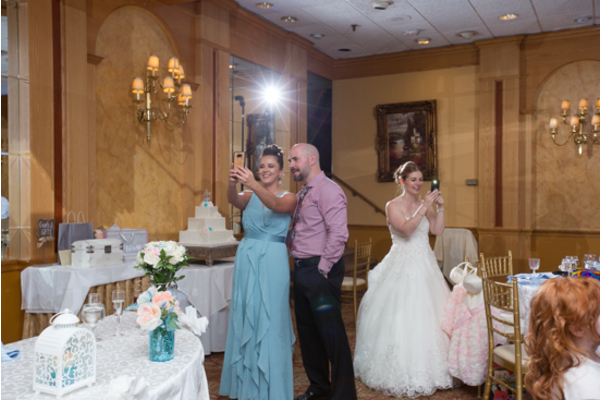 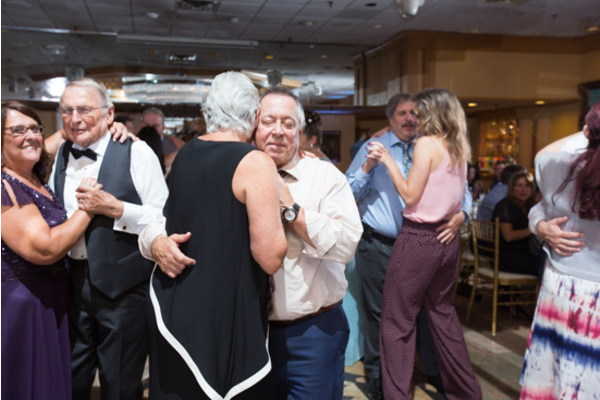 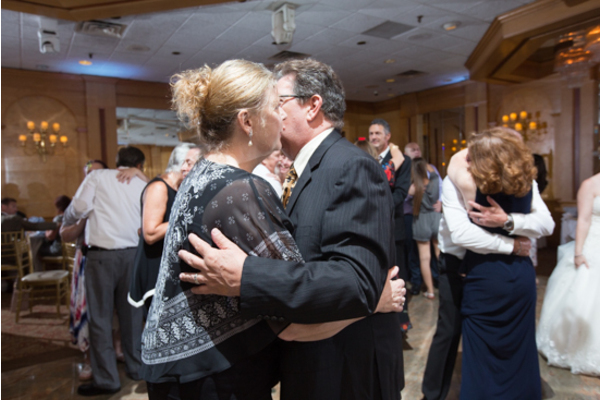 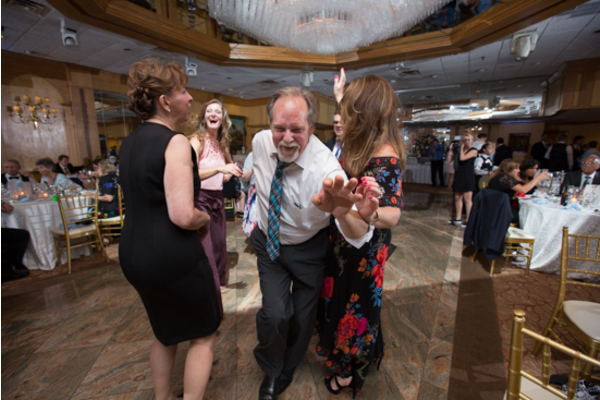 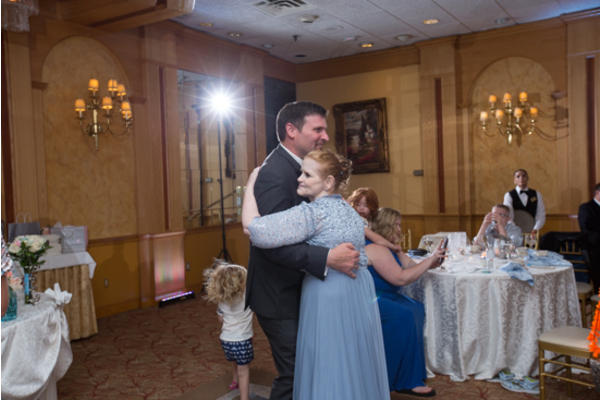 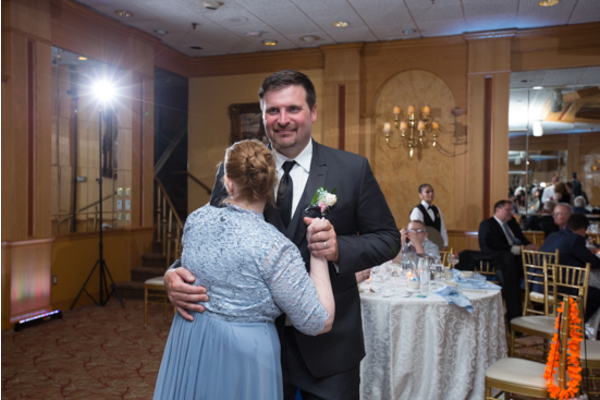 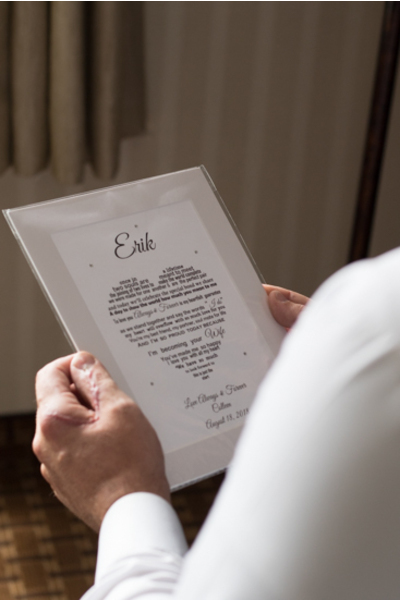 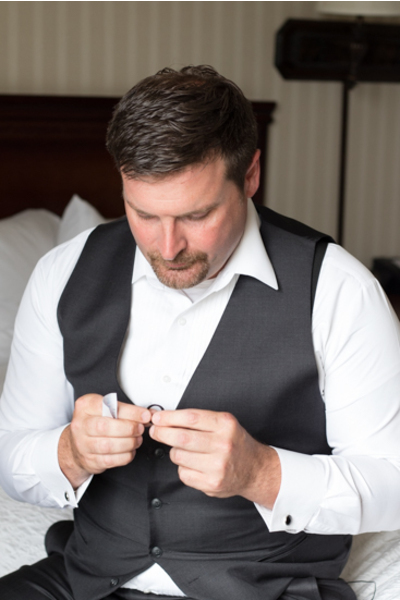 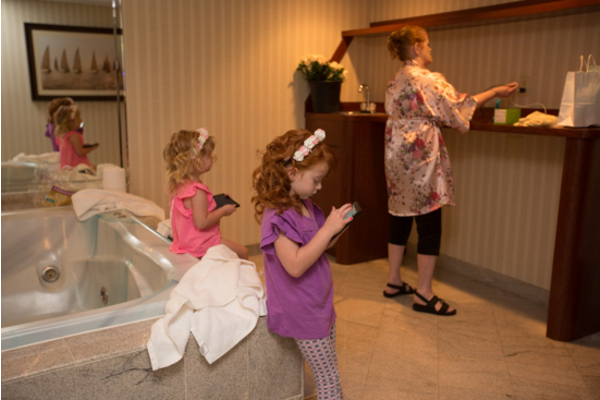 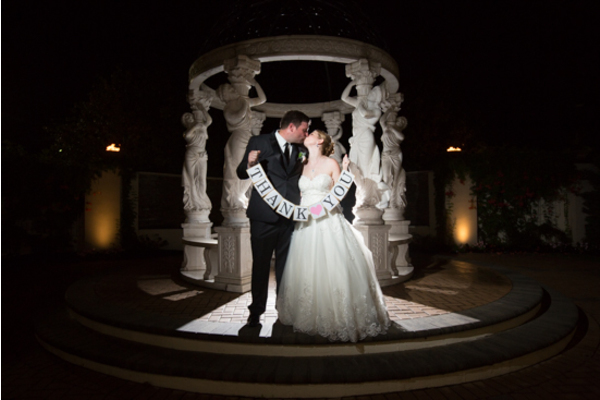 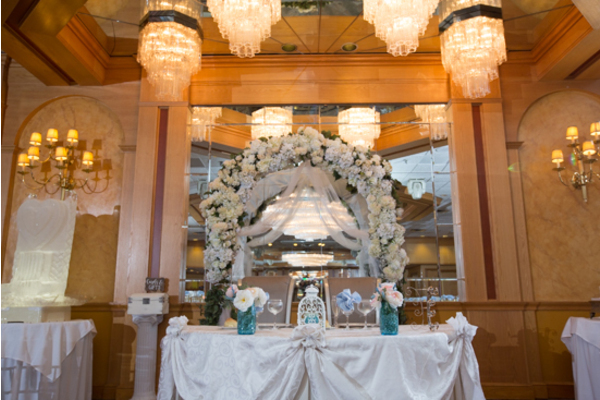 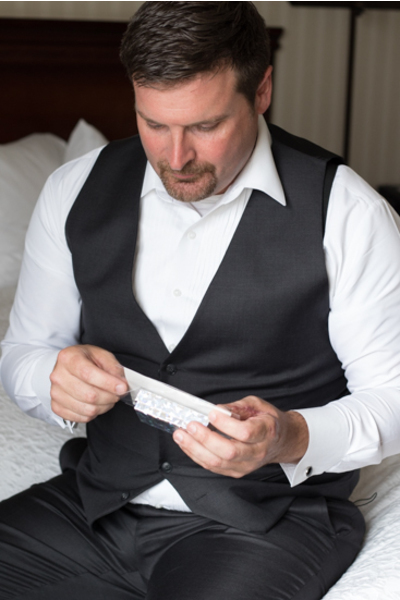 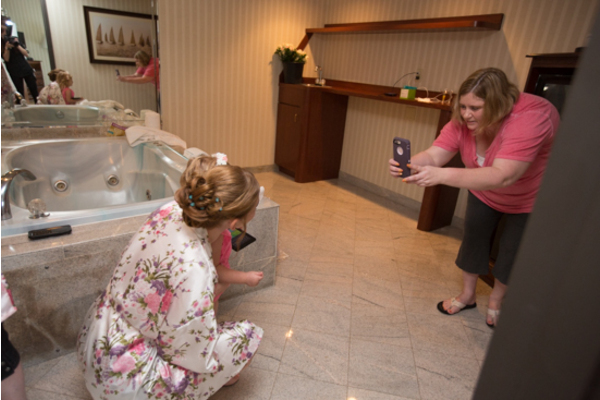 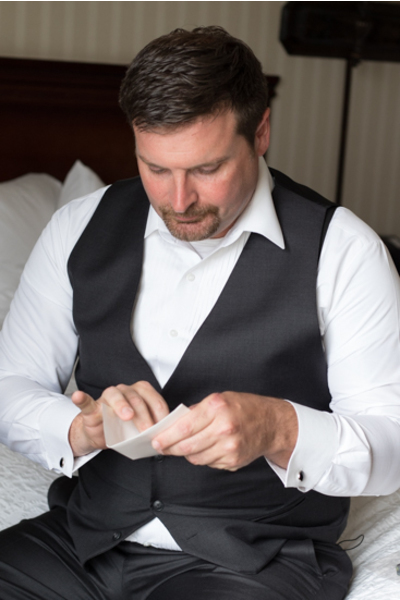 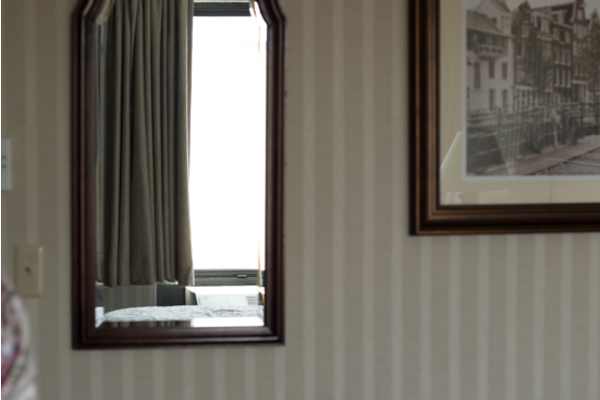 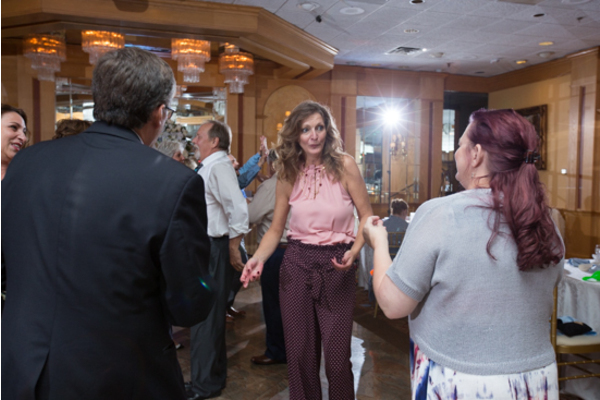 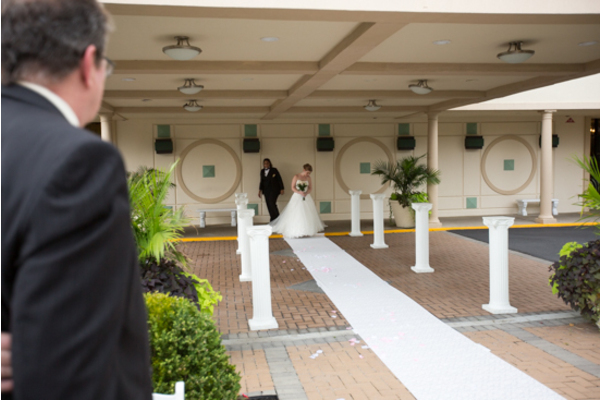 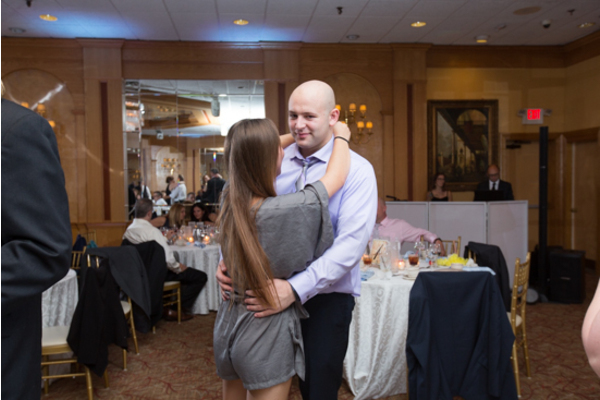 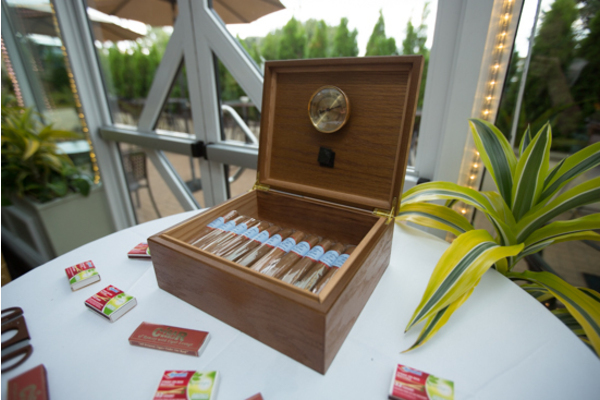 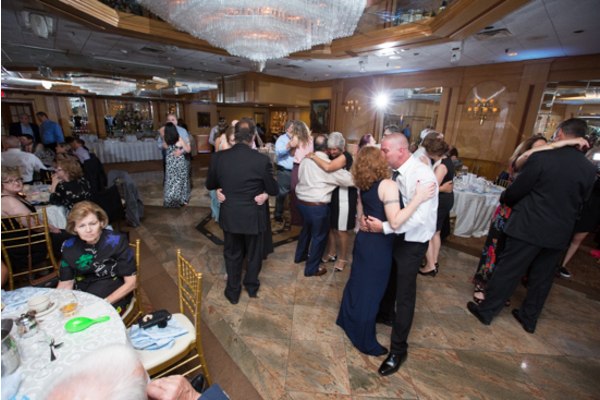 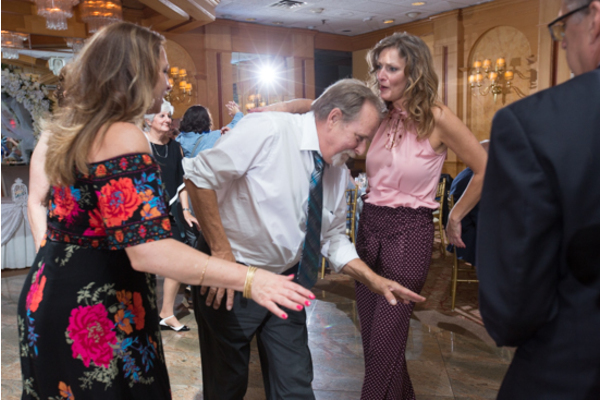 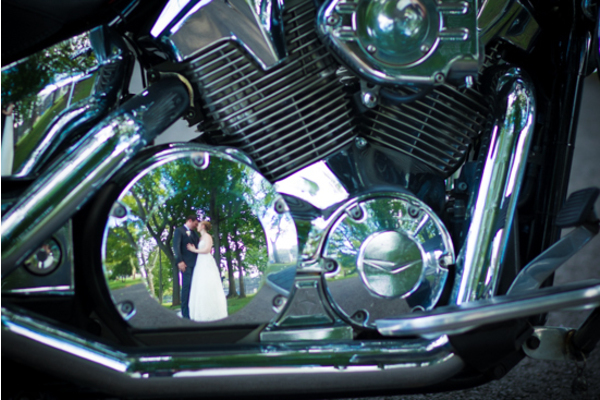 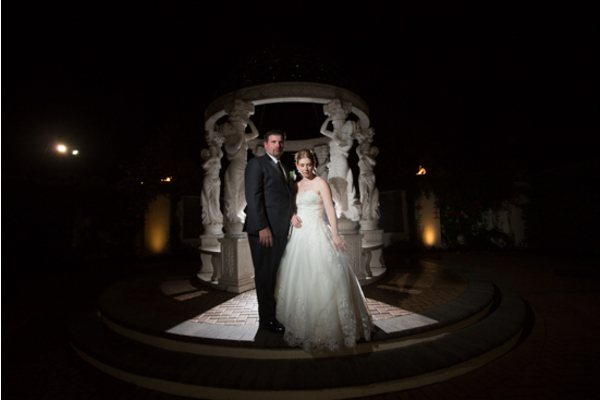 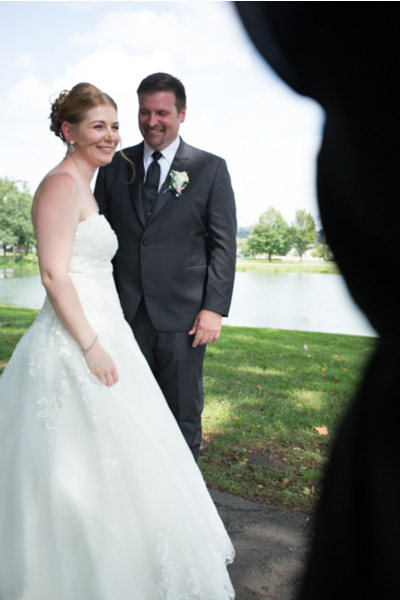 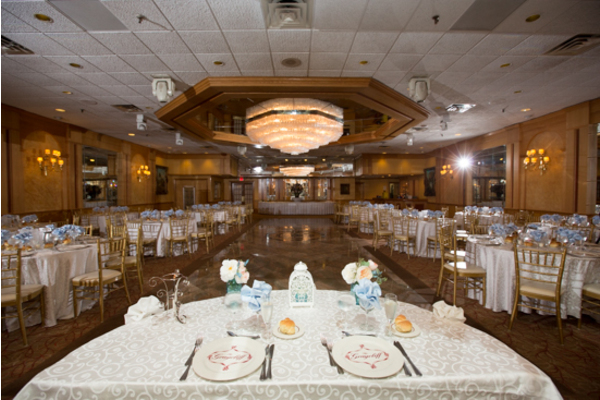 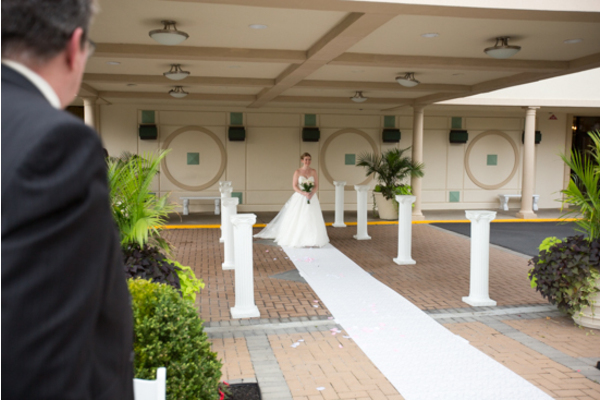 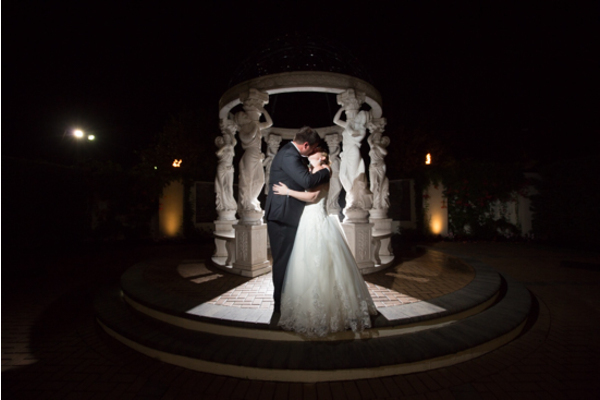 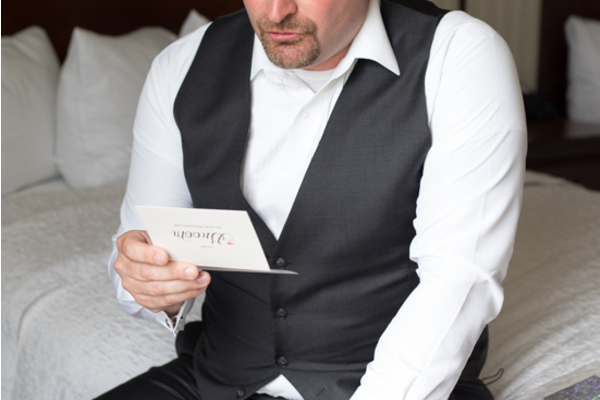 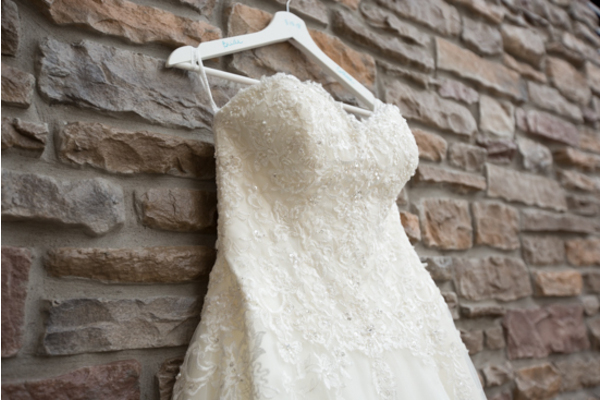 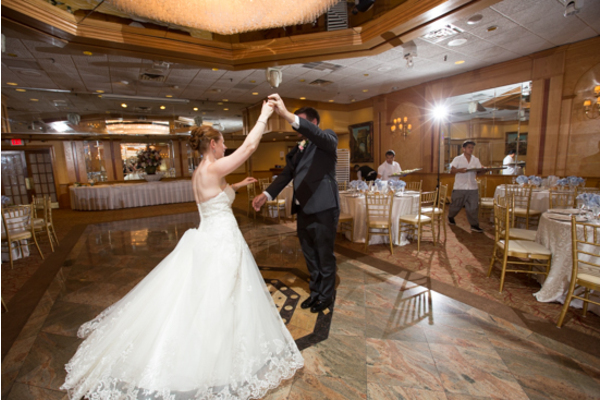 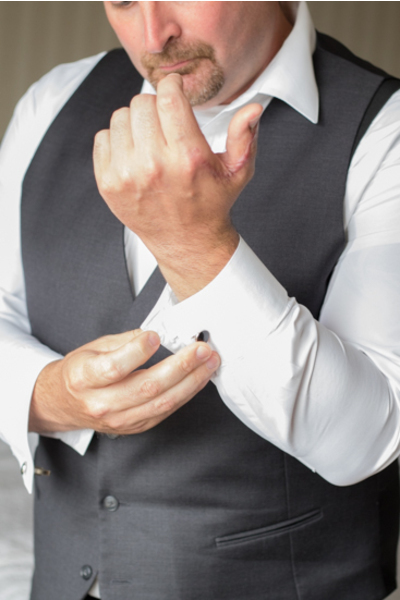 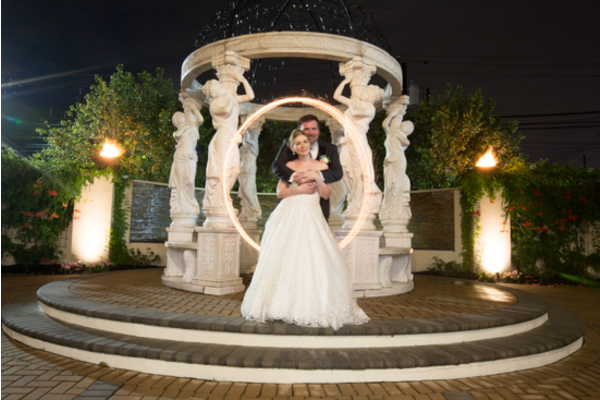 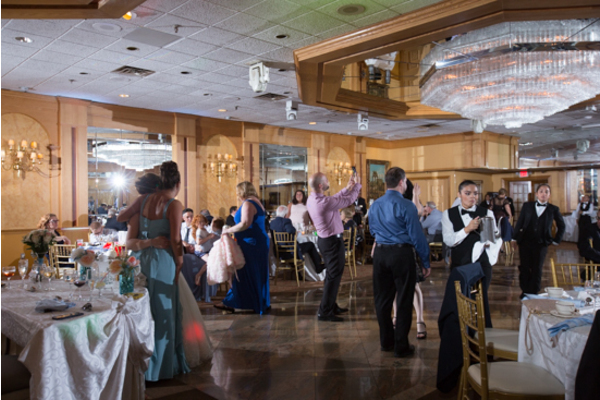 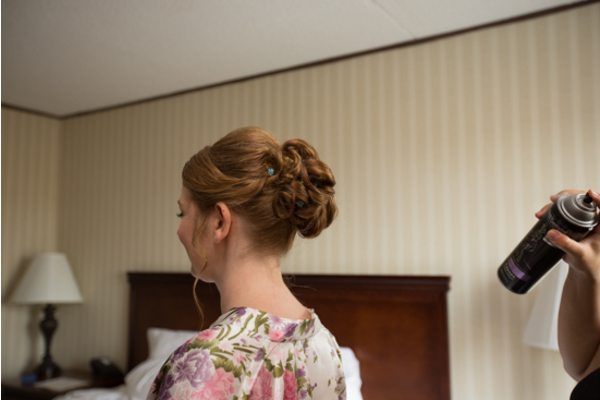 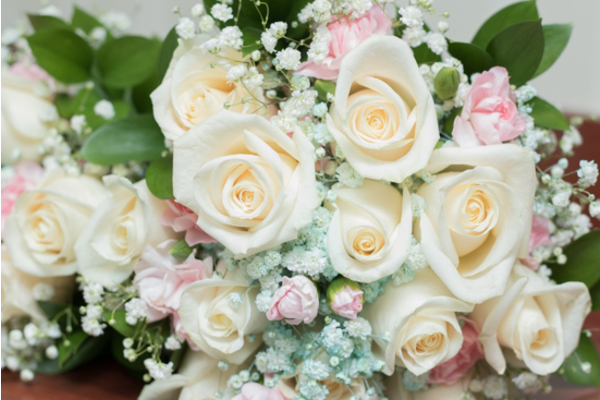 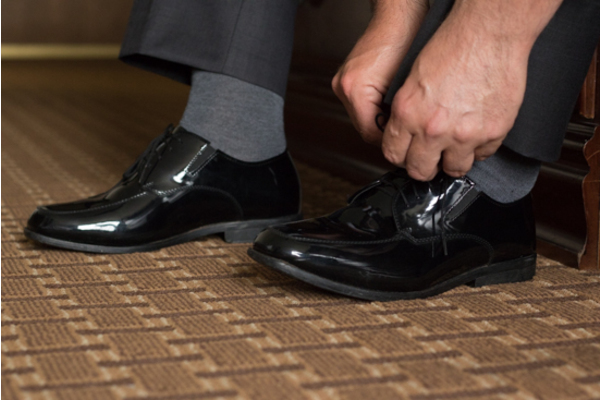 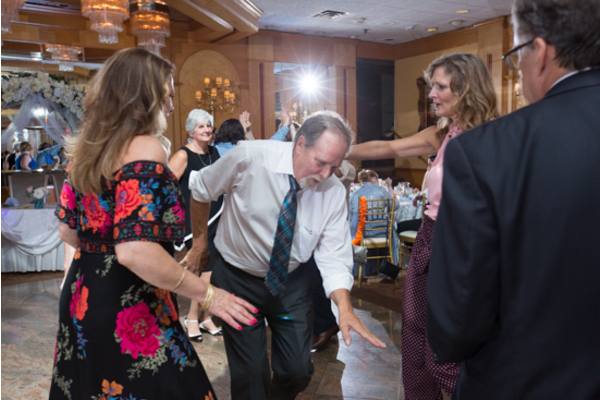 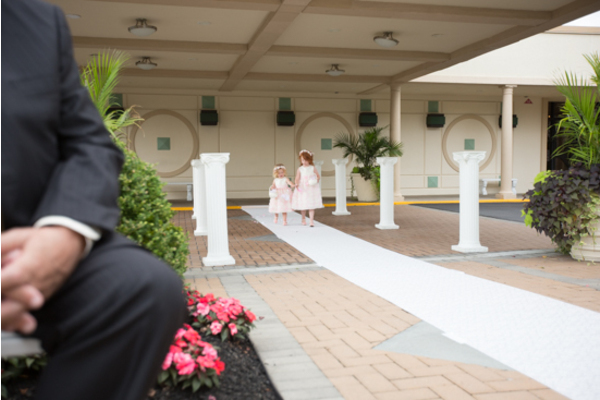 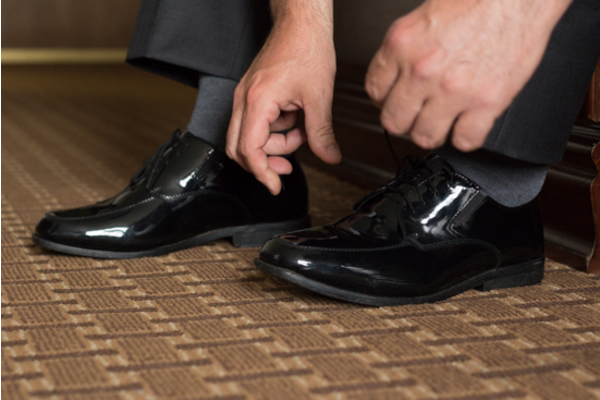 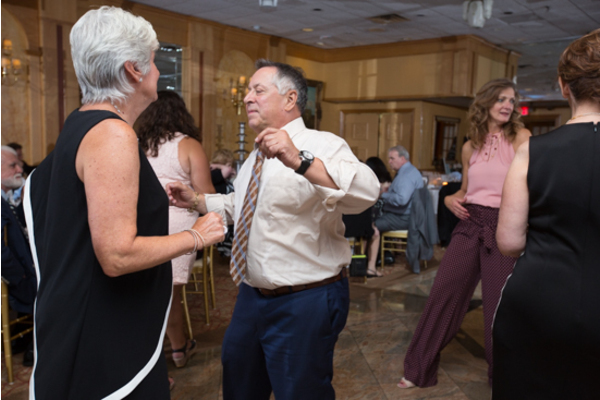 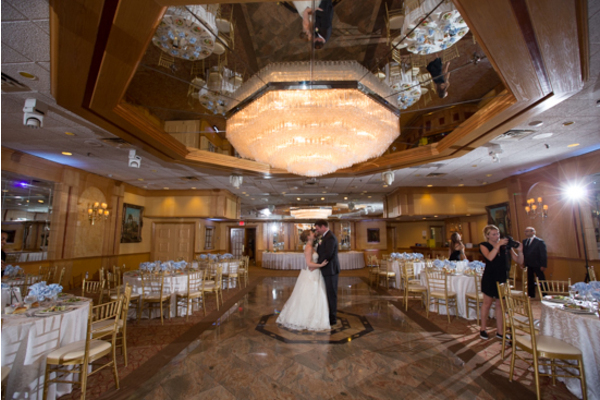 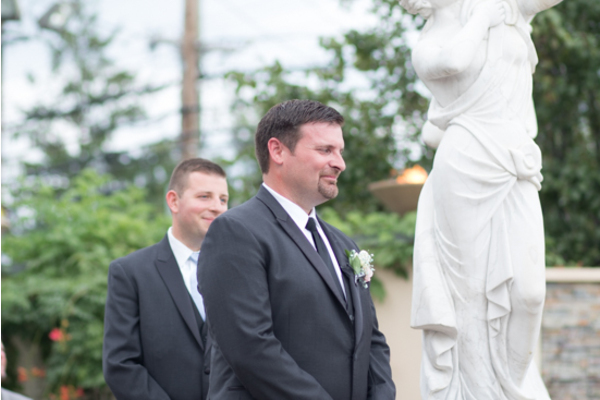 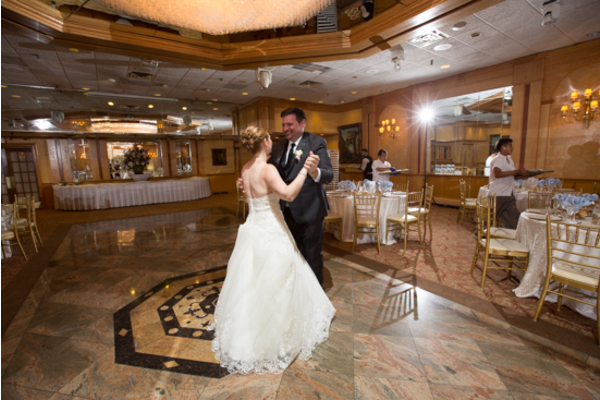 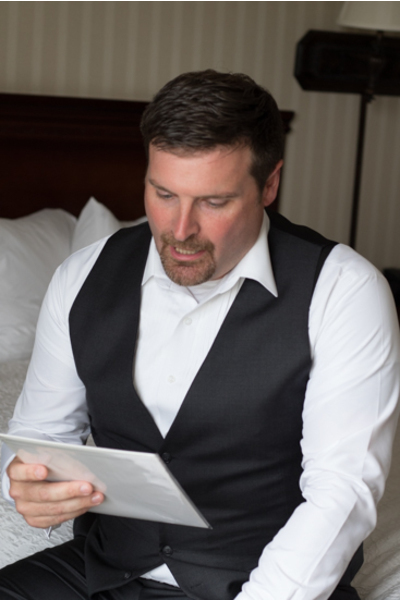 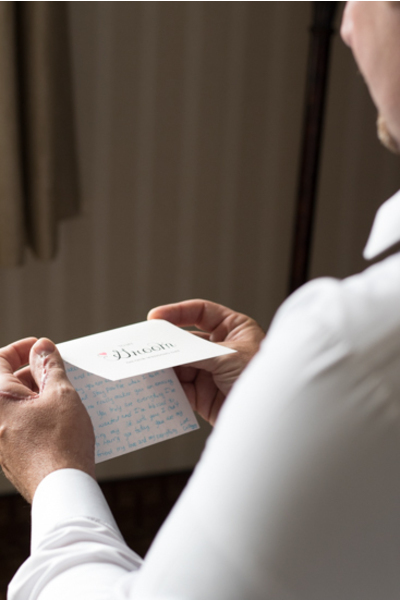 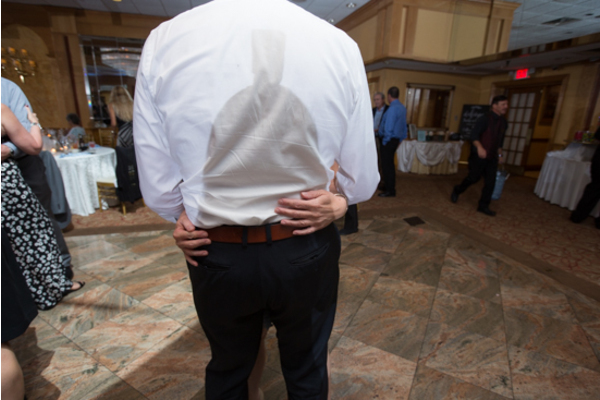 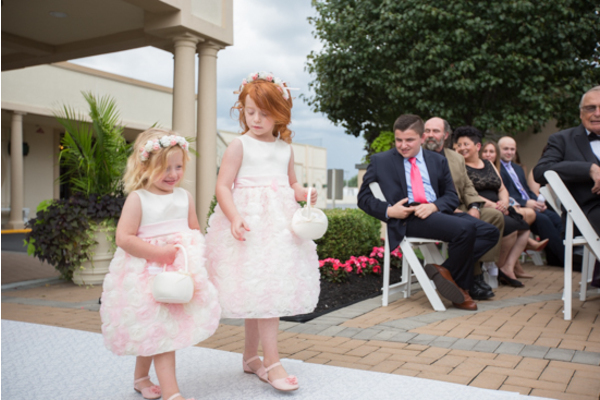 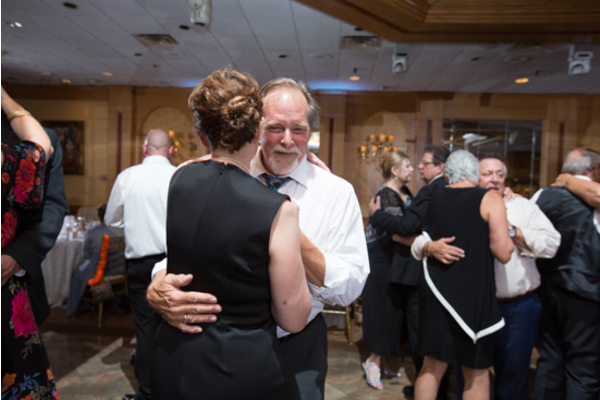 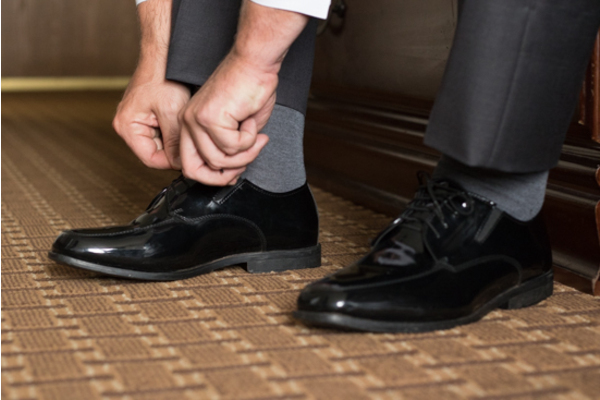 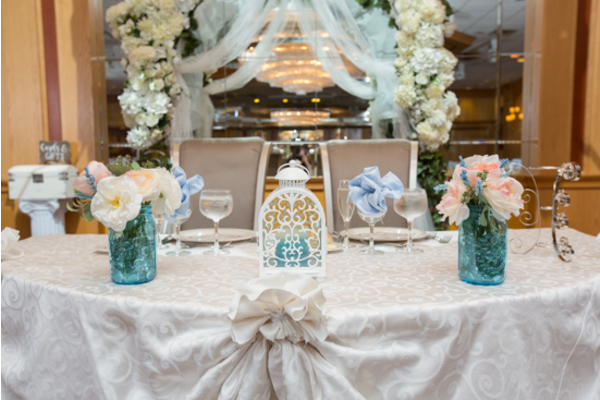 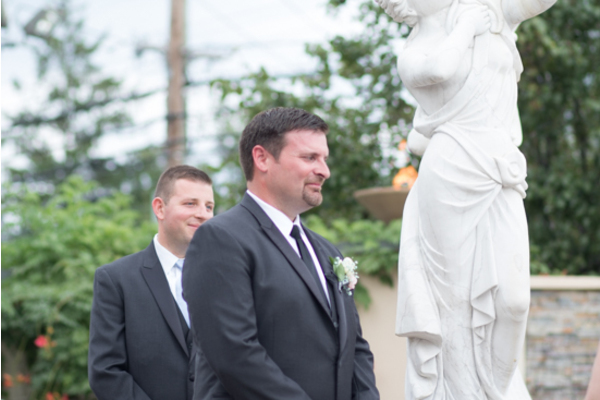 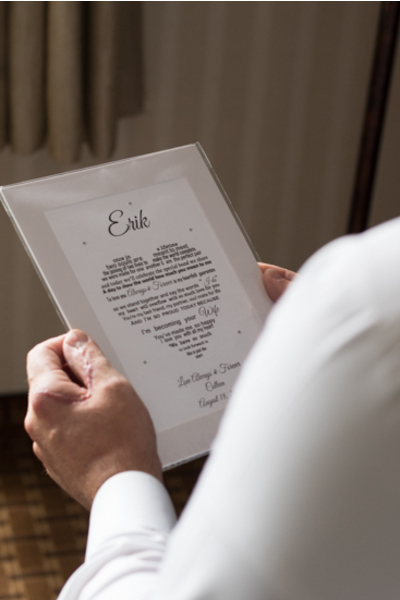 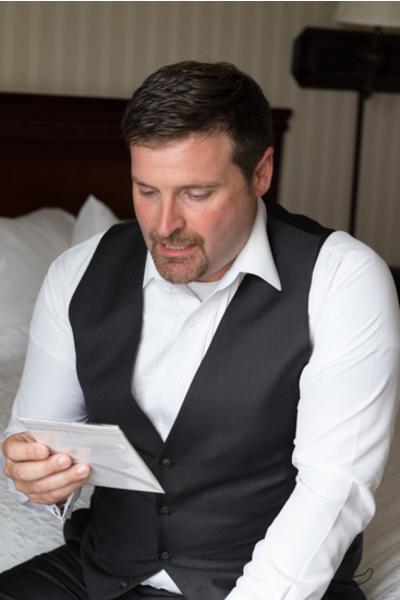 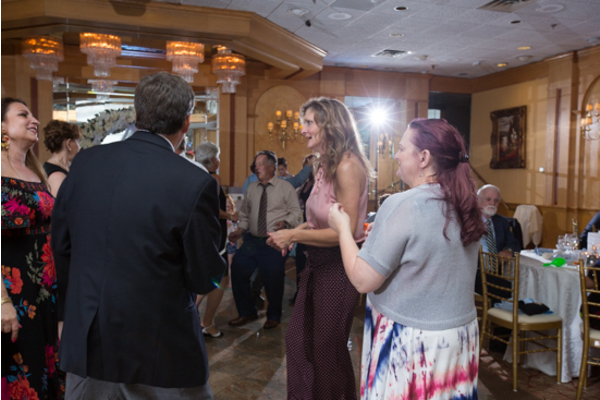 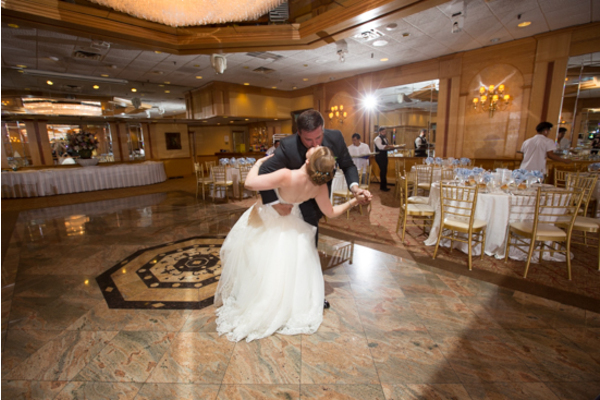 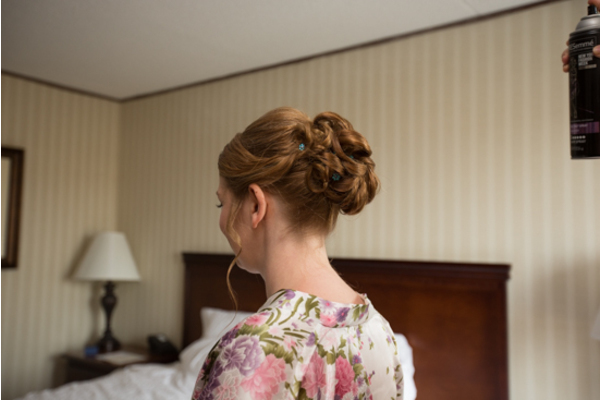 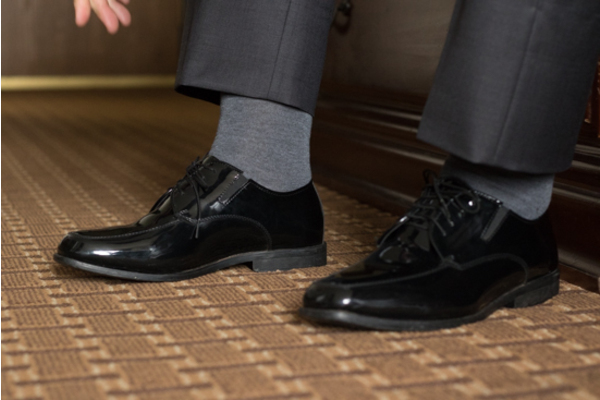 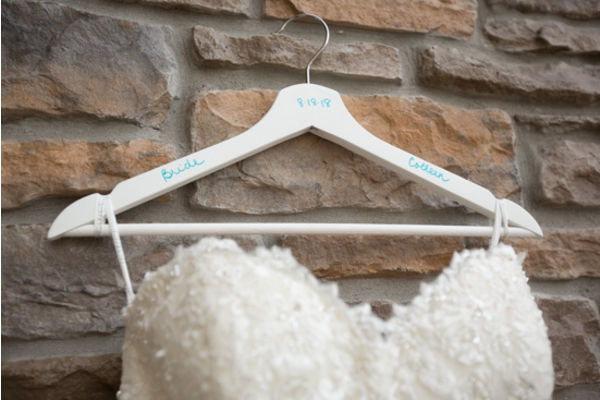 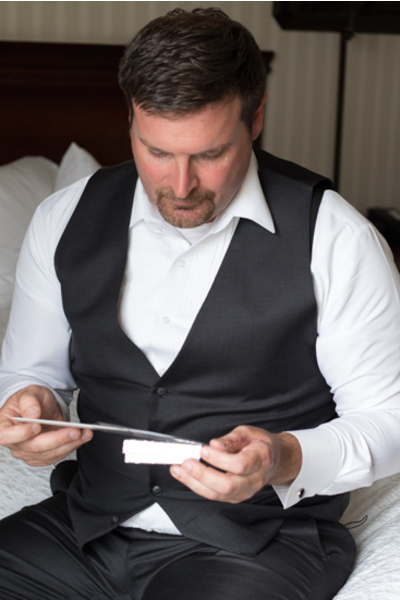 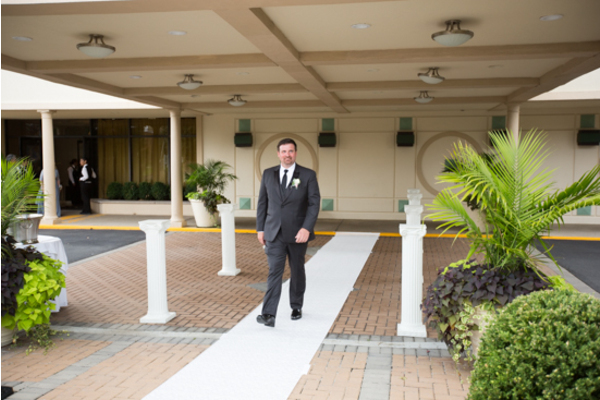 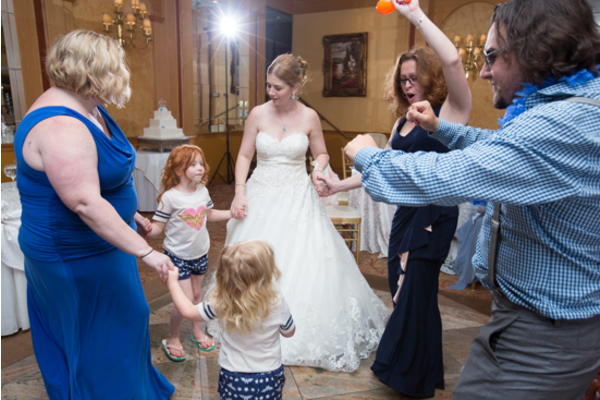 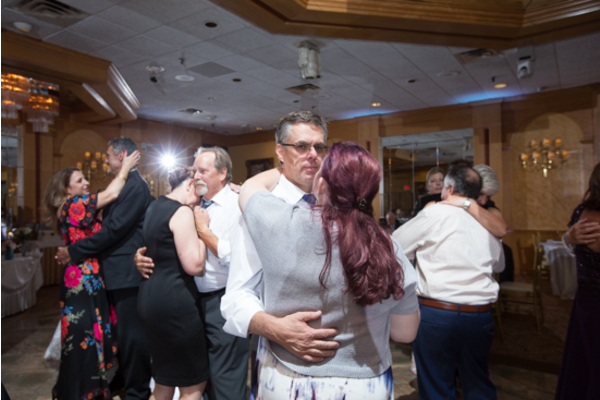 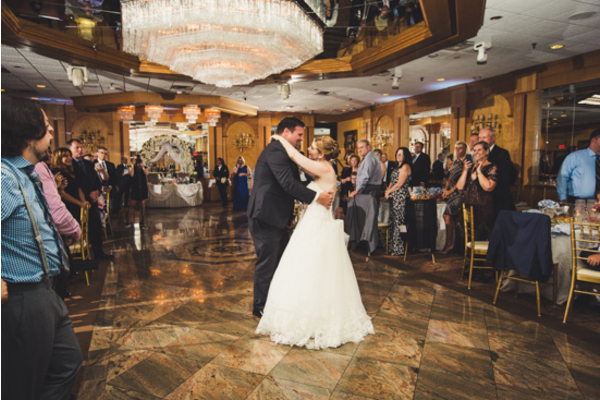 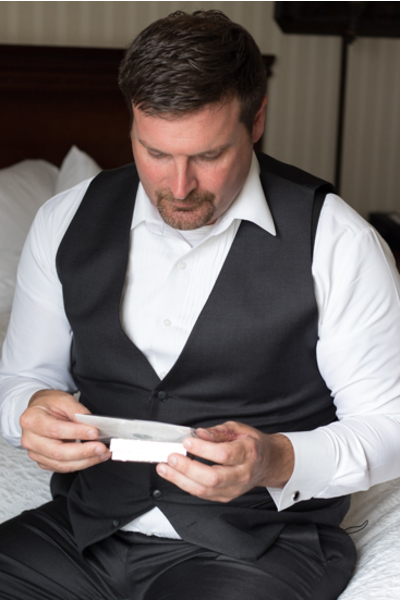 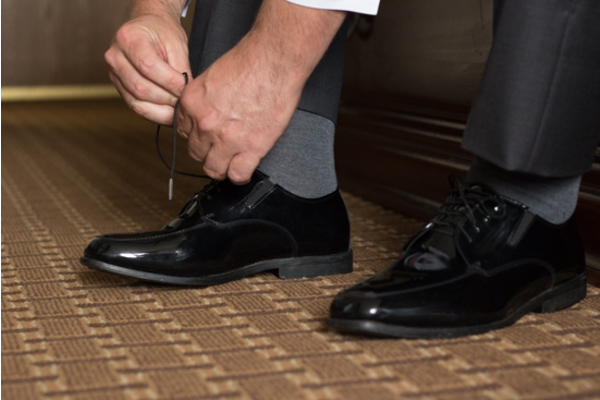 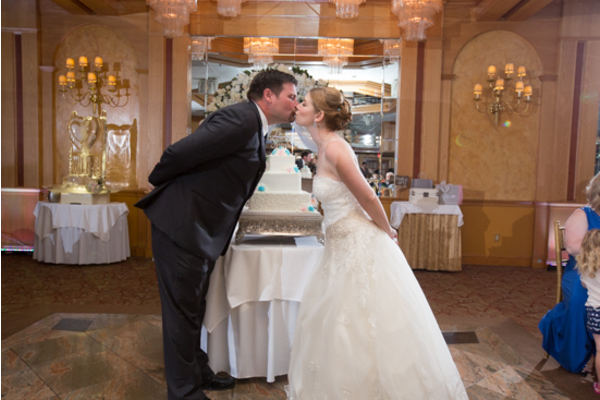 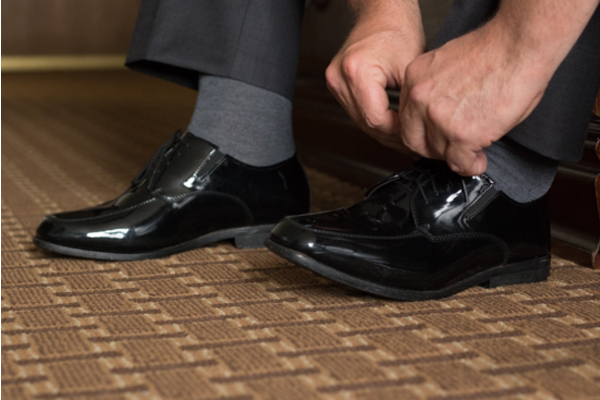 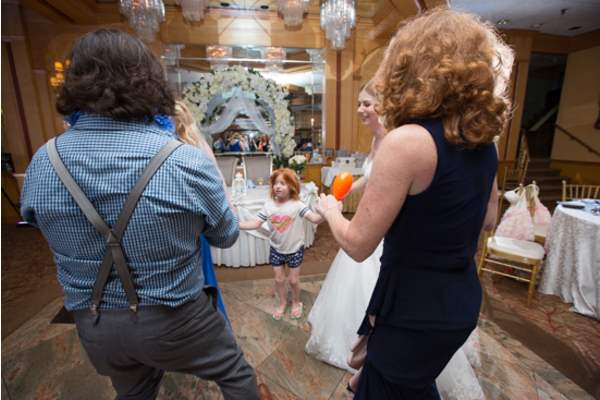 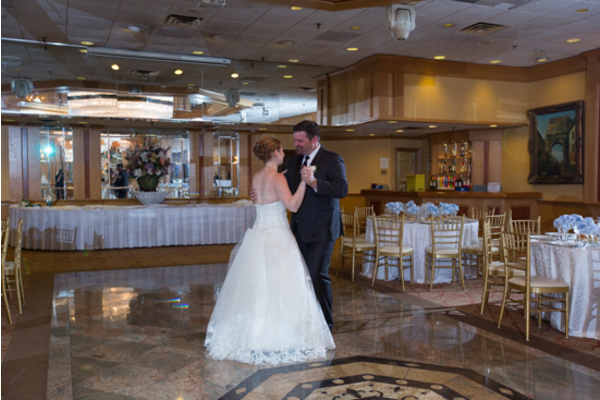 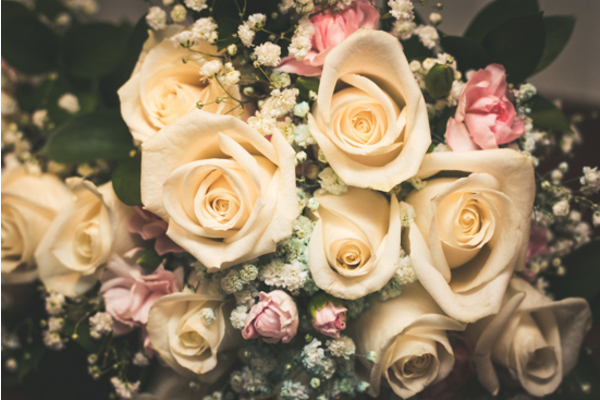 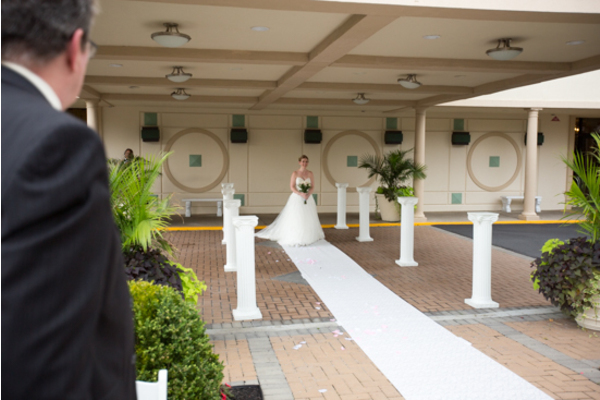 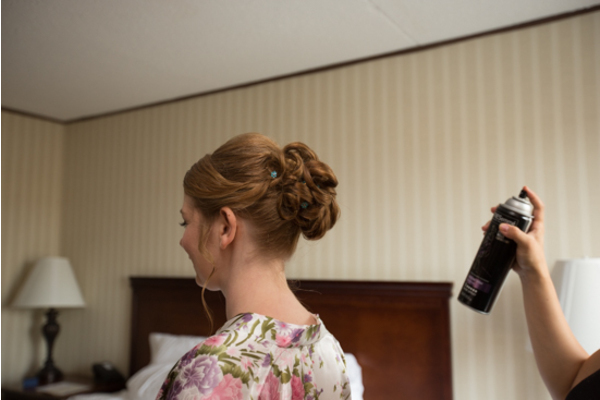 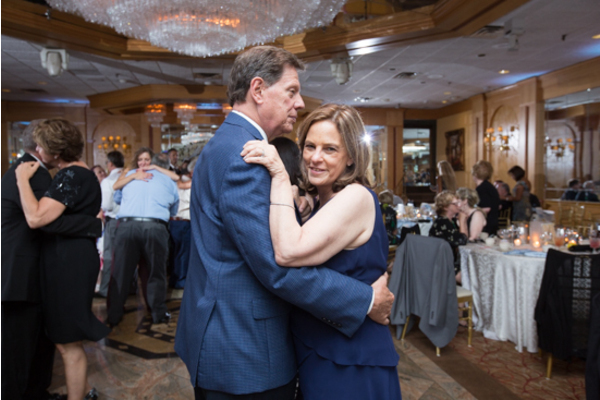 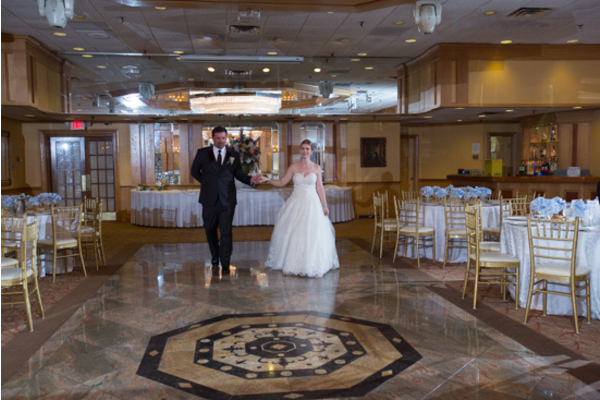 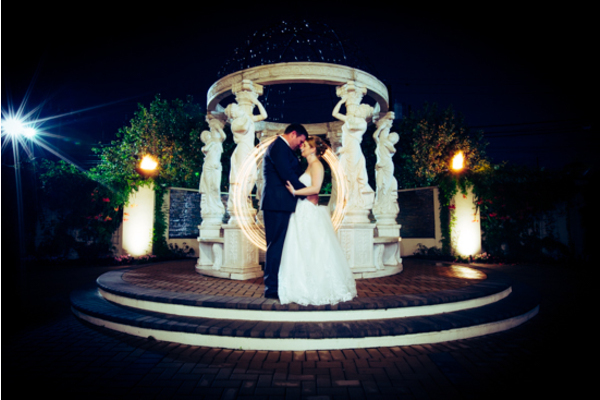 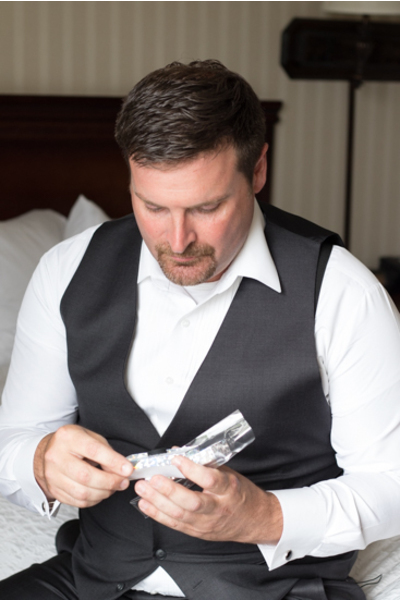 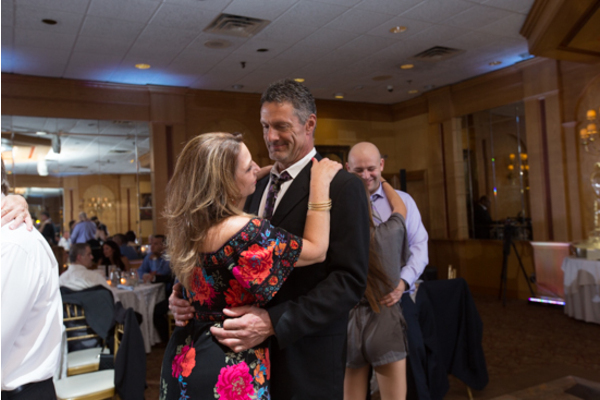 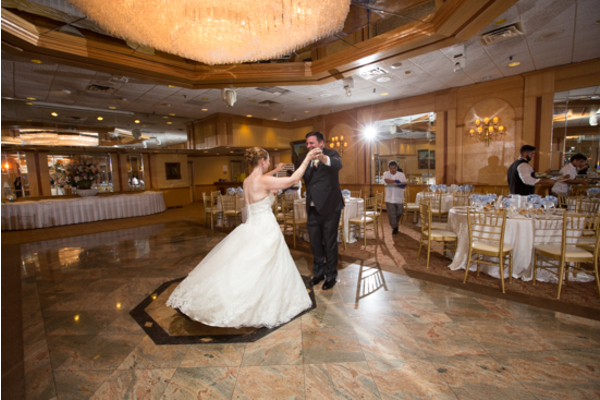 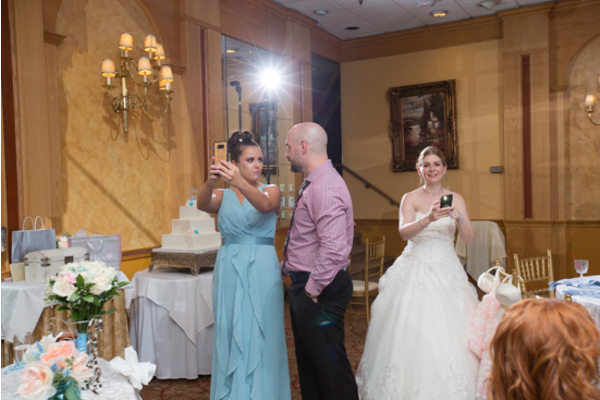 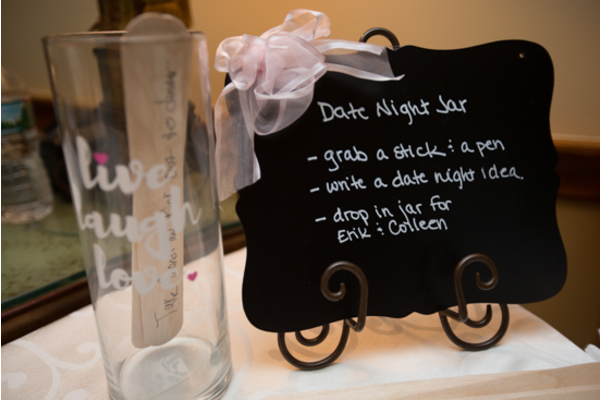 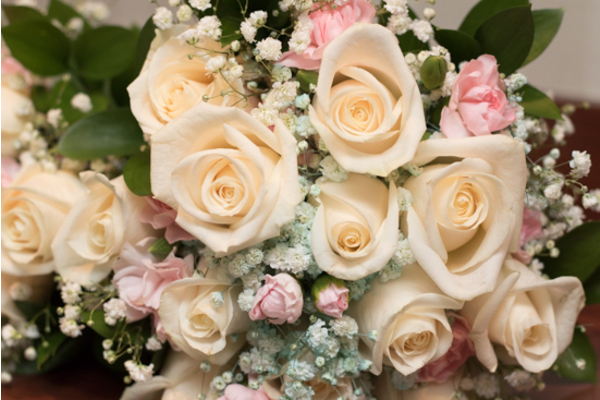 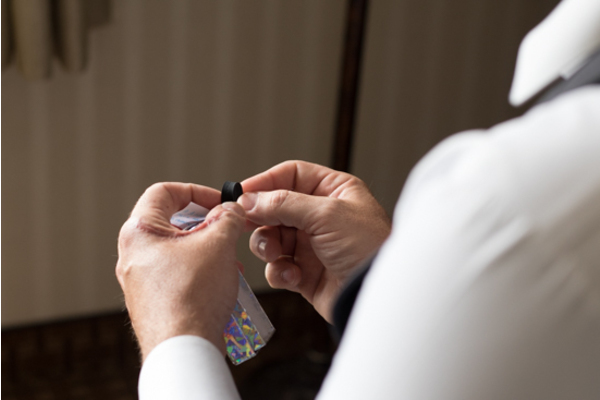 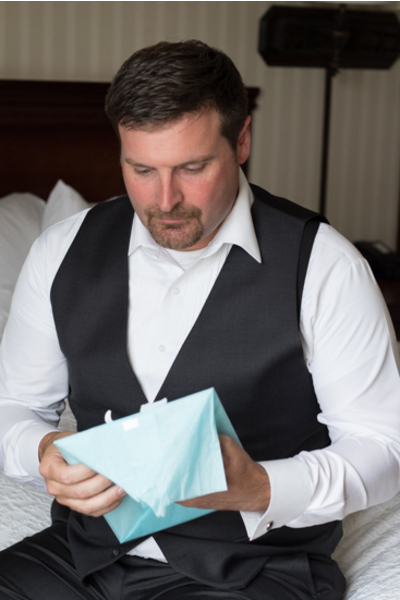 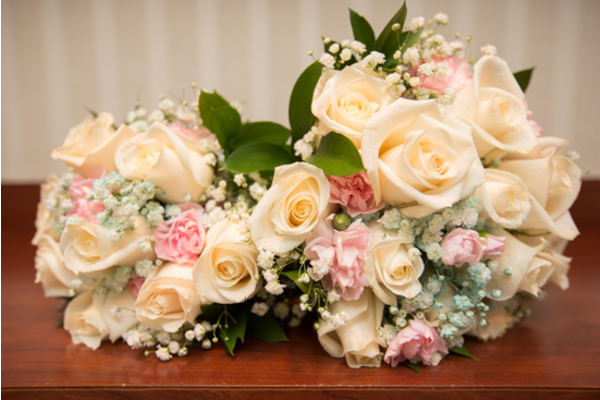 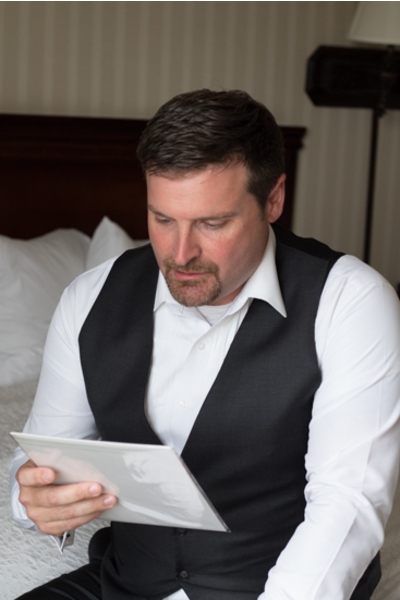 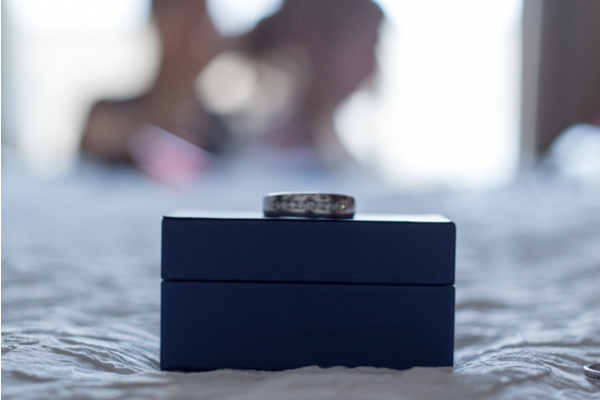 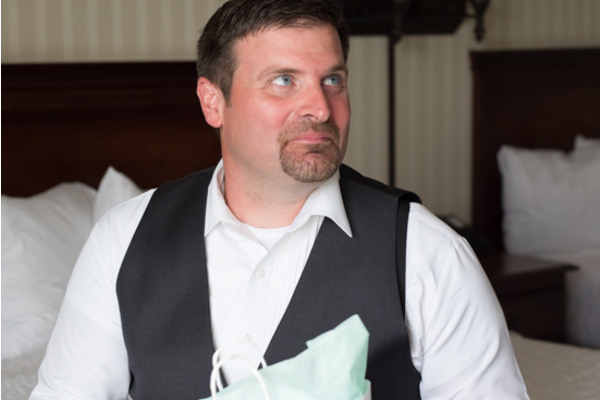 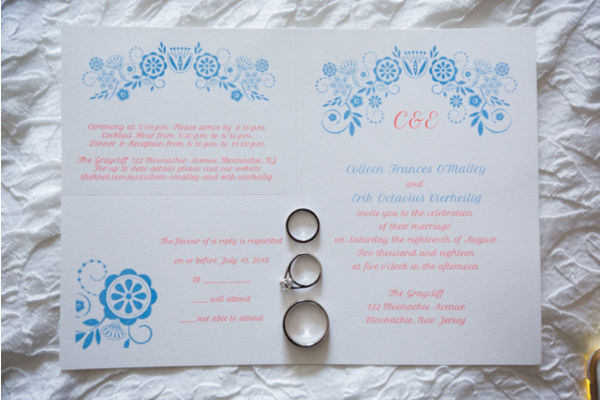 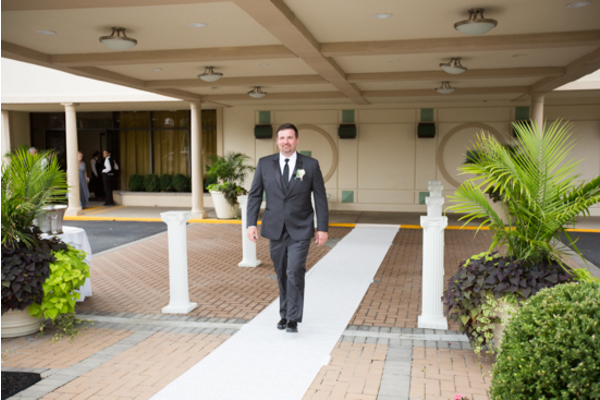 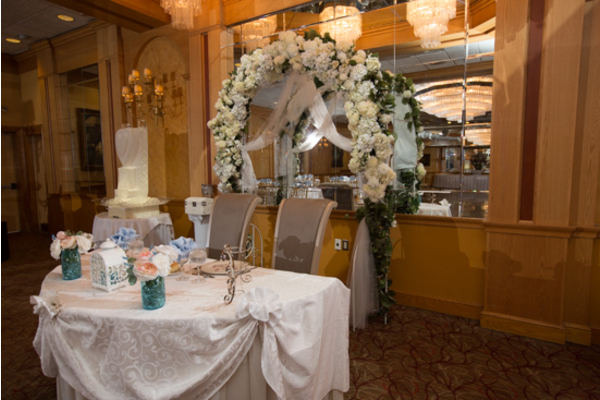 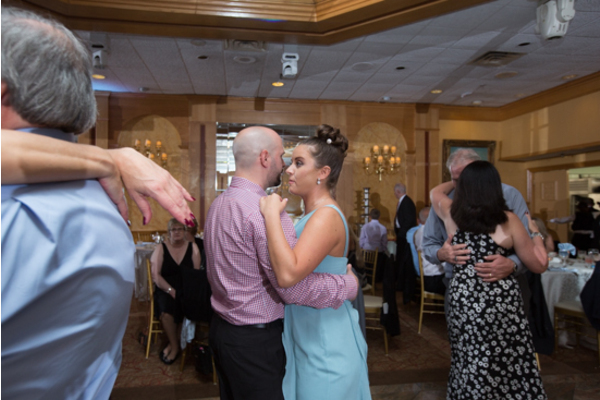 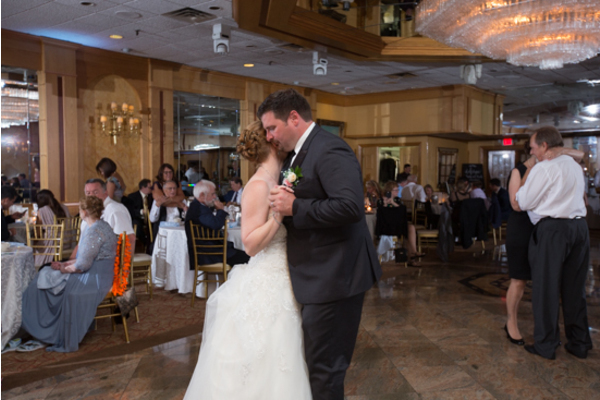 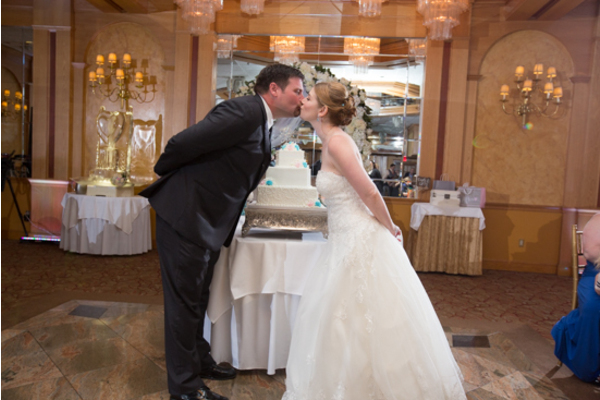 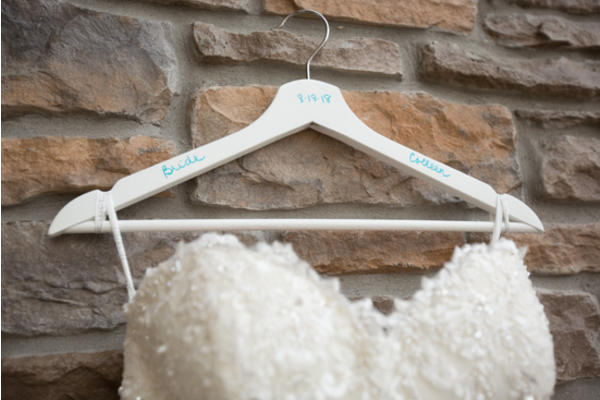 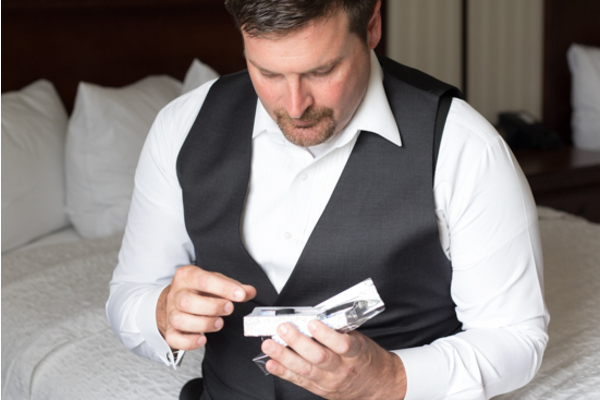 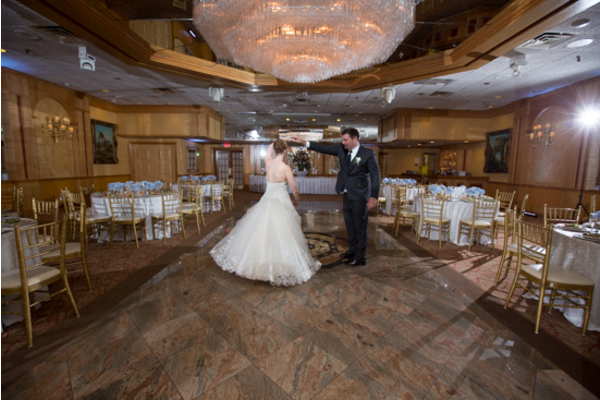 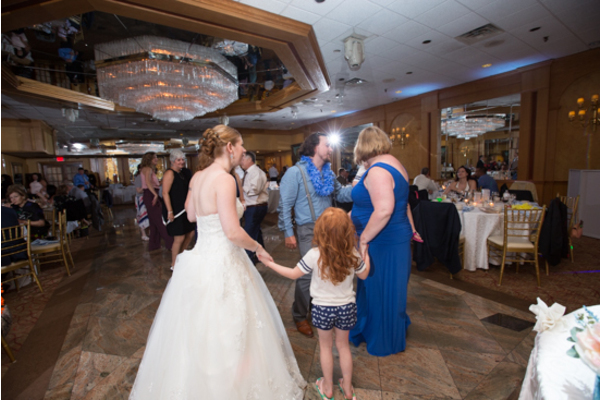 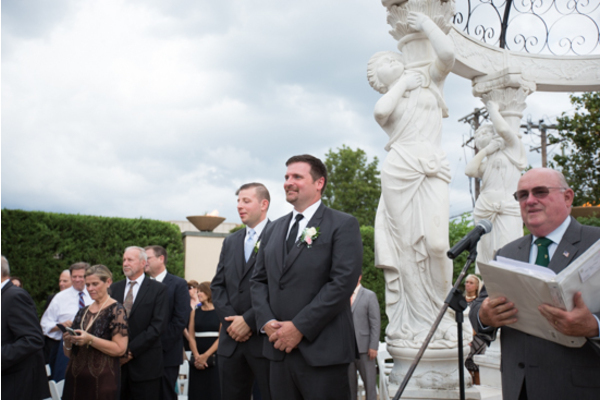 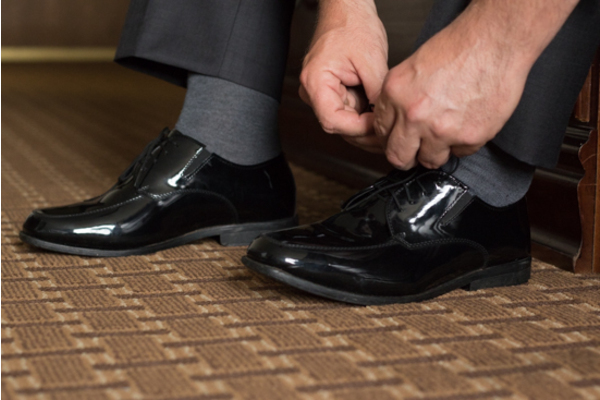 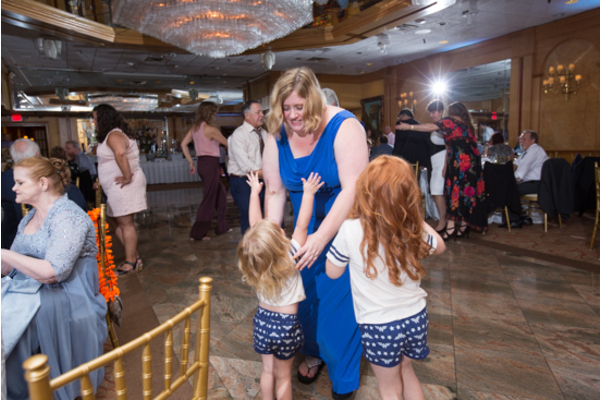 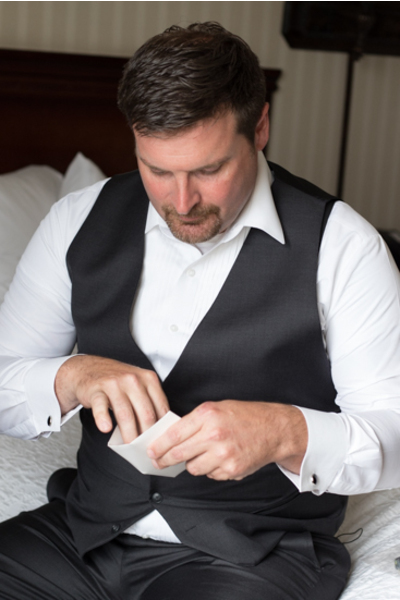 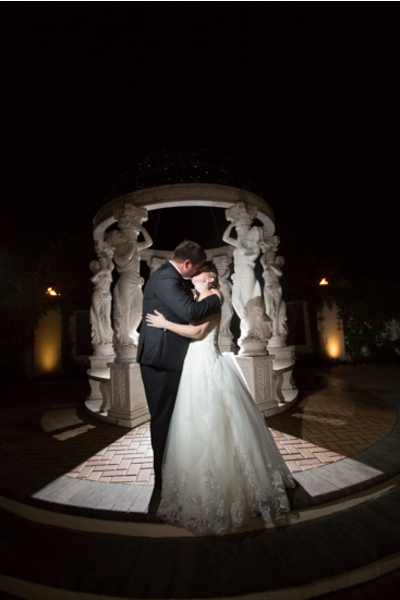 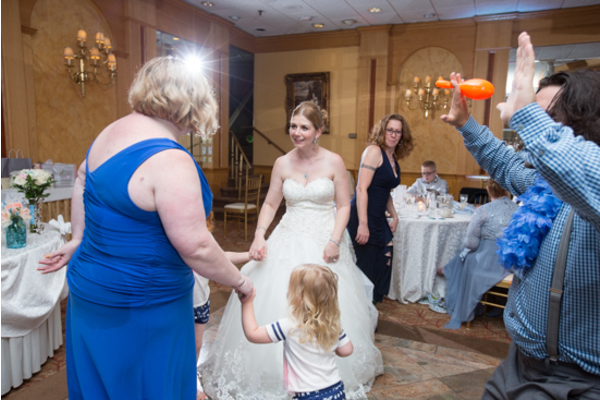 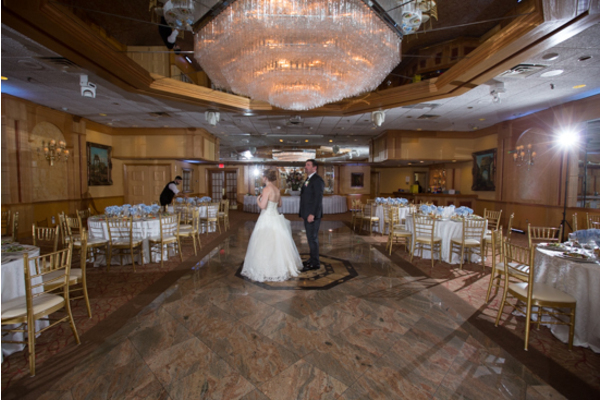 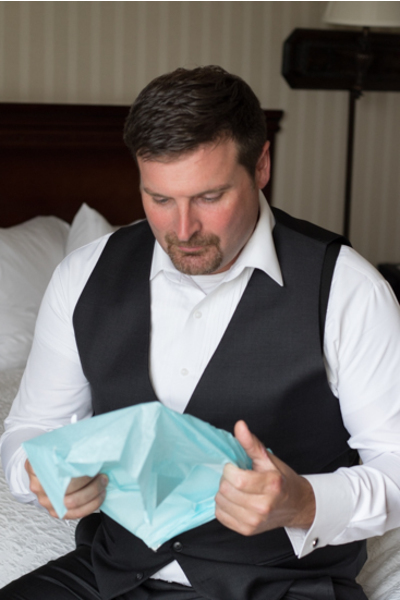 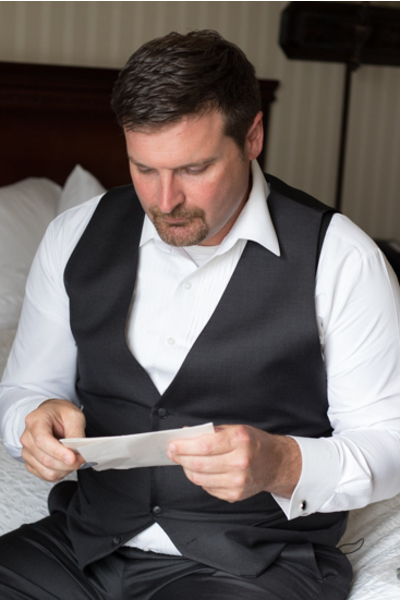 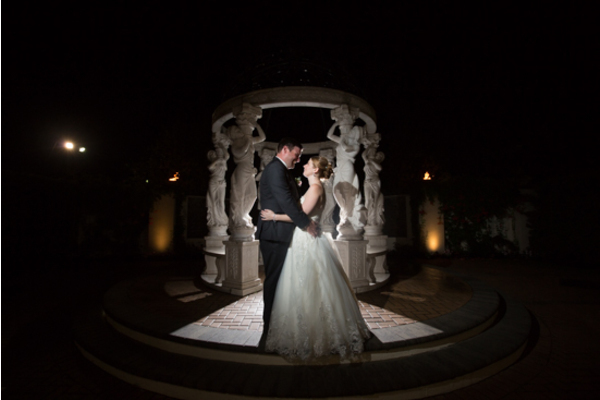 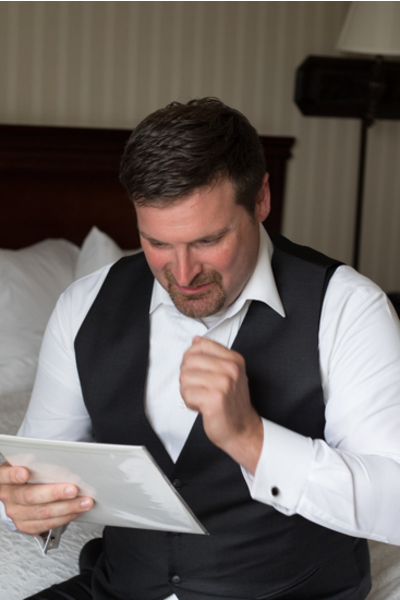 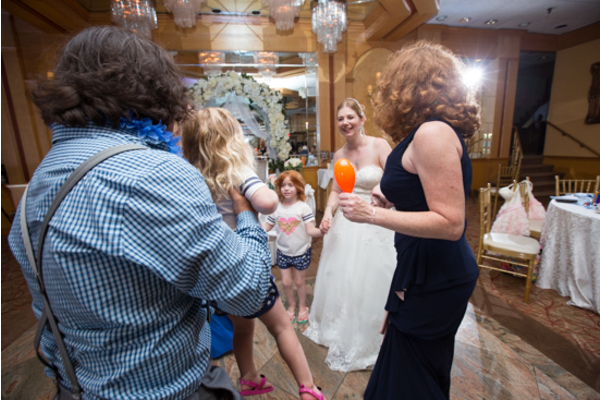 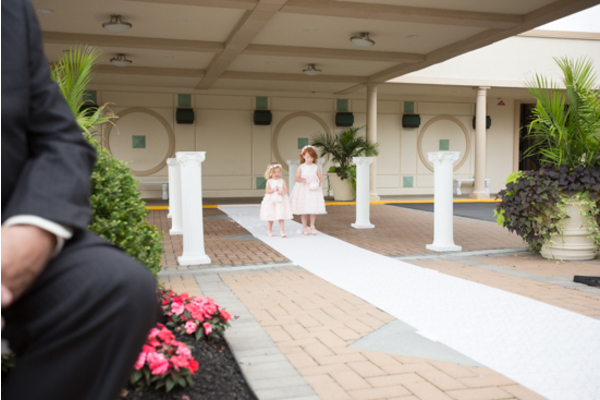 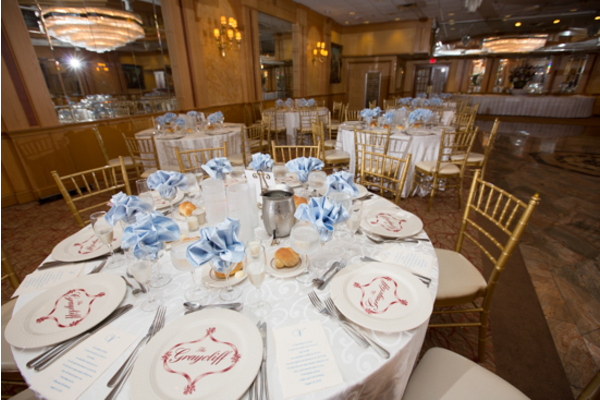 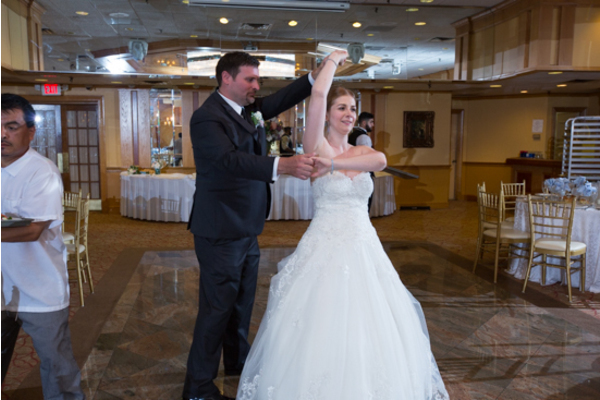 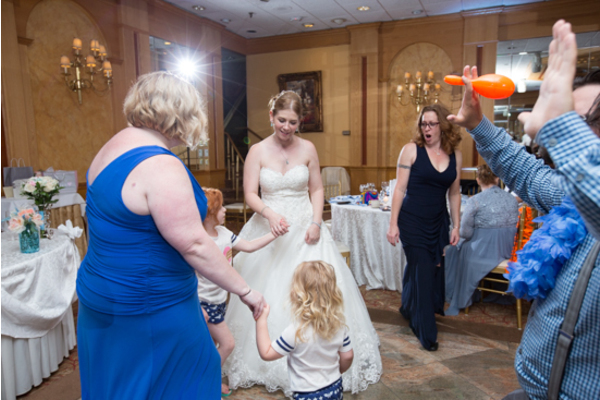 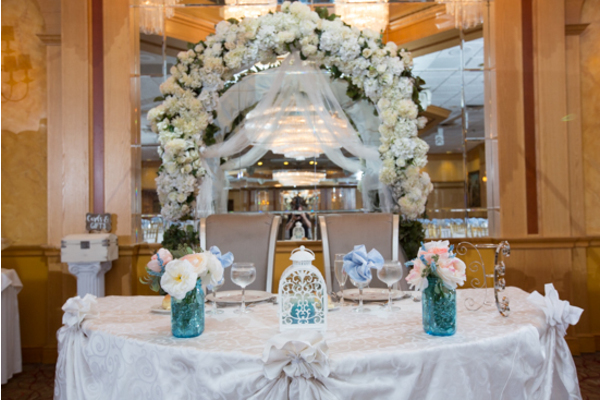 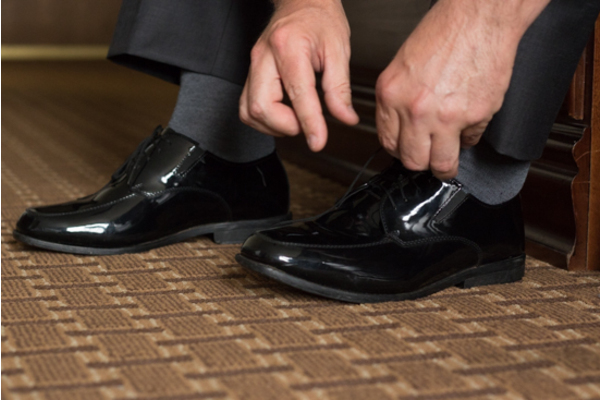 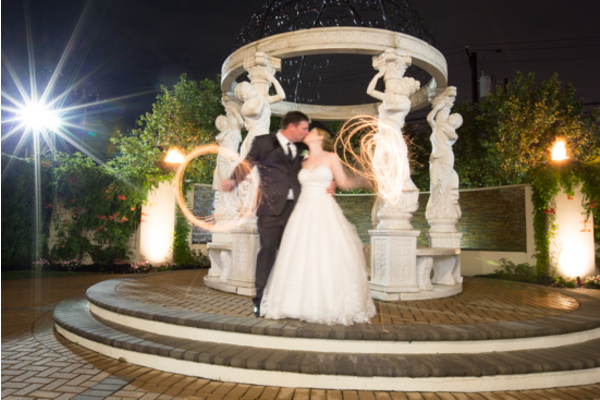 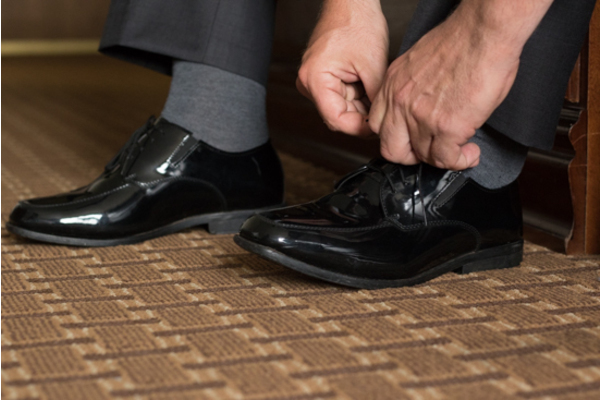 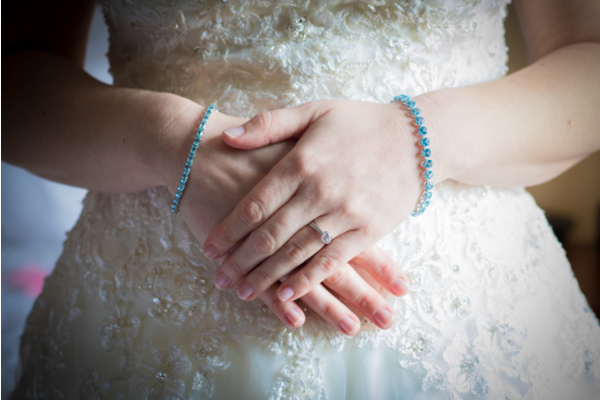 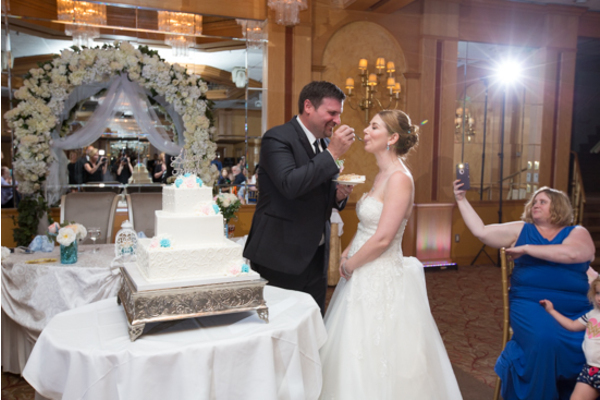 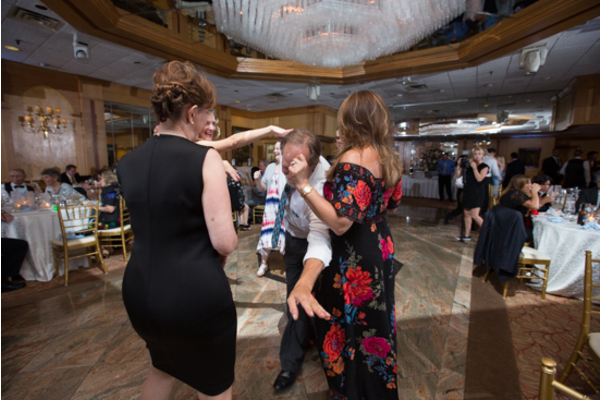 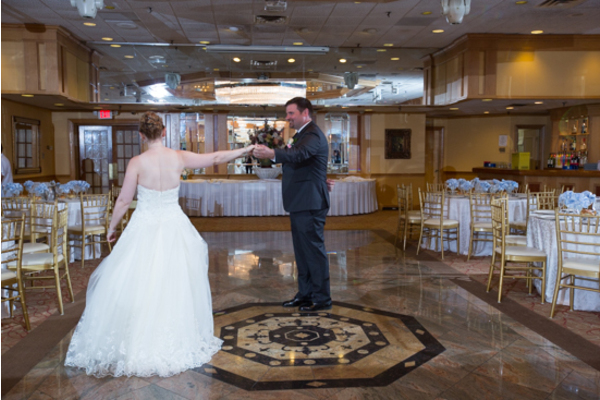 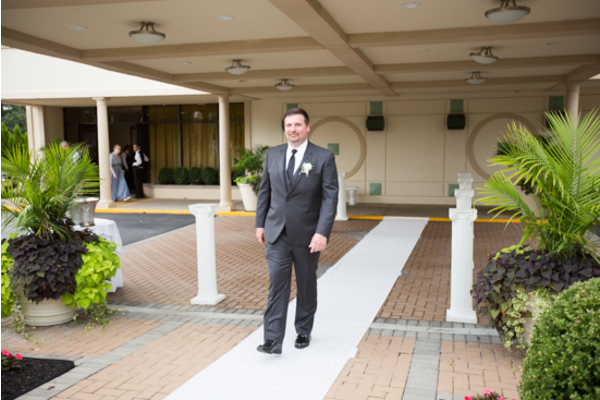 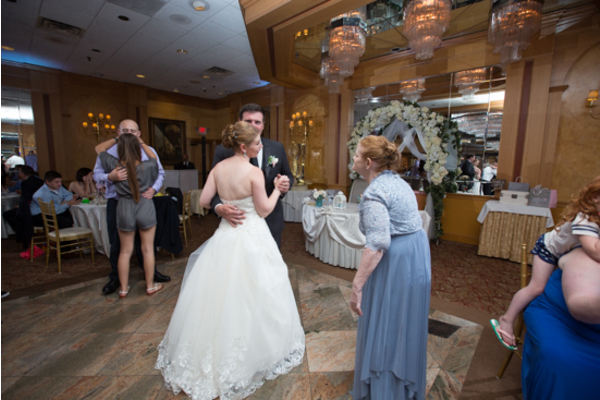 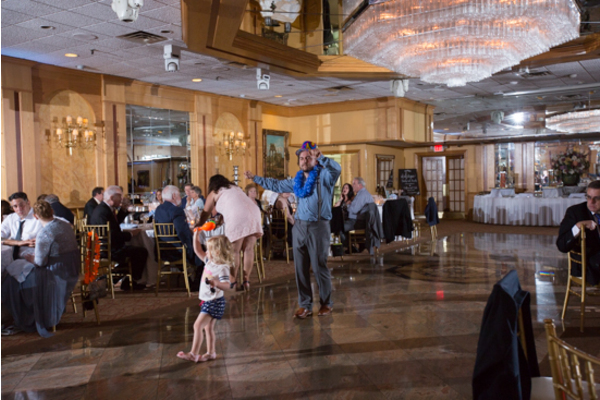 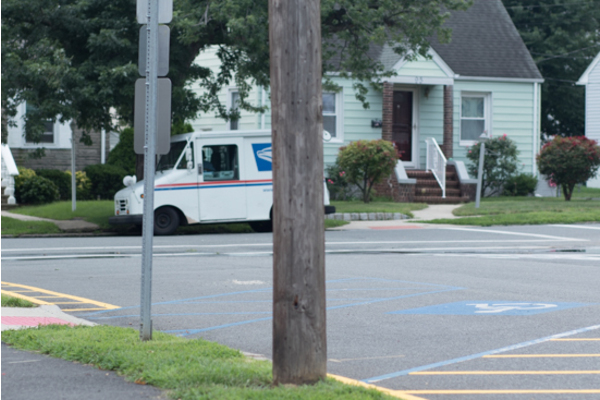 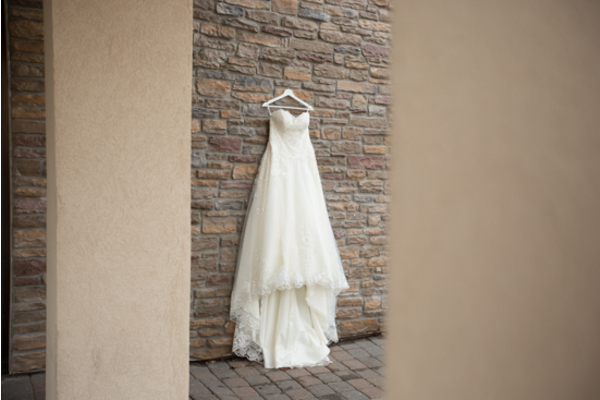 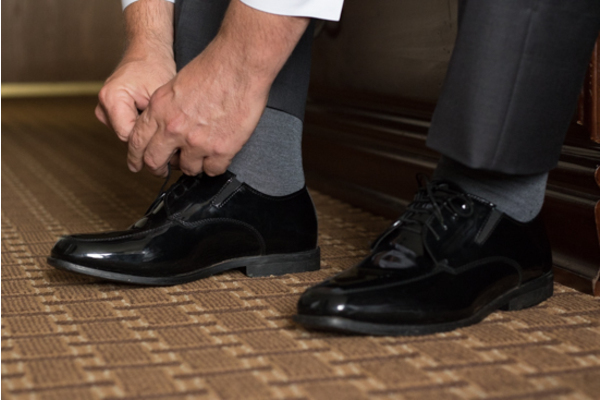 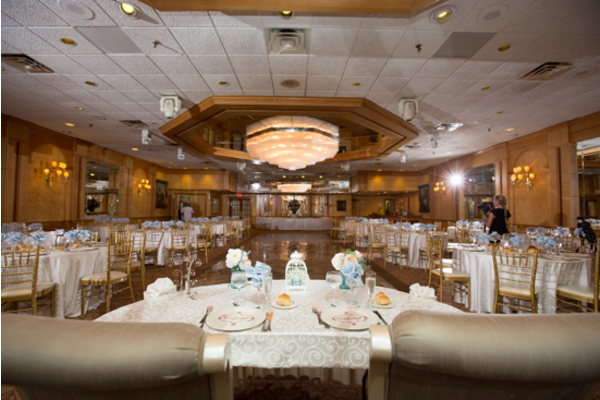 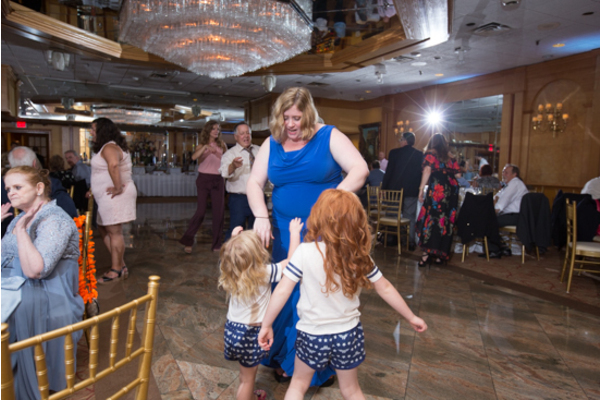 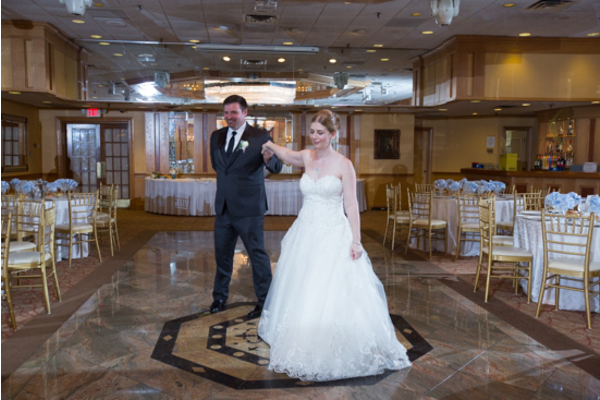 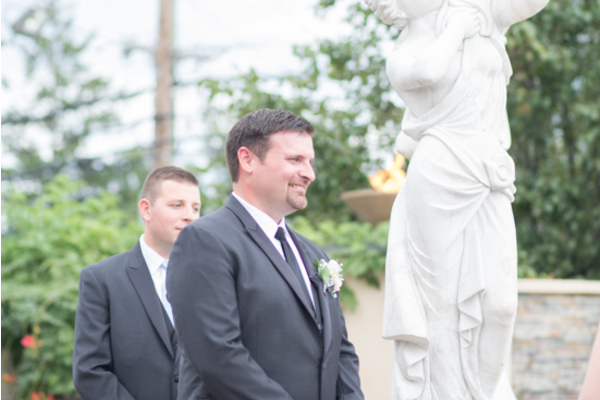 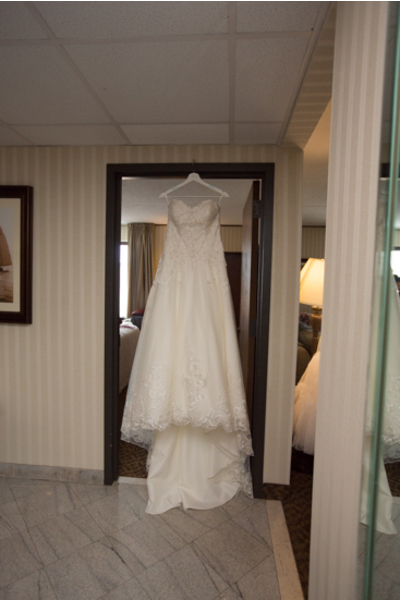 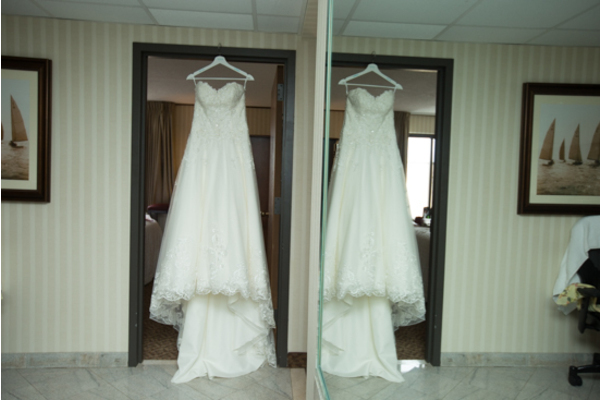 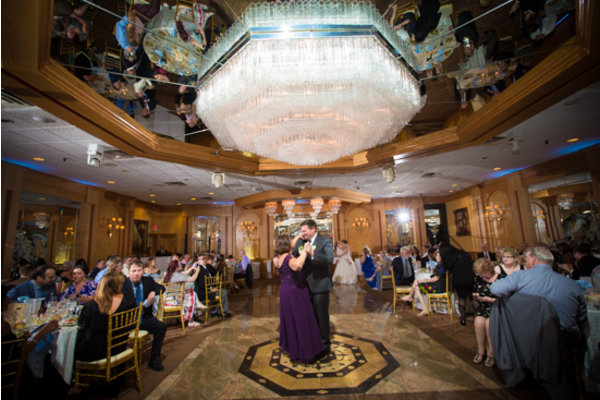 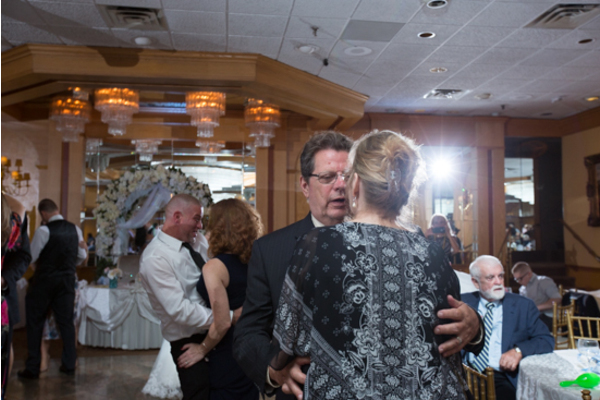 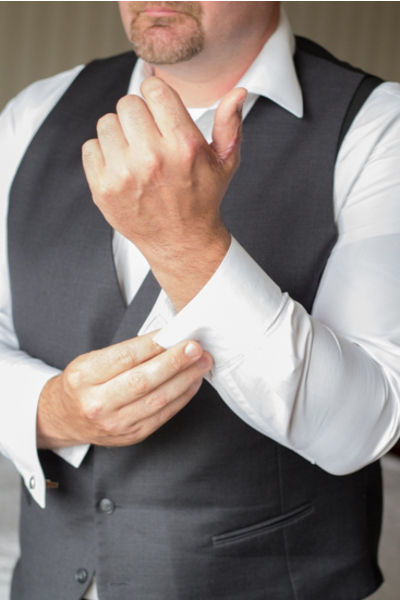 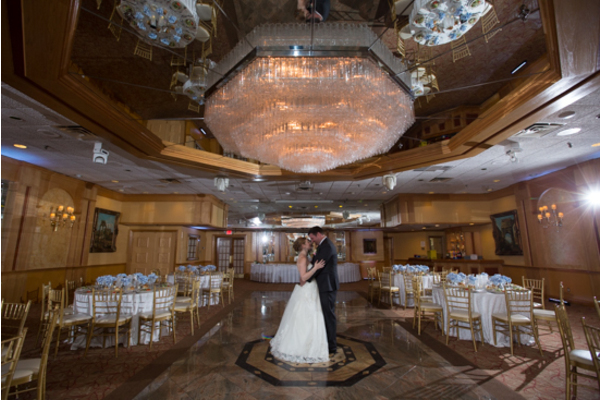 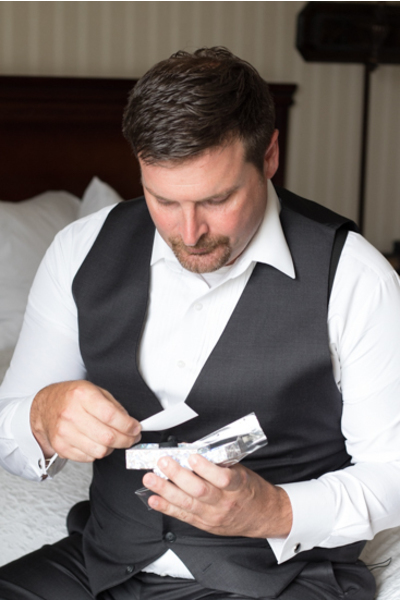 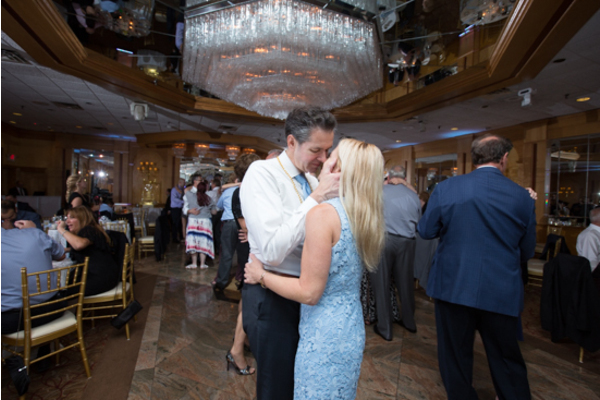 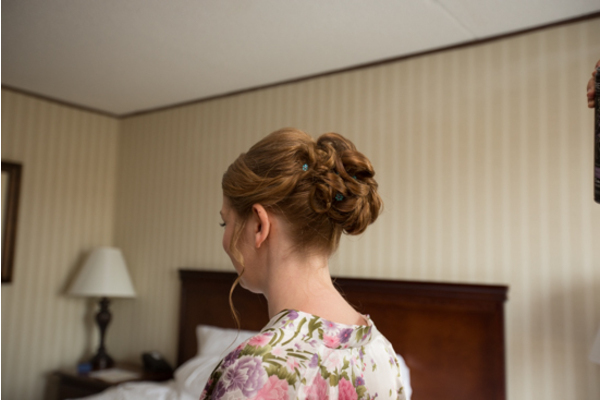 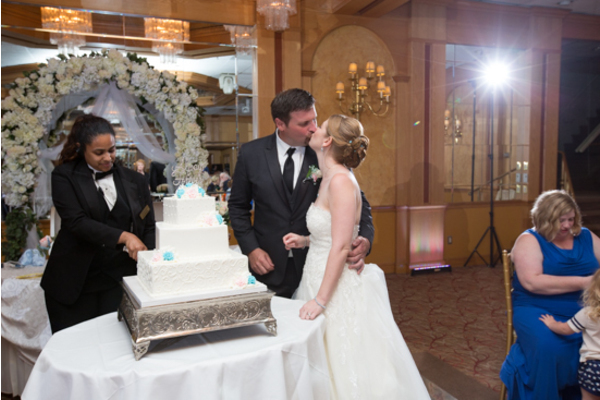 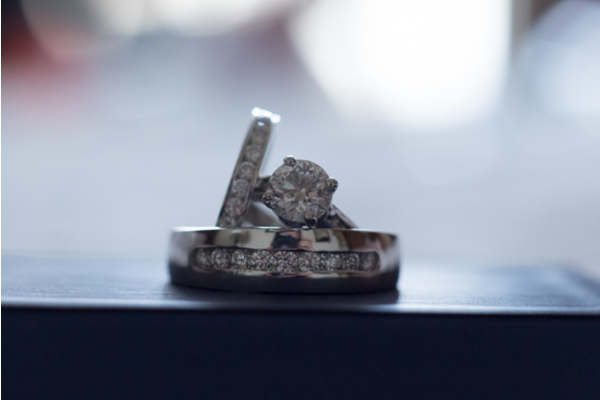 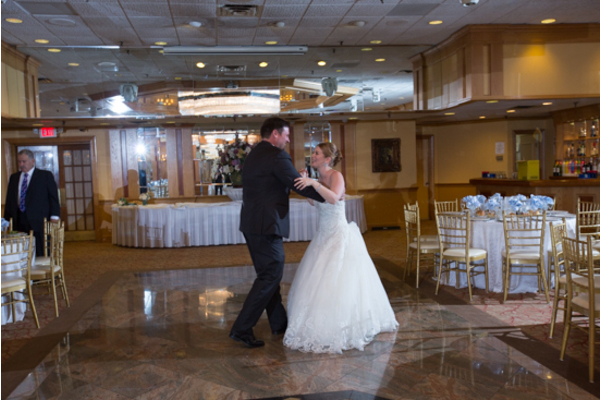 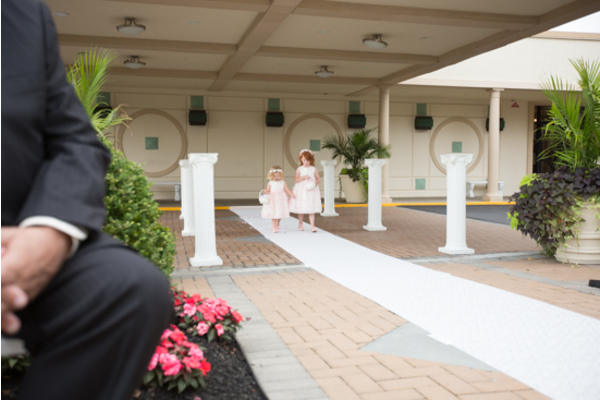 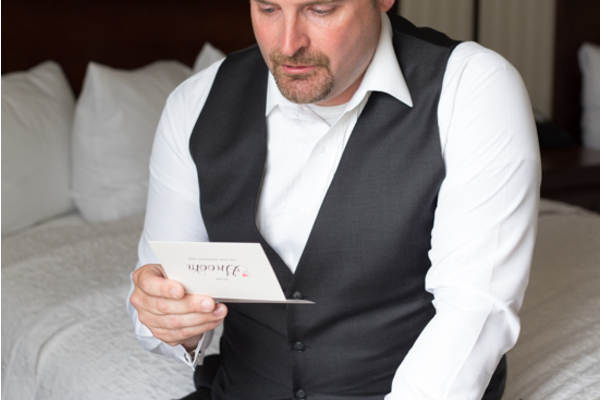 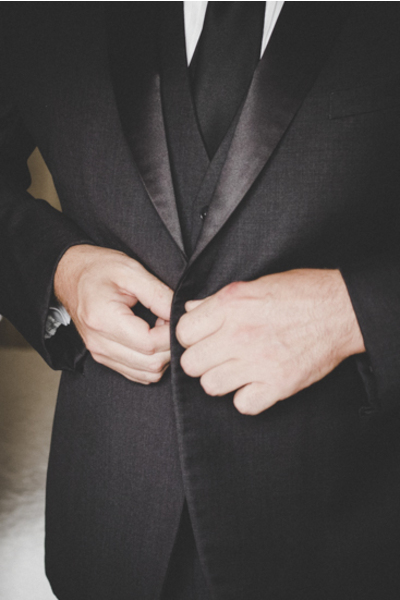 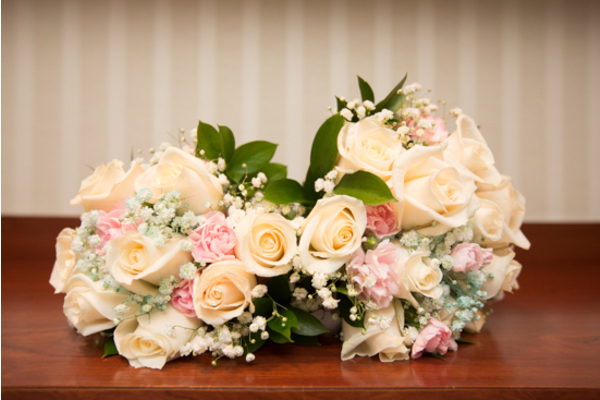 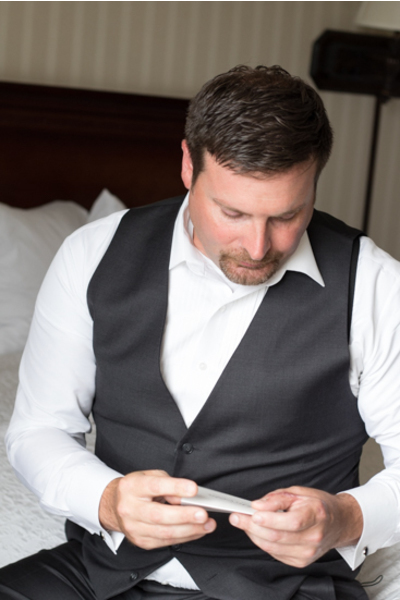 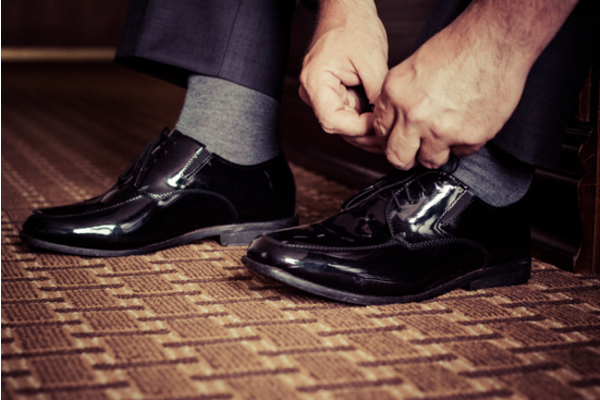 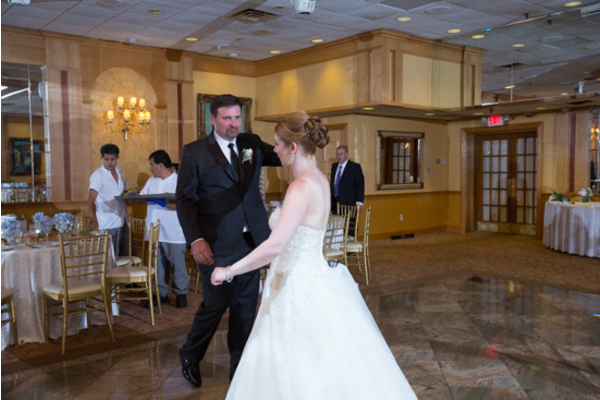 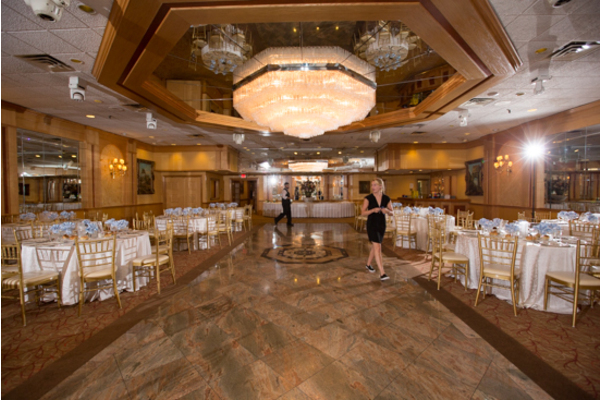 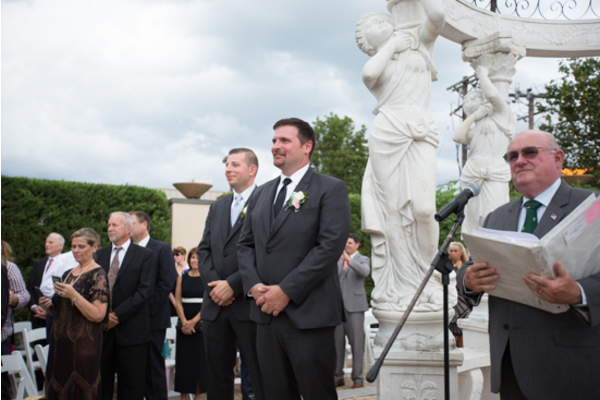 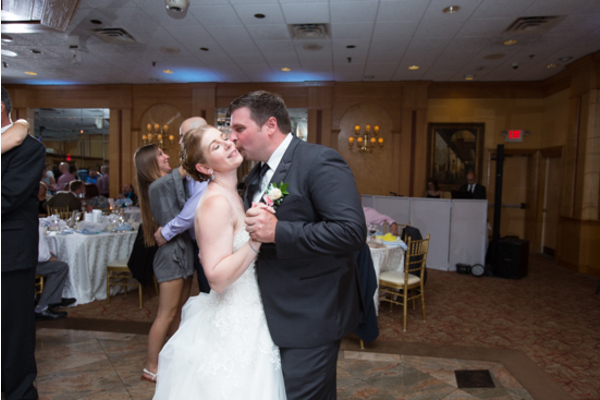 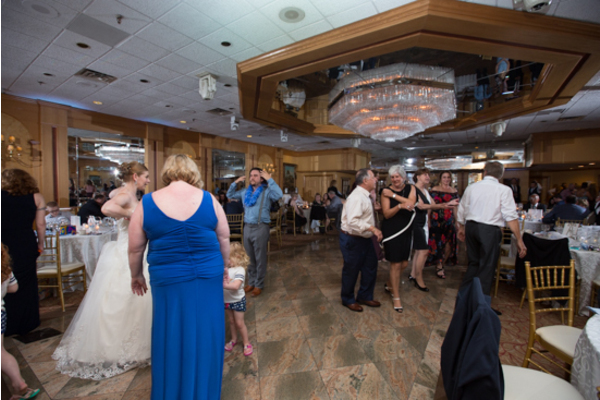 Behind the scenes, our talented NJ Wedding Photographer captured all of the amazing moments and small details. 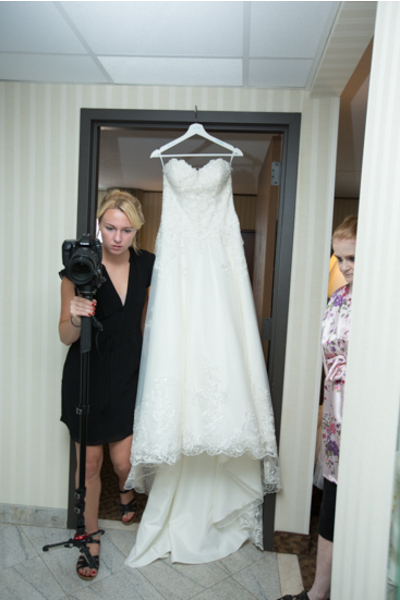 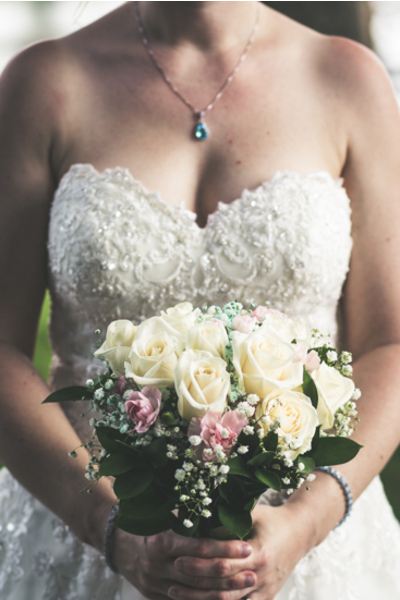 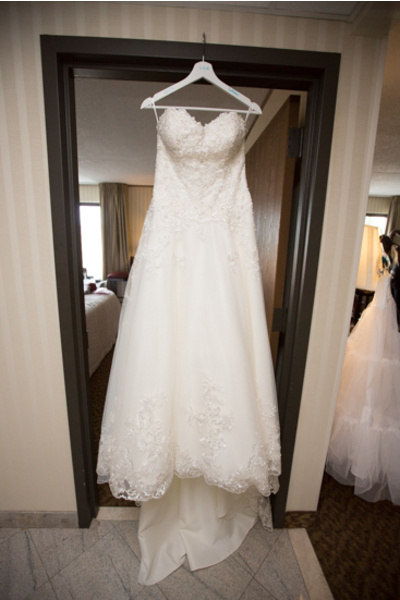 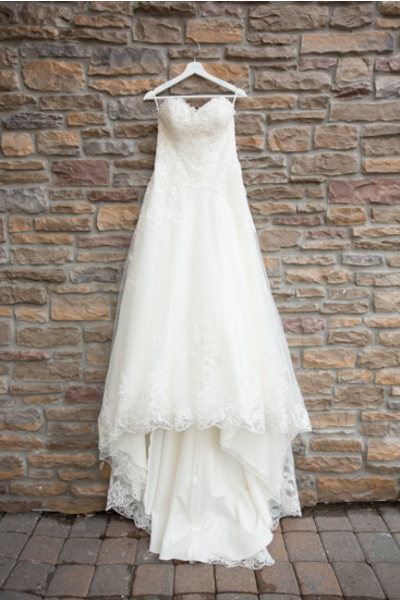 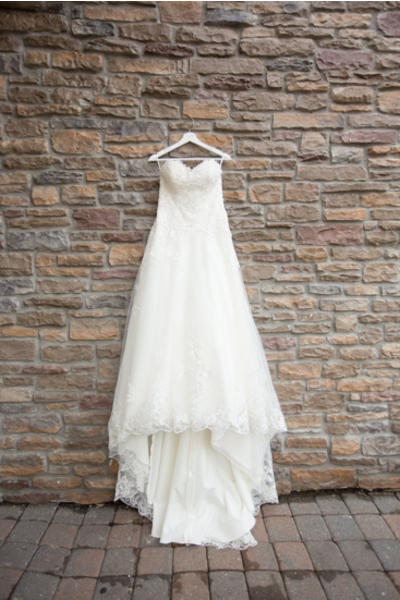 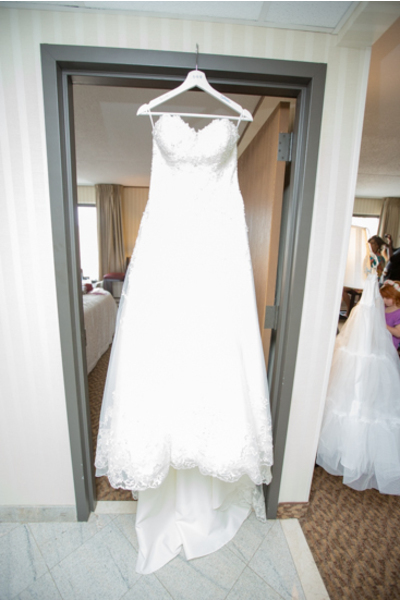 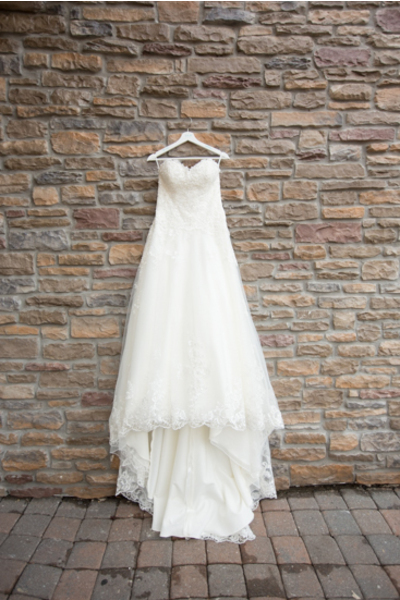 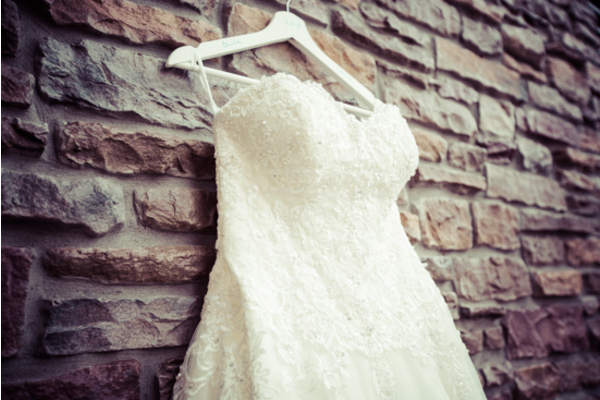 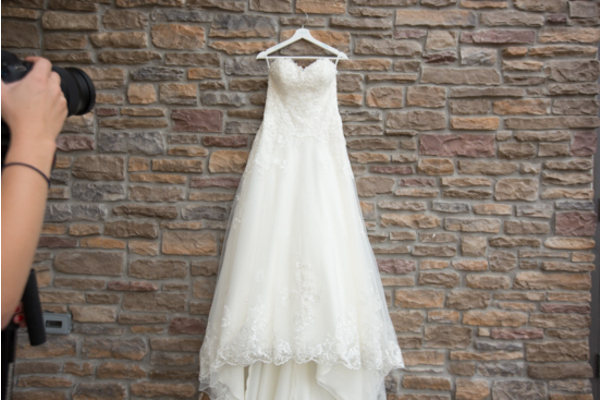 After getting into her gorgeous gown with the help of her maid of honor, it was time for the first look. 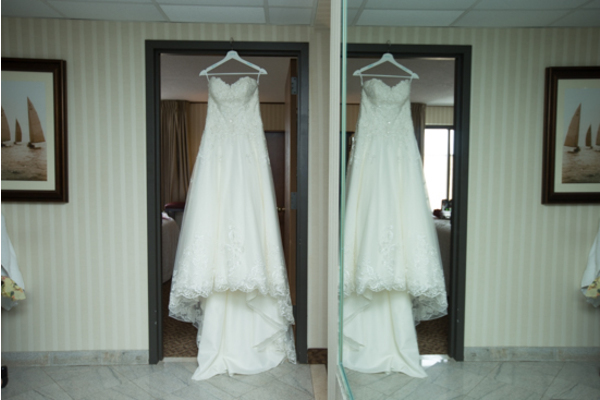 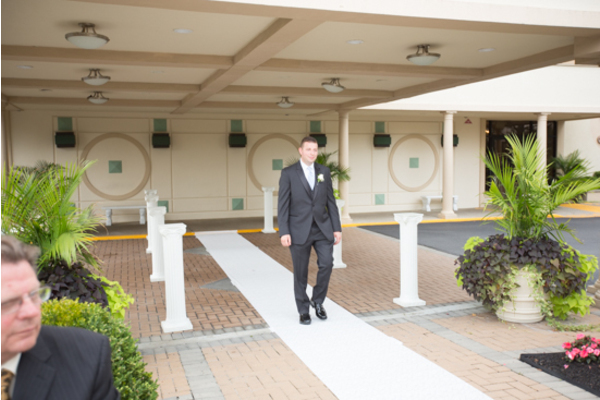 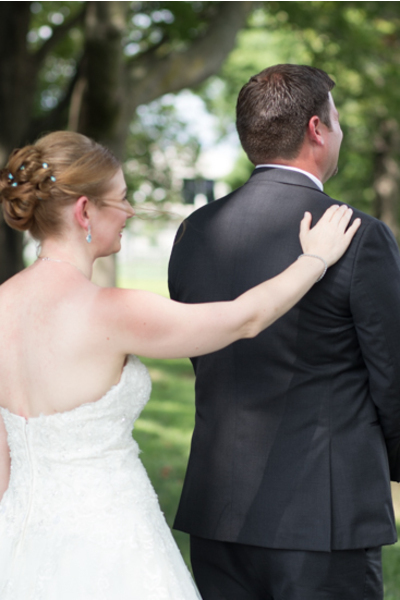 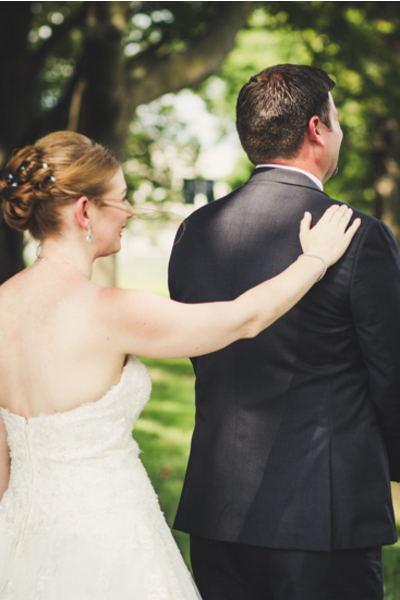 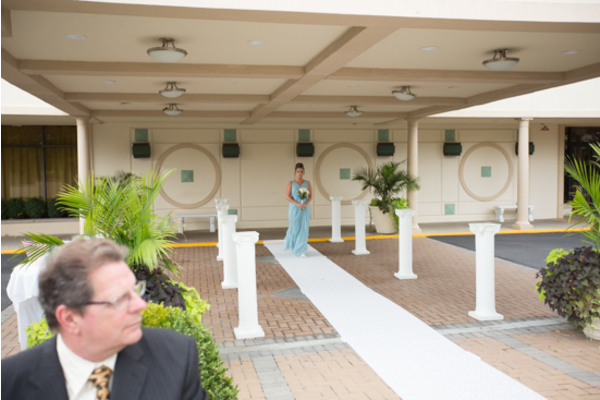 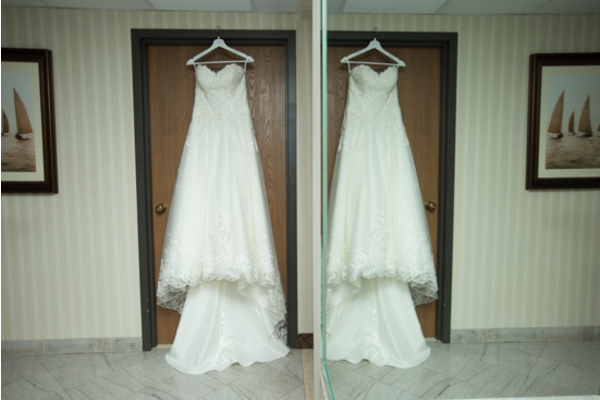 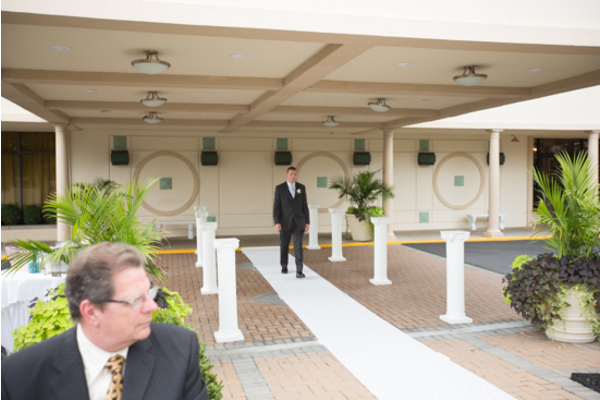 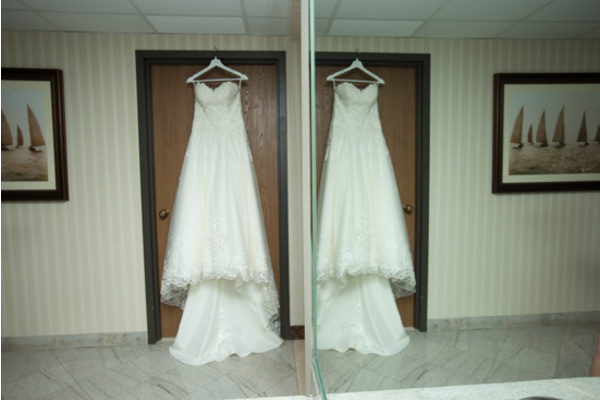 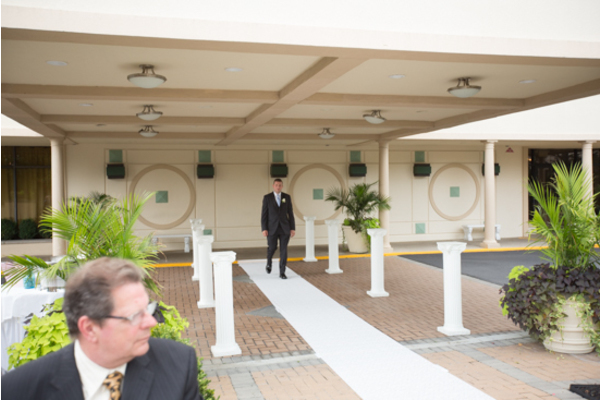 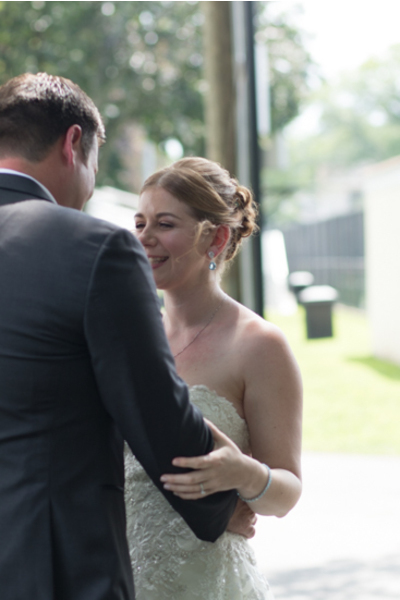 The bride and groom were anxiously awaited seeing one another! 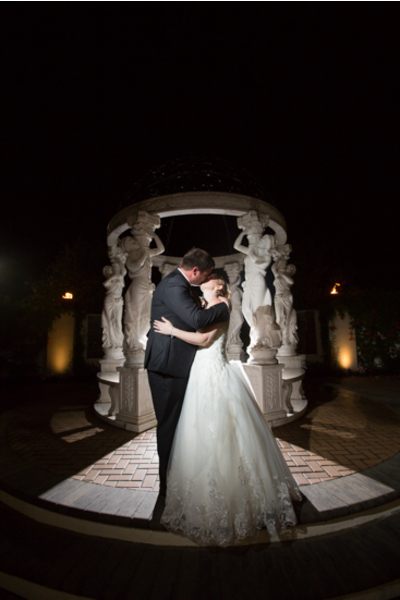 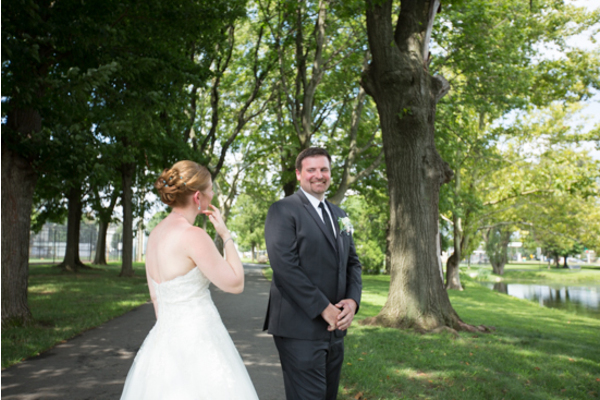 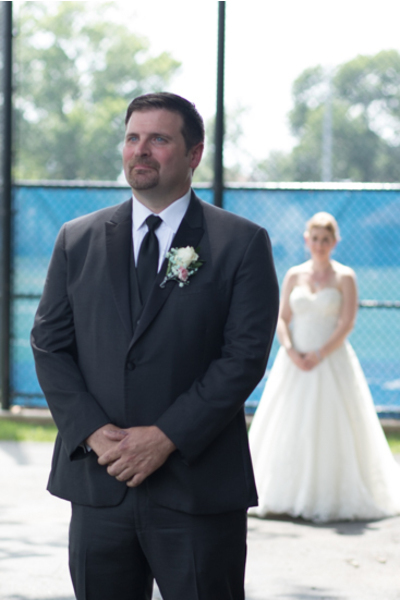 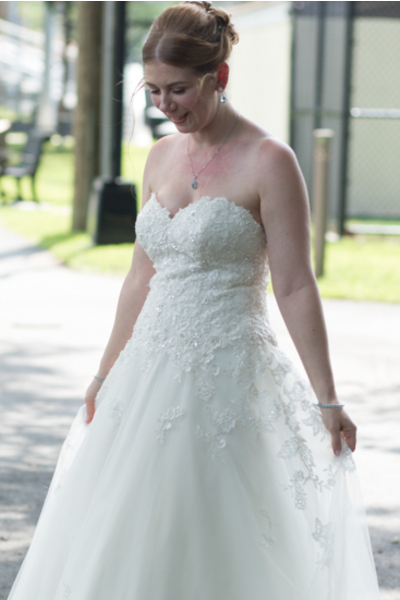 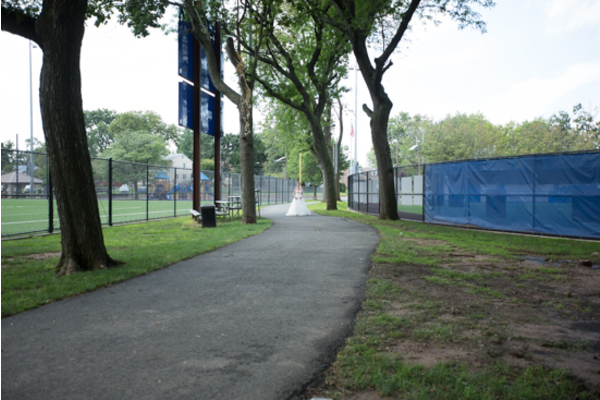 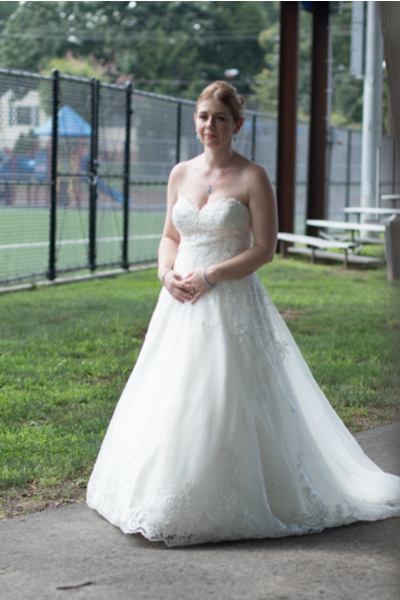 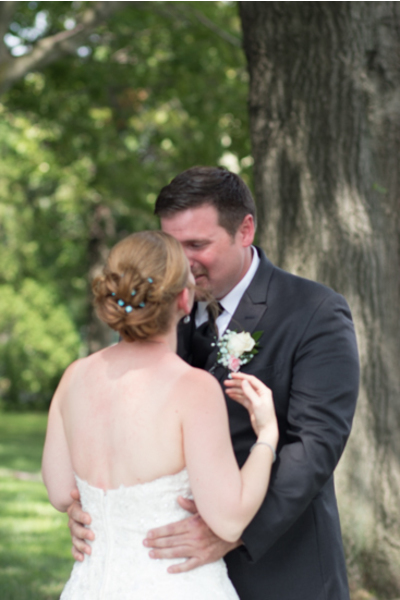 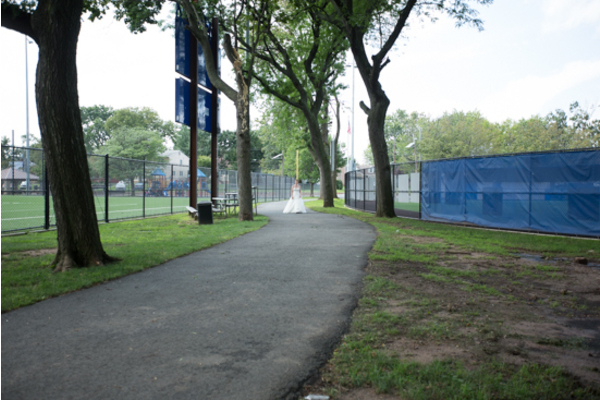 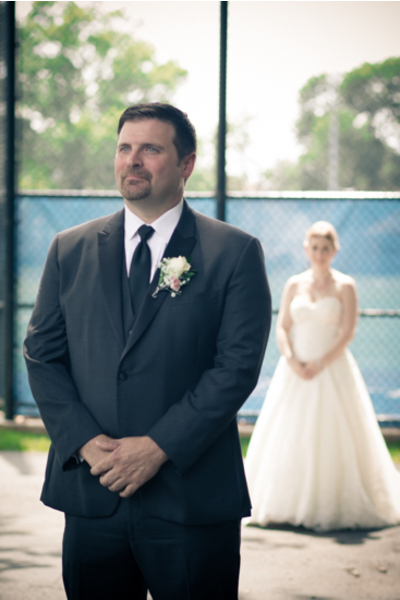 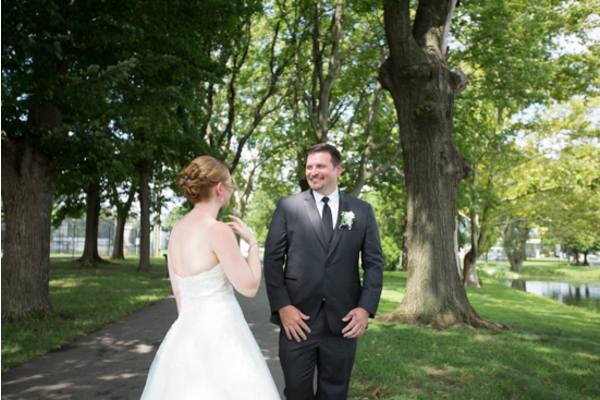 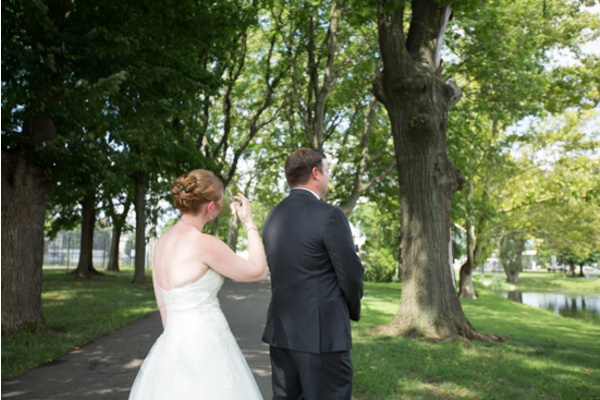 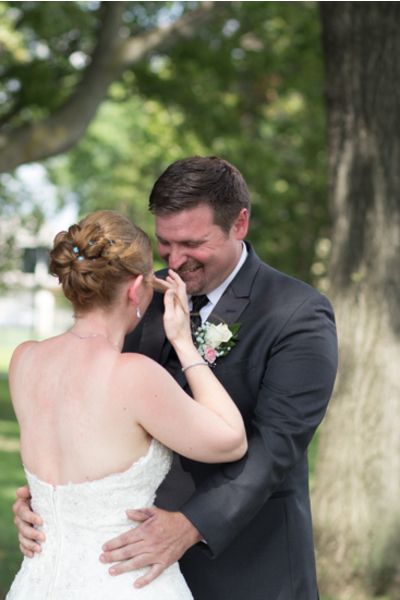 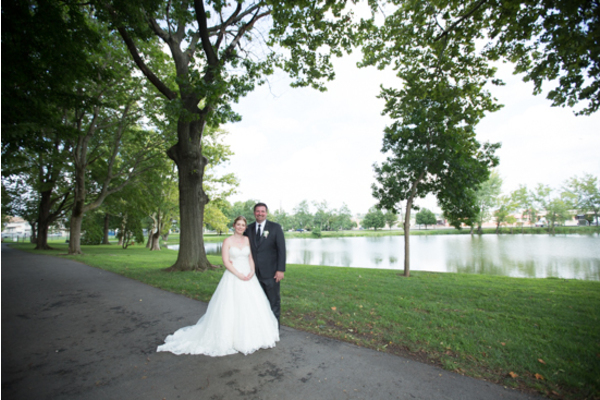 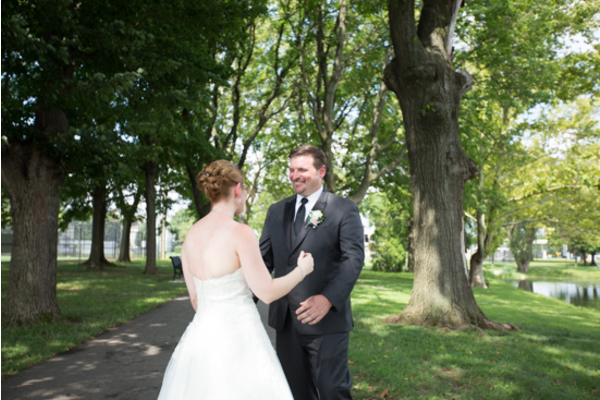 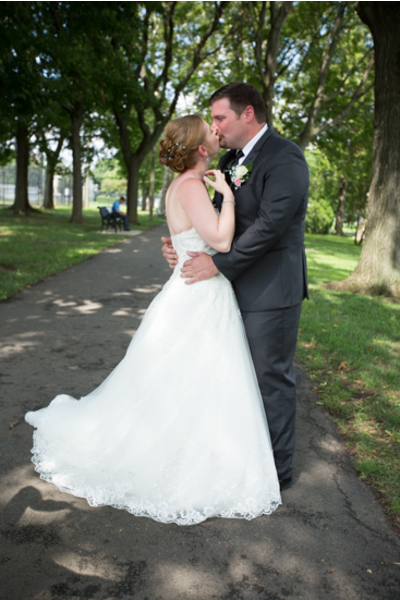 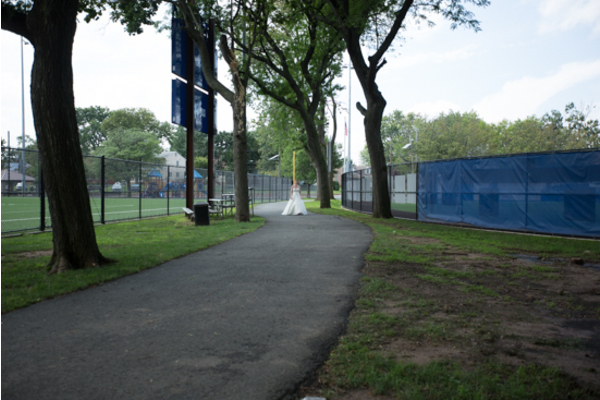 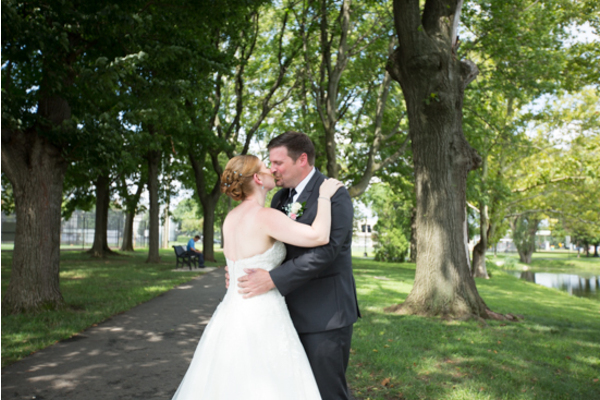 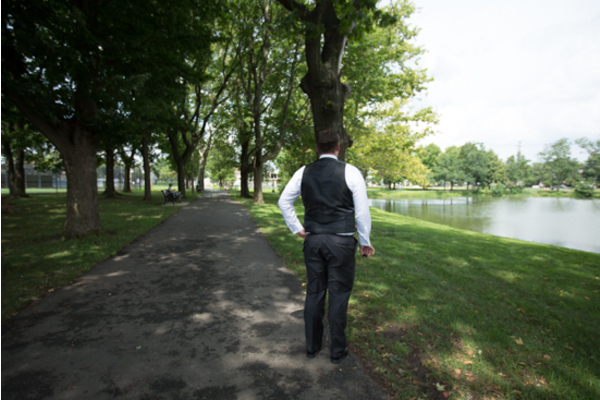 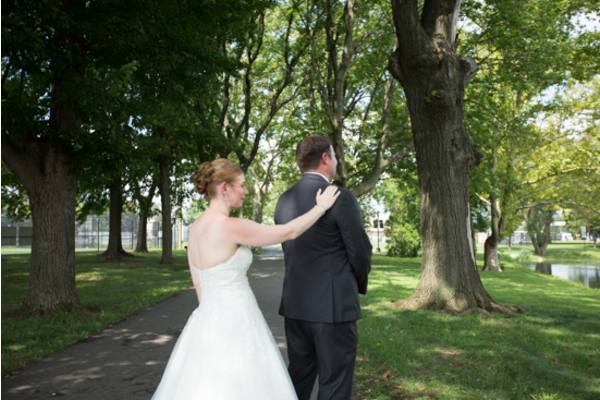 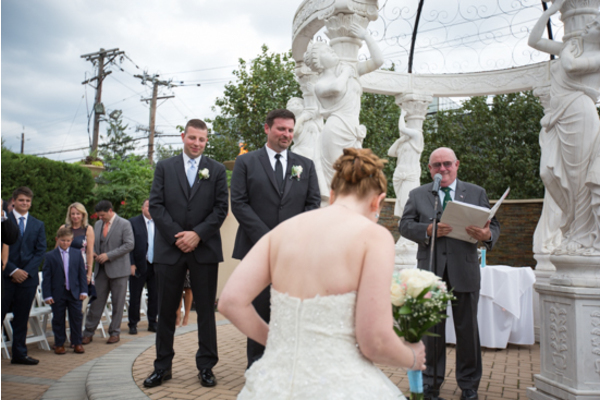 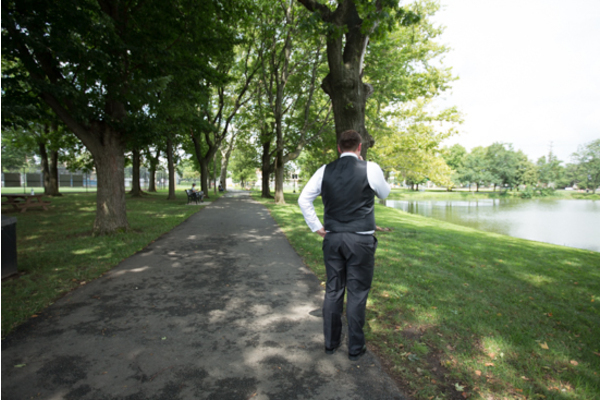 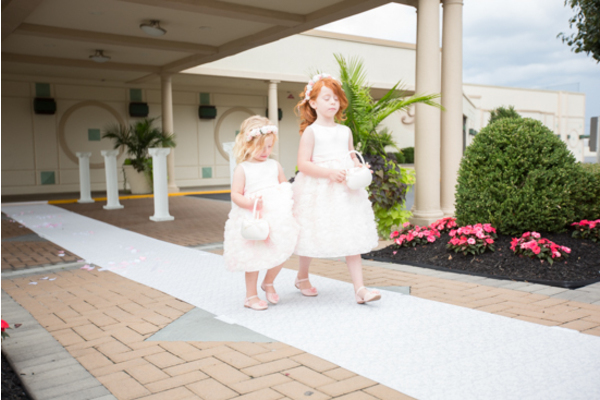 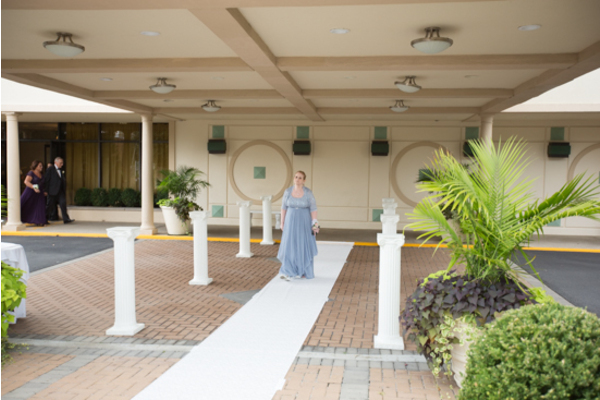 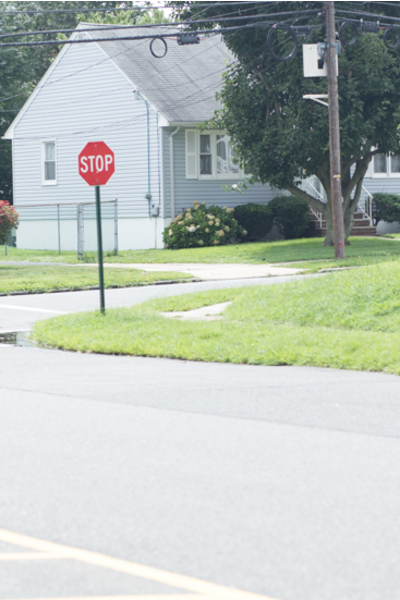 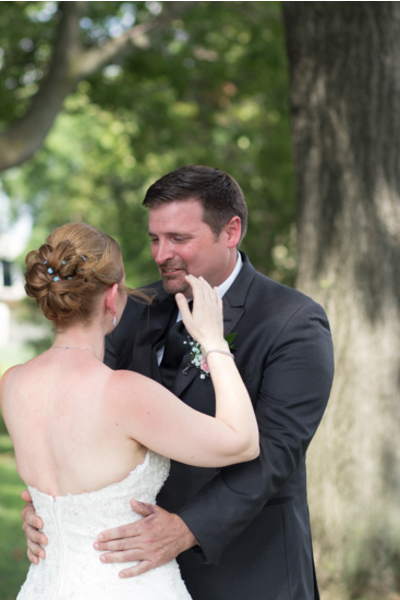 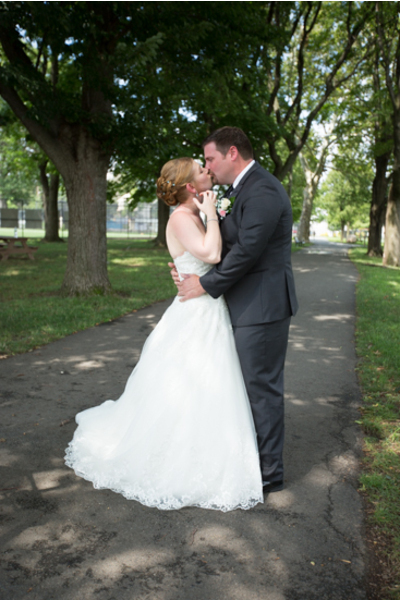 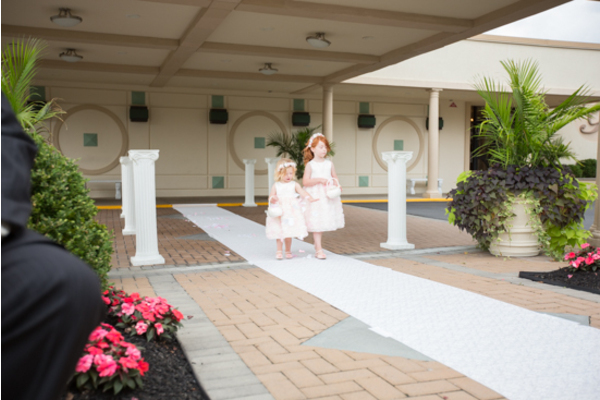 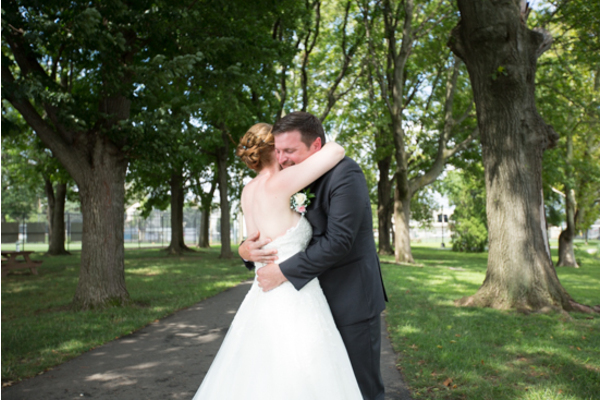 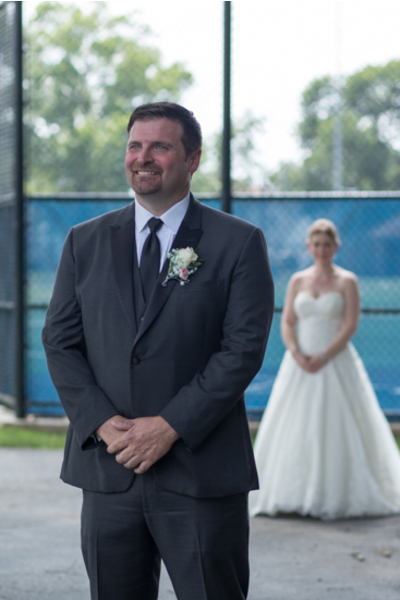 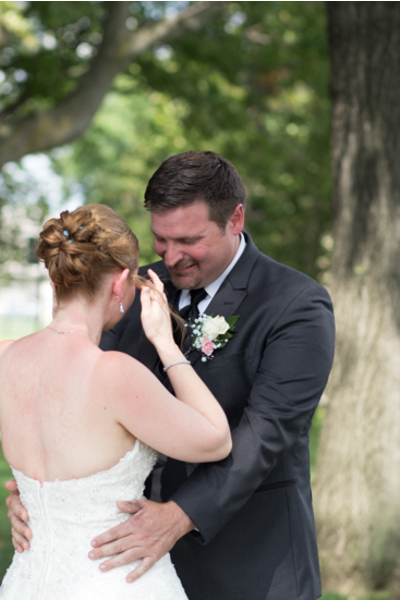 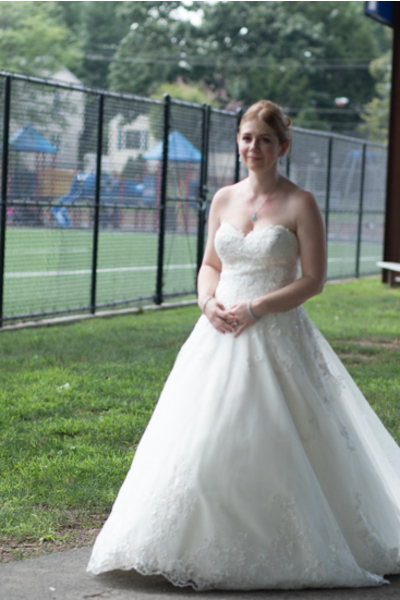 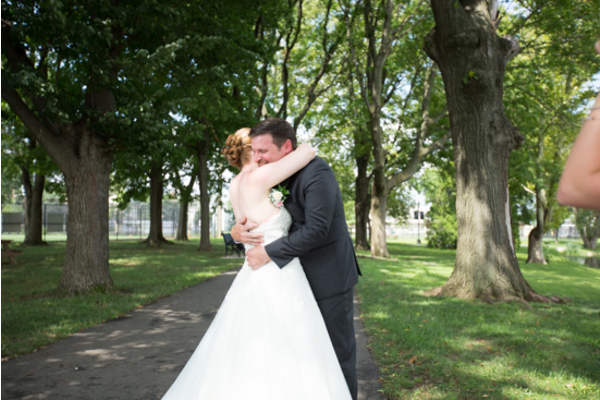 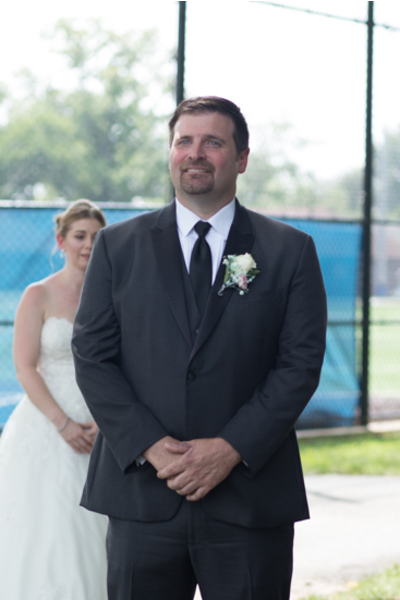 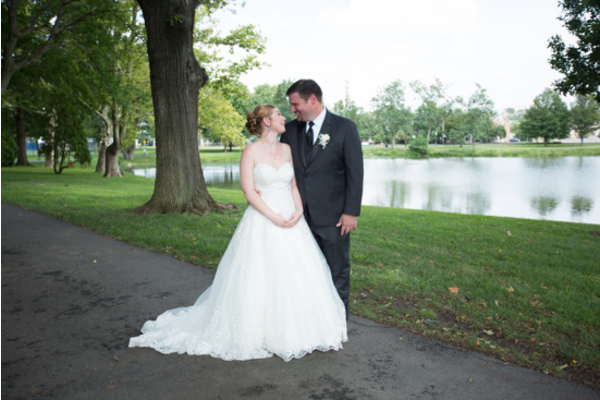 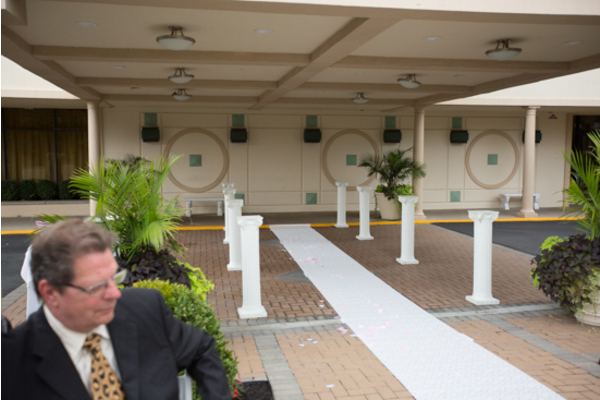 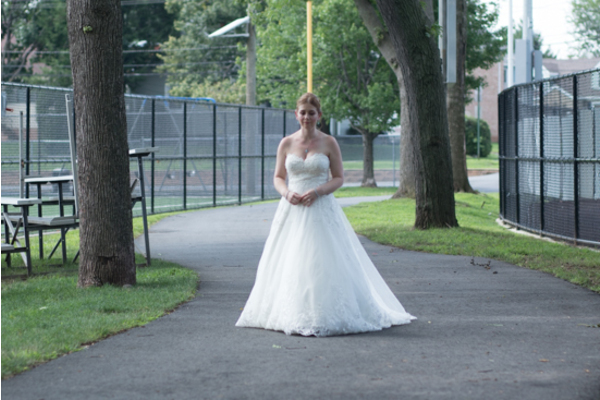 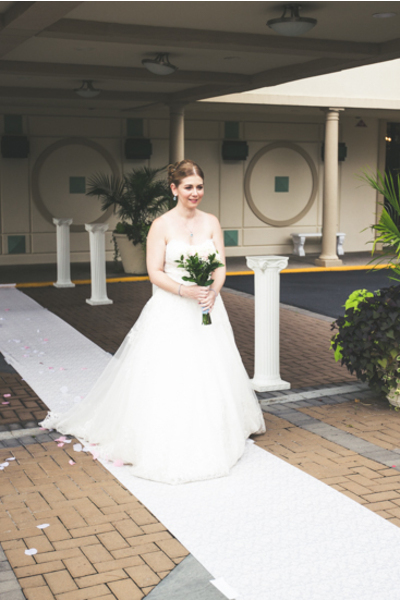 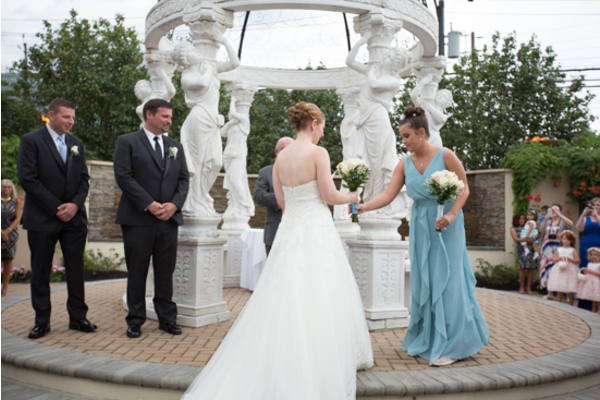 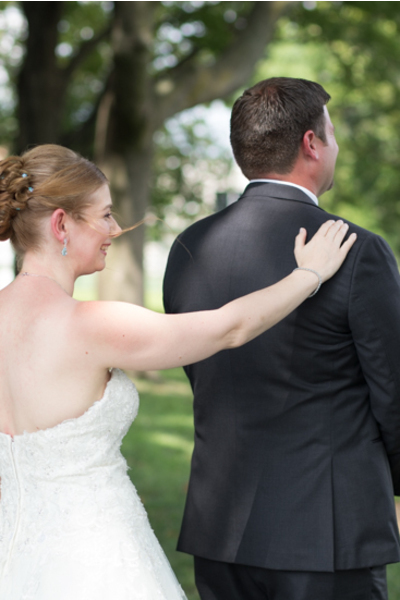 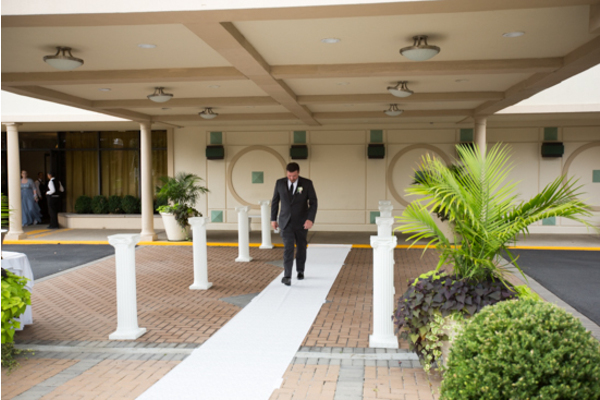 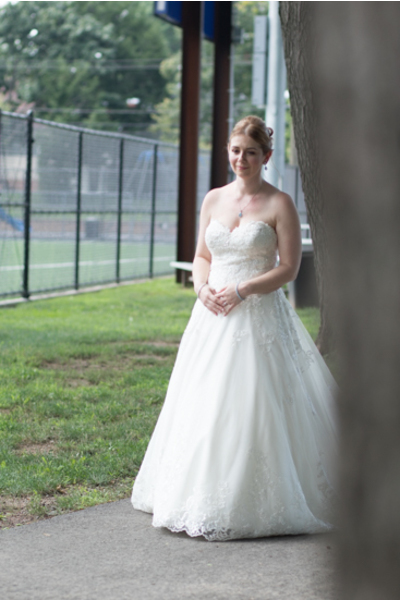 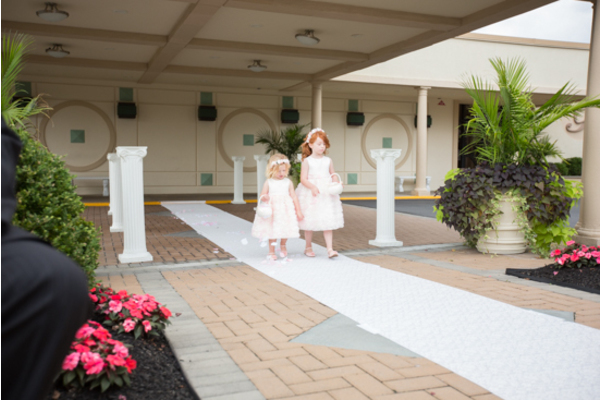 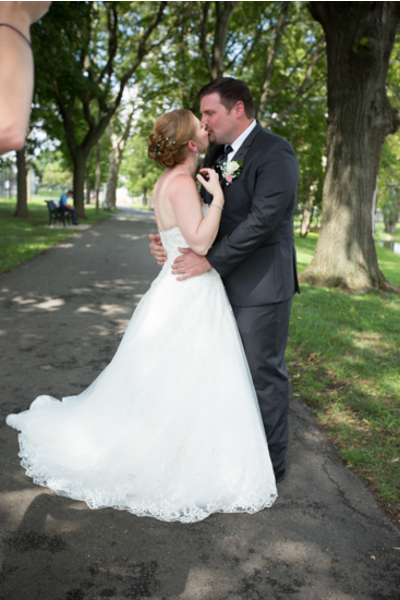 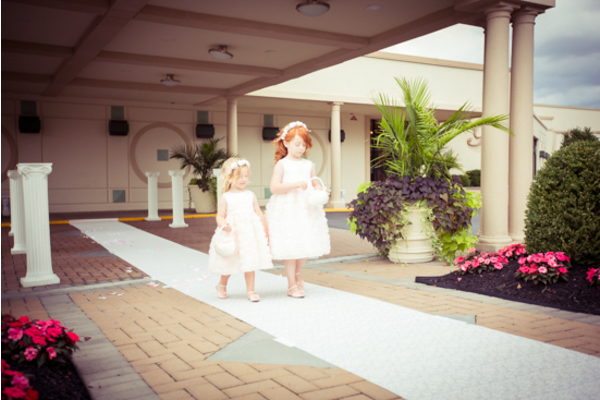 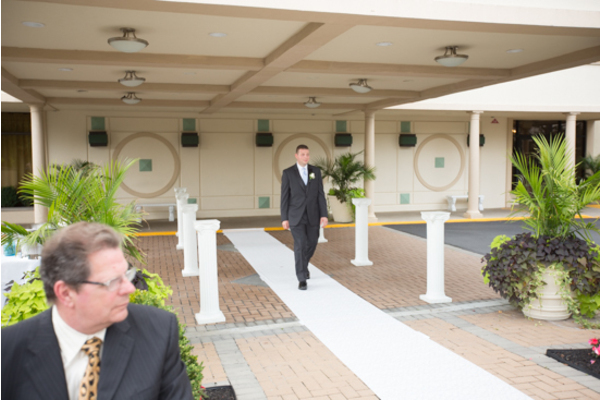 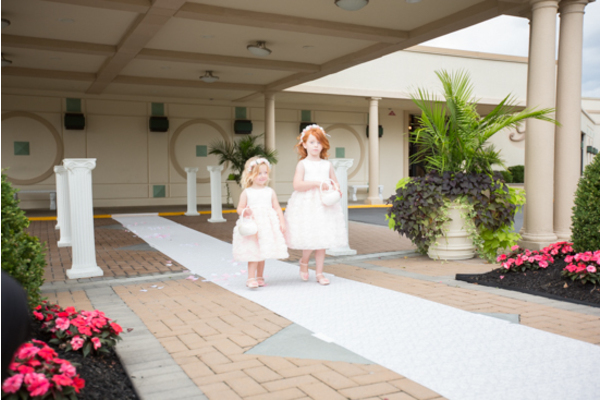 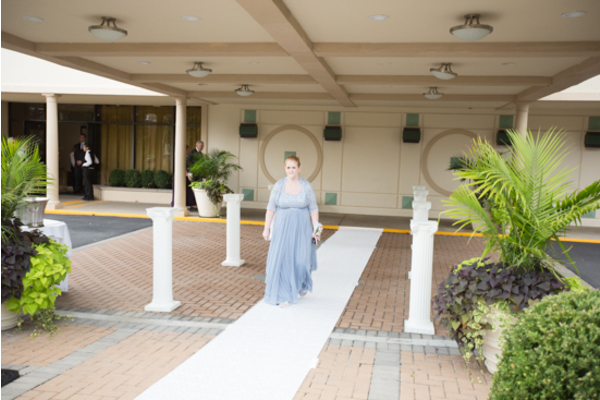 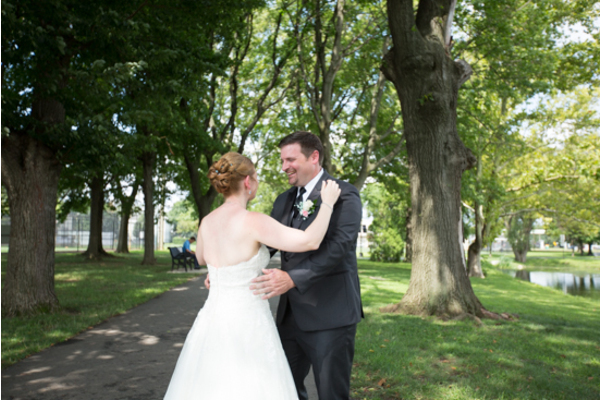 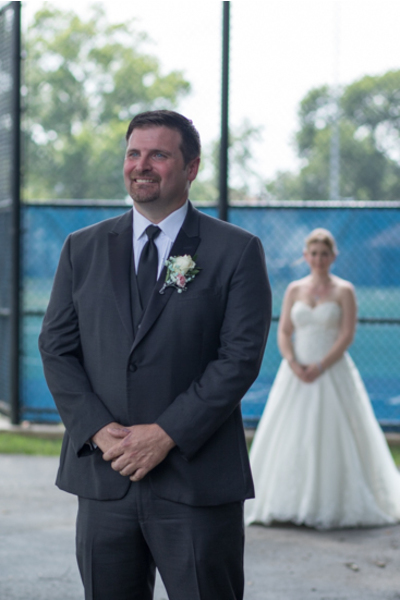 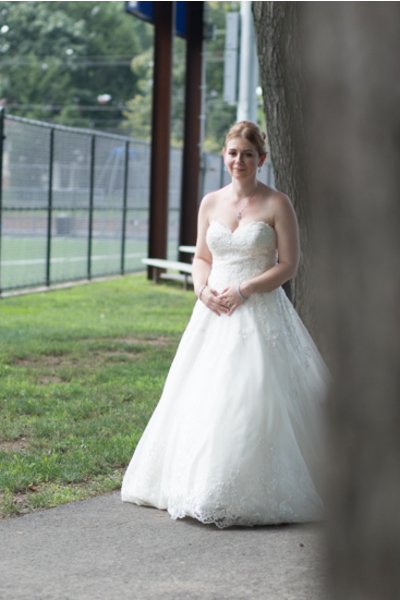 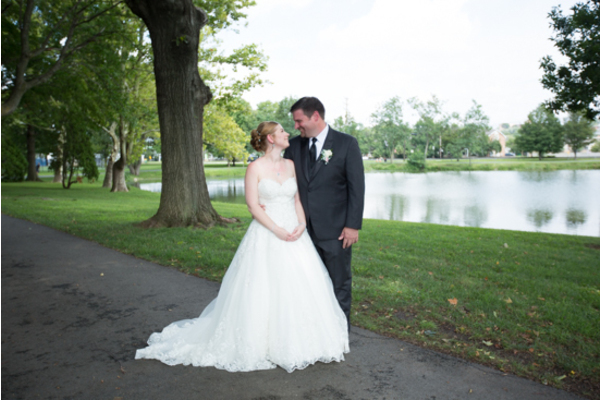 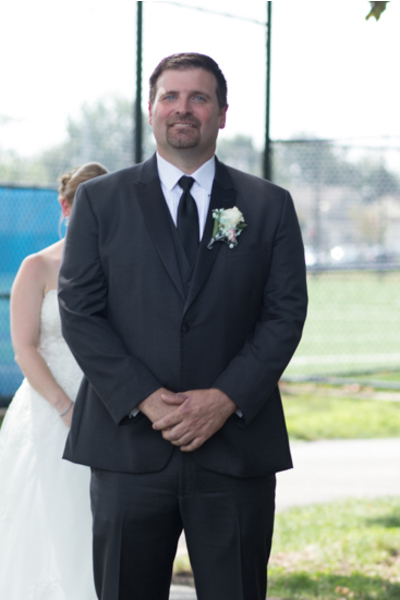 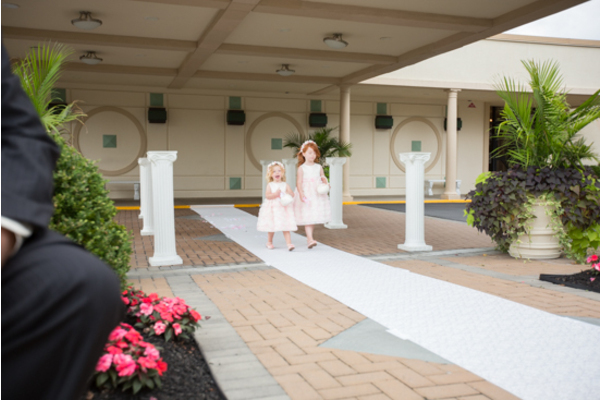 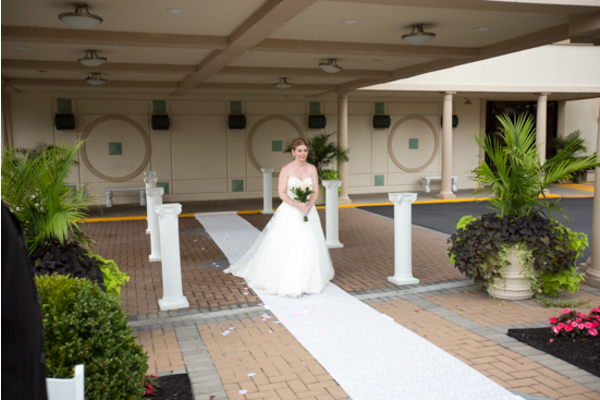 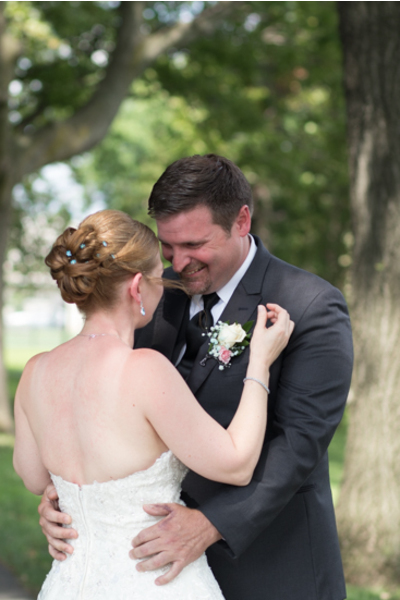 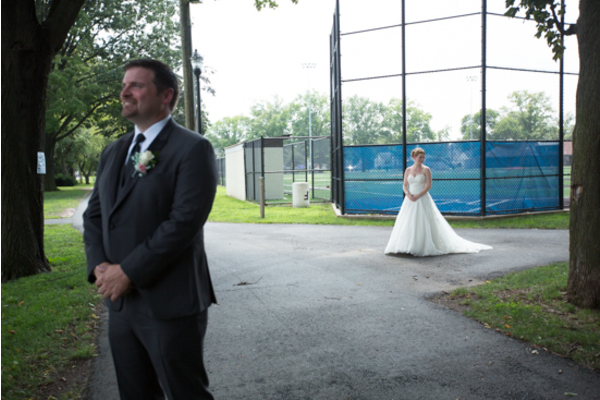 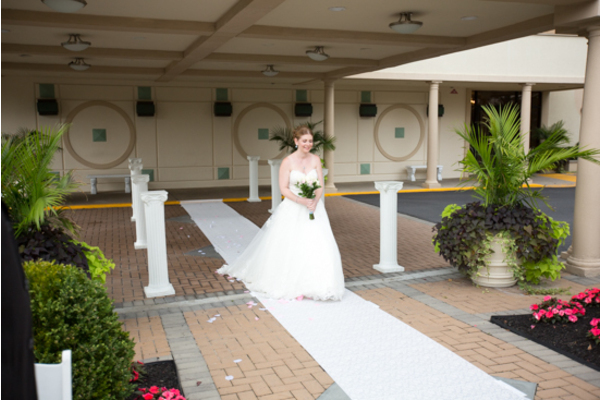 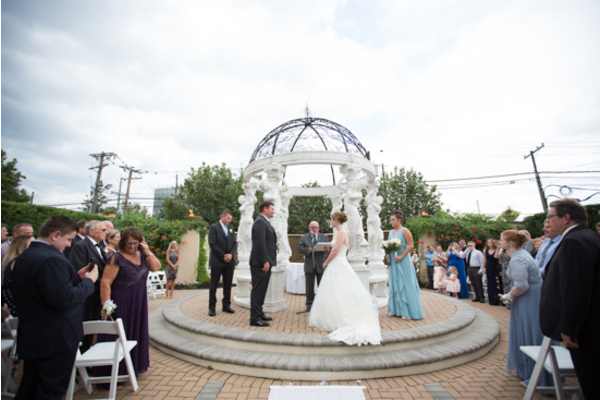 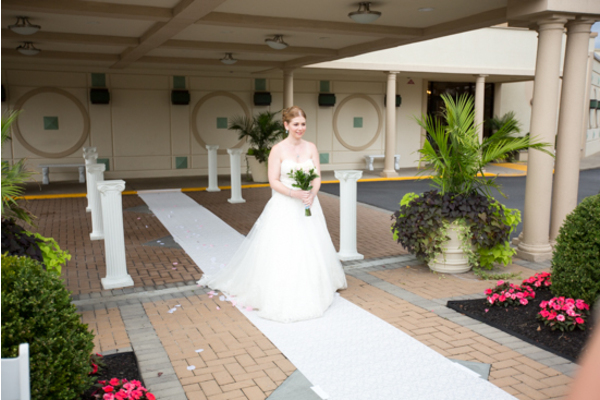 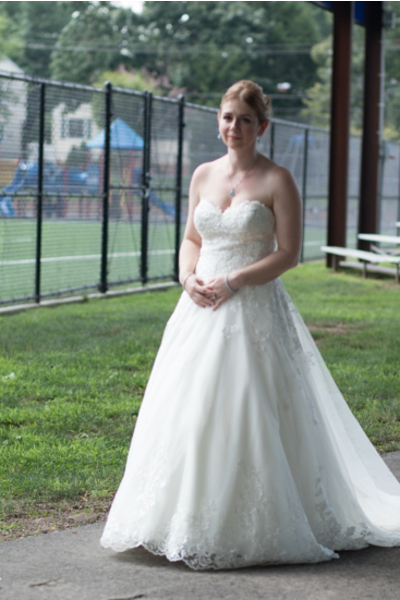 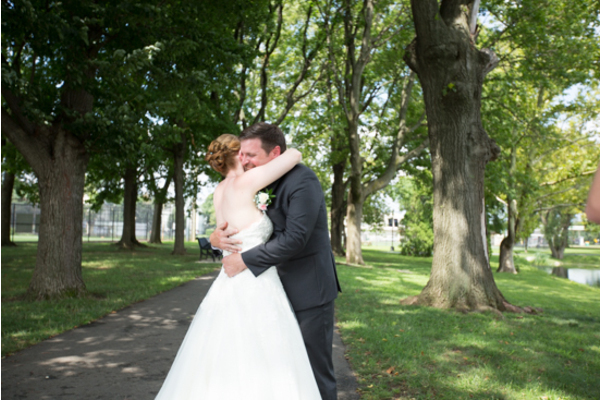 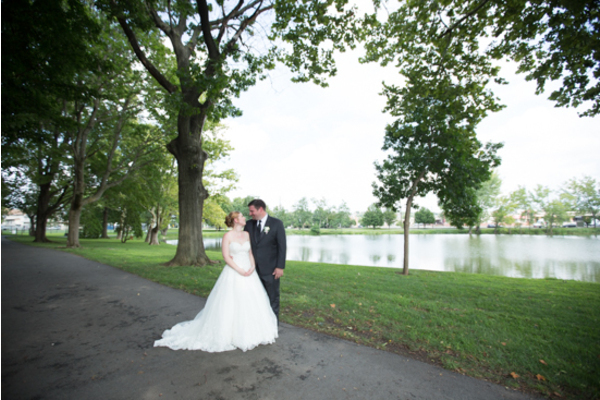 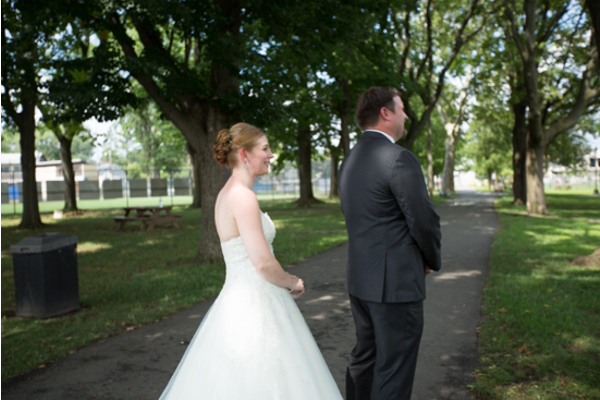 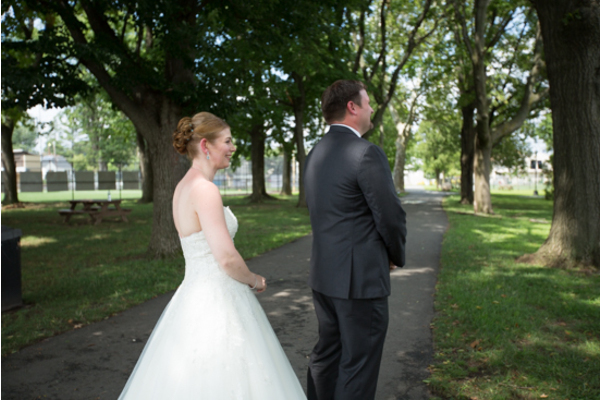 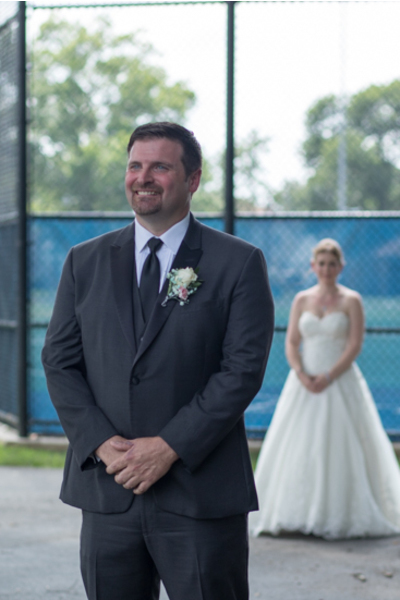 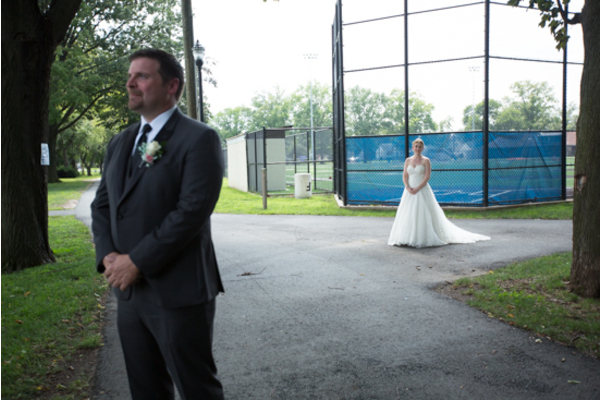 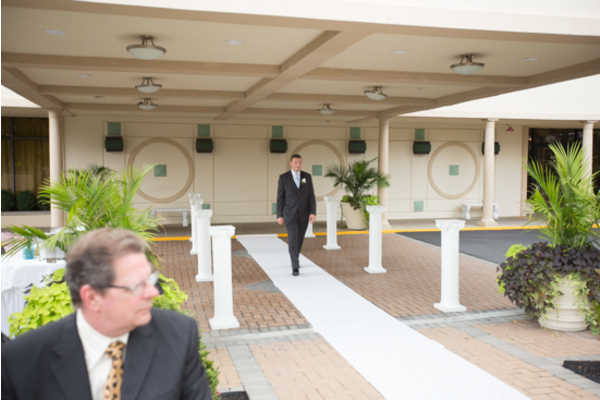 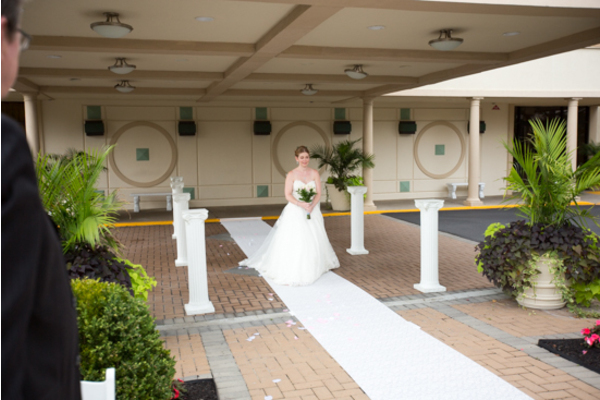 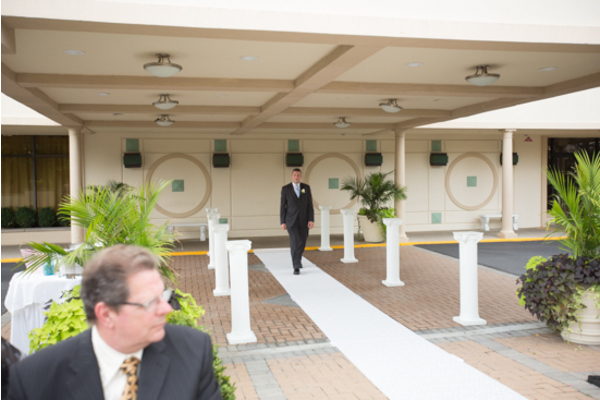 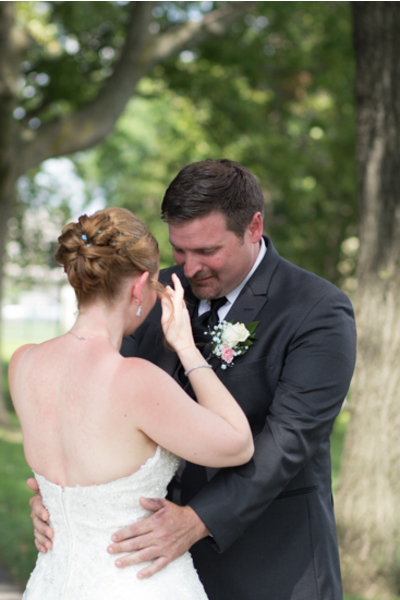 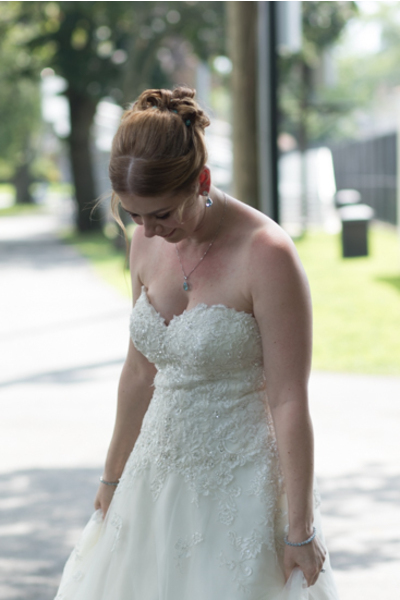 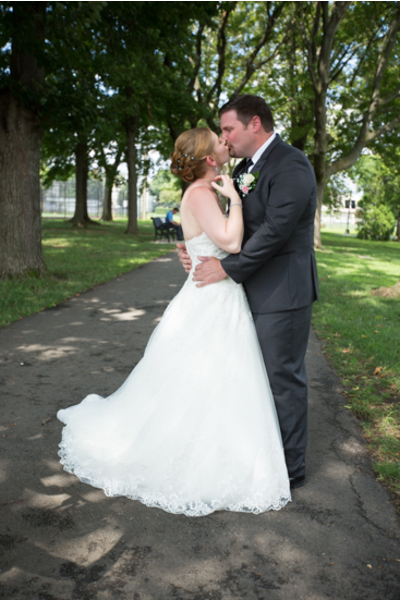 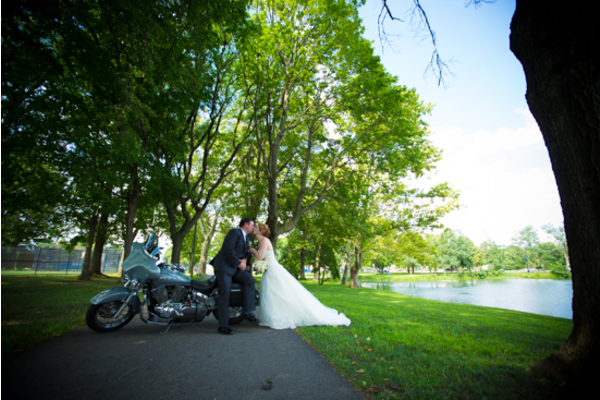 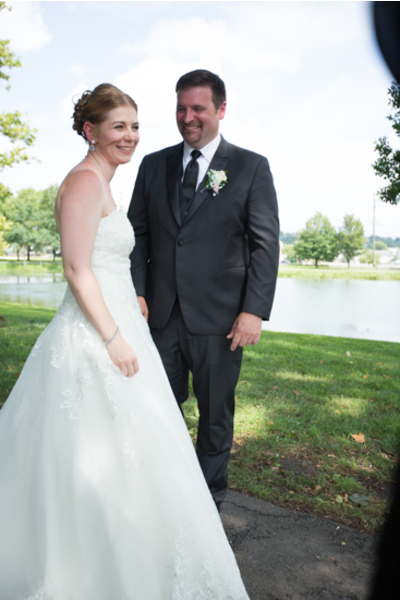 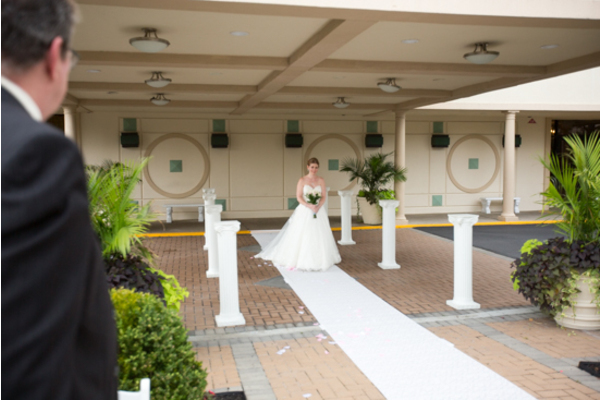 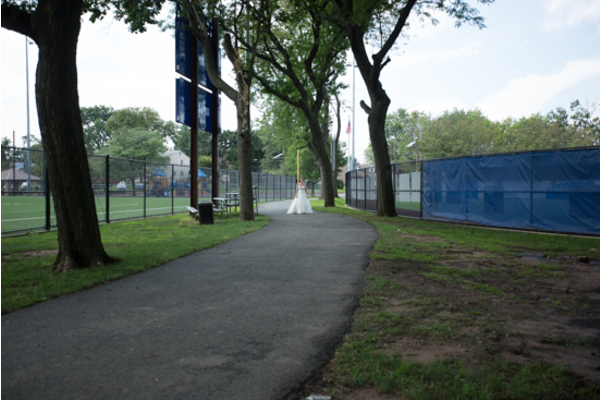 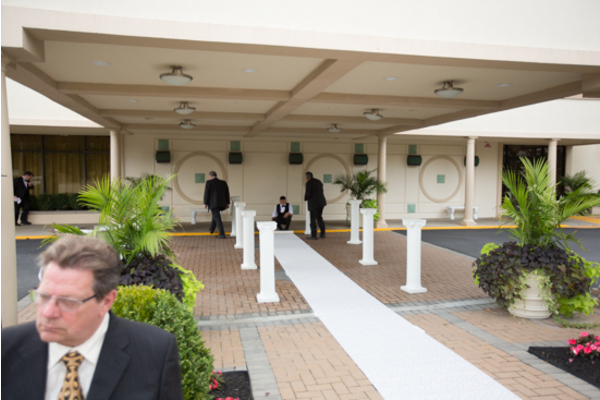 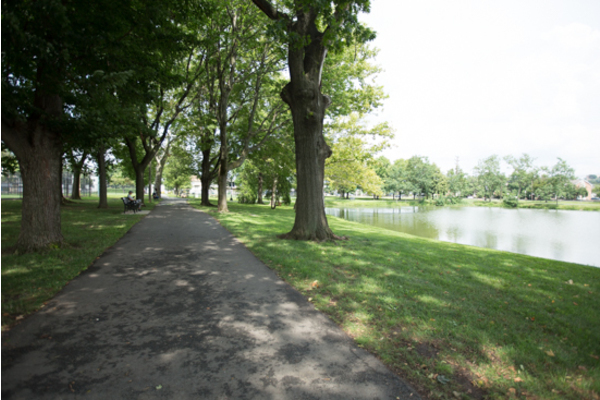 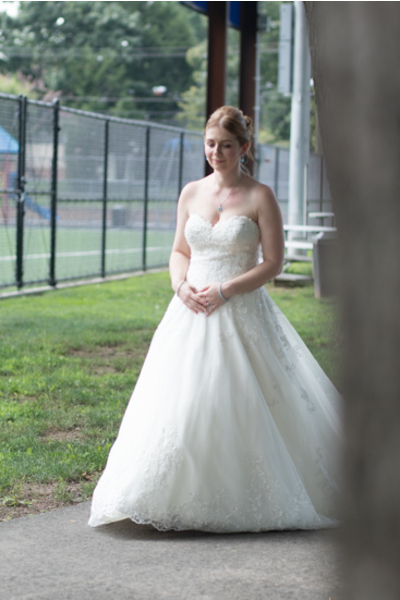 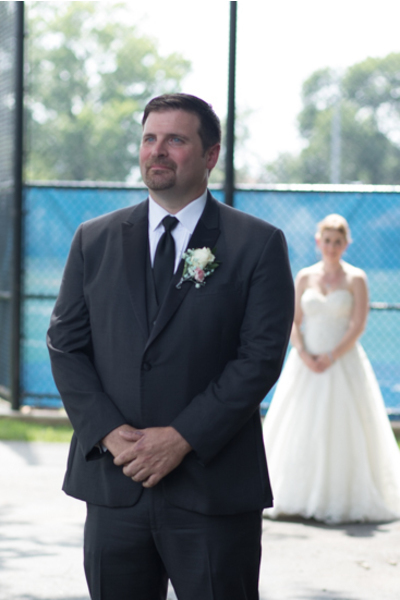 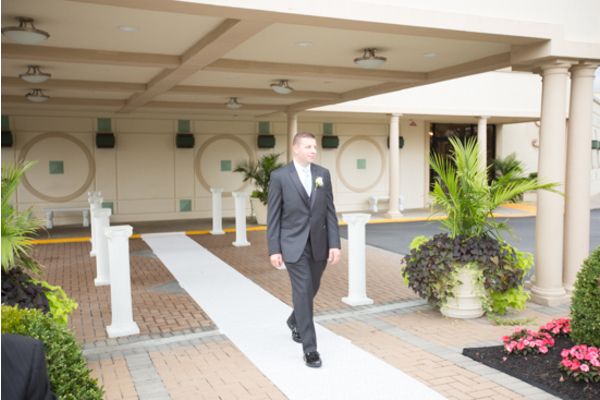 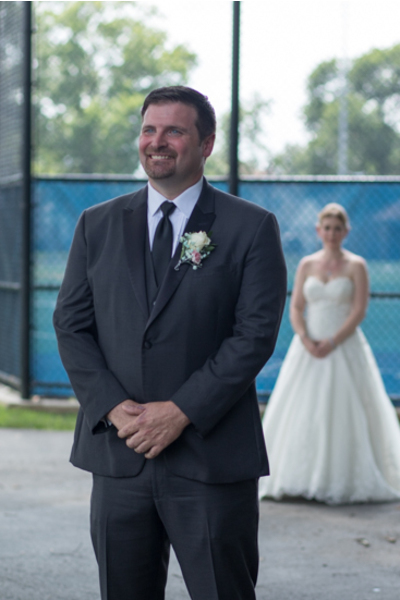 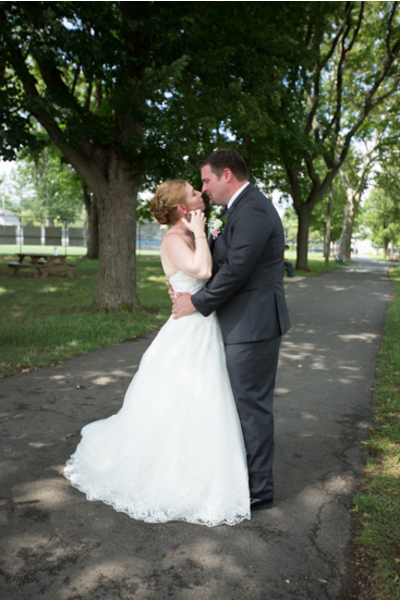 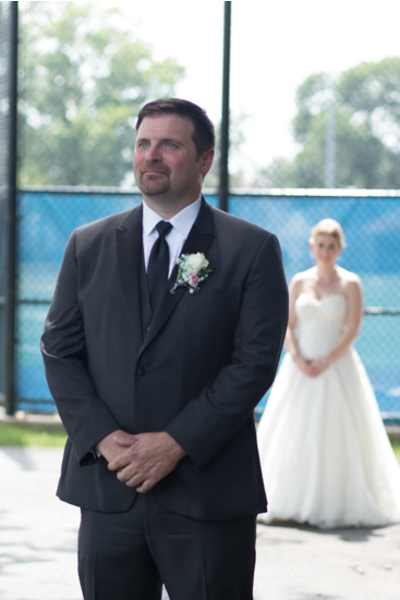 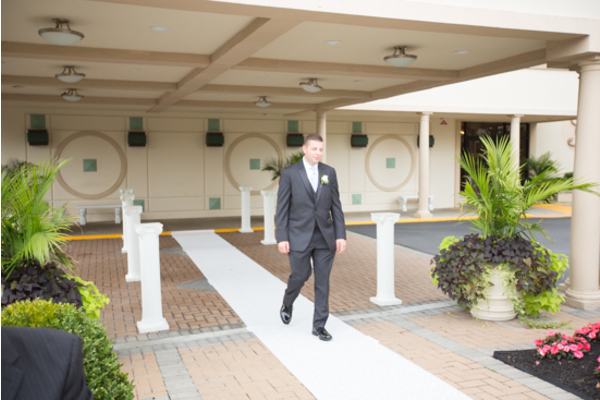 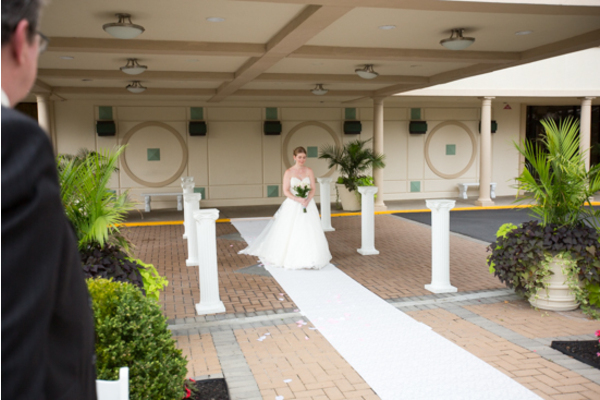 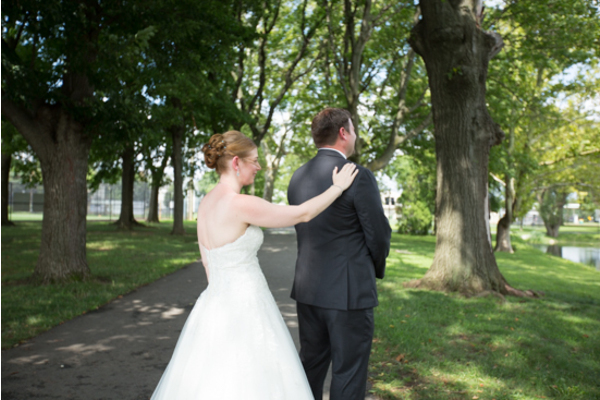 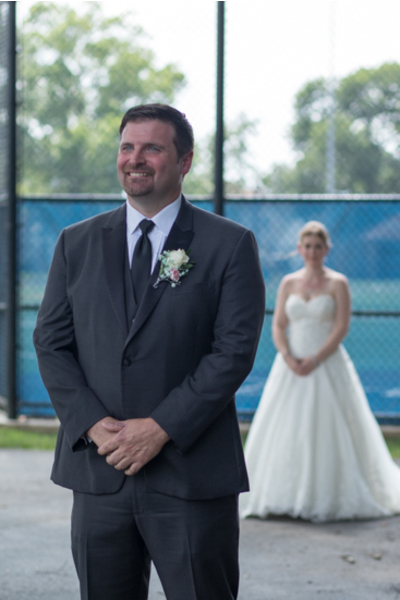 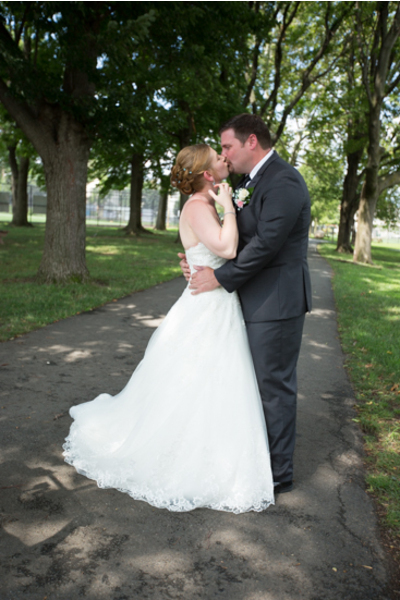 Before the ceremony, our NJ Wedding Photographer photographed the sweethearts in love for a first look at the park. 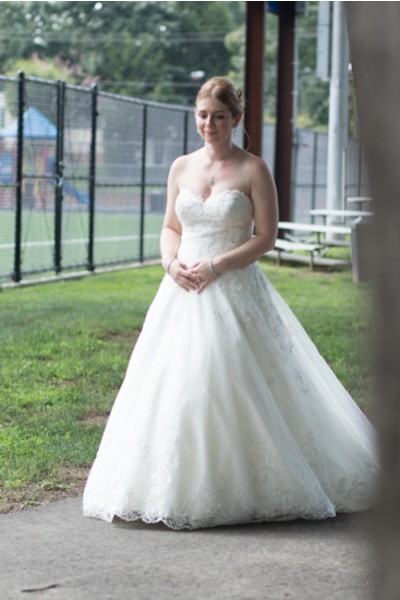 Colleen looked like a princess in her sweetheart ballgown. 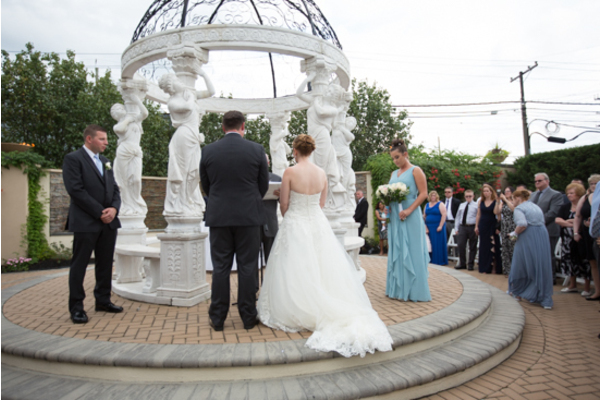 Next, it was ceremony time! 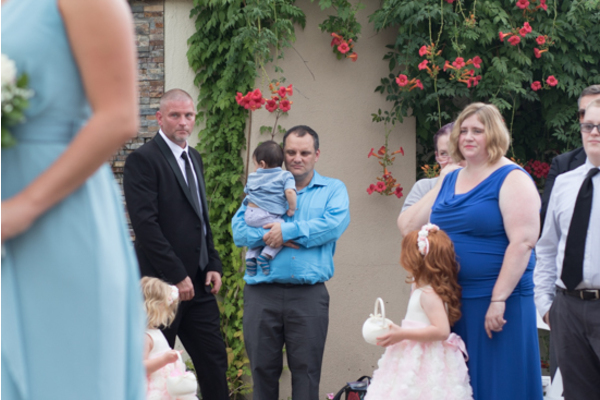 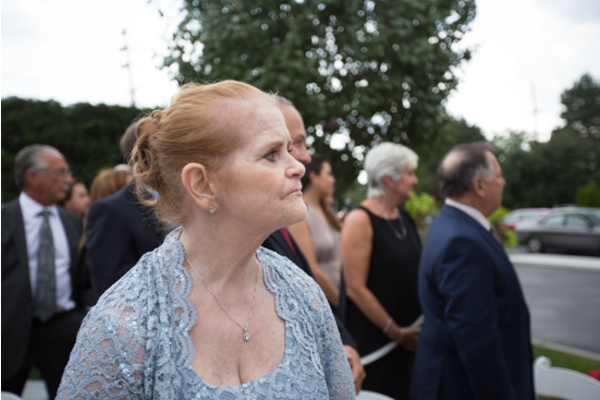 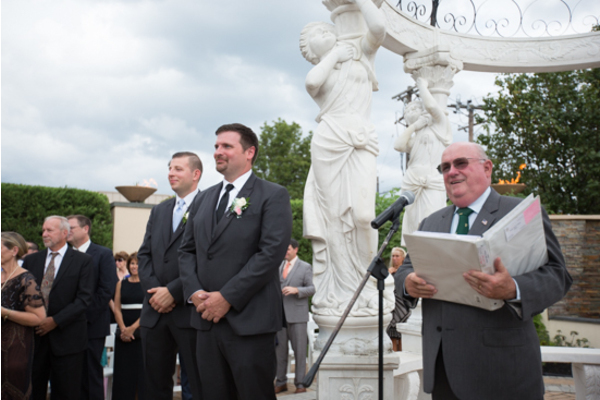 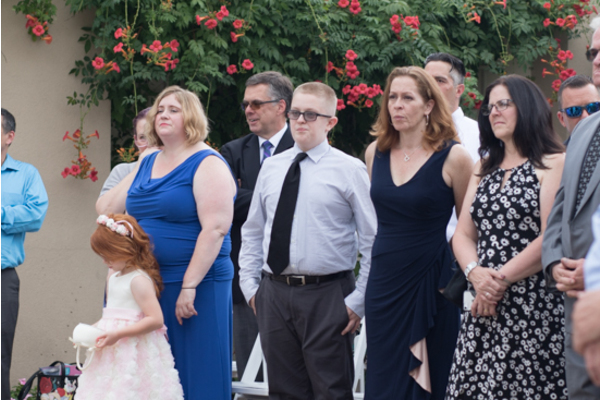 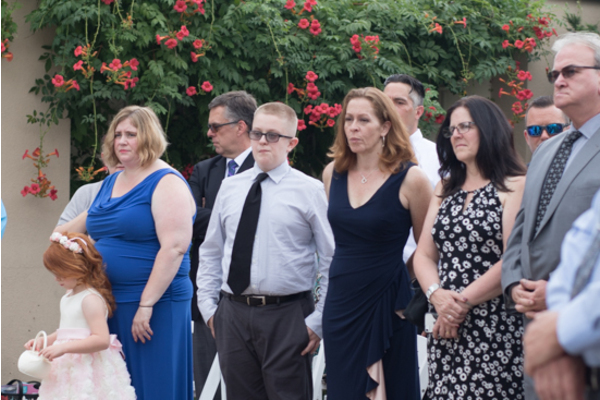 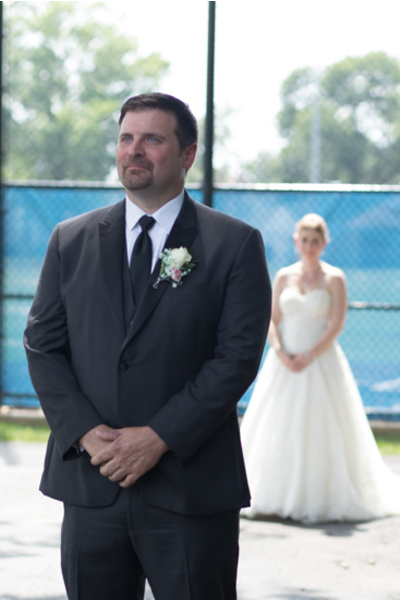 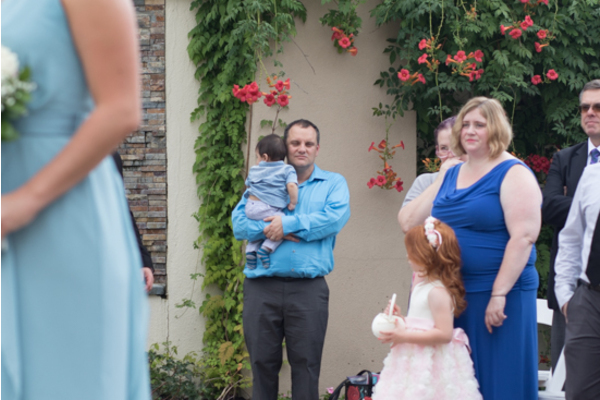 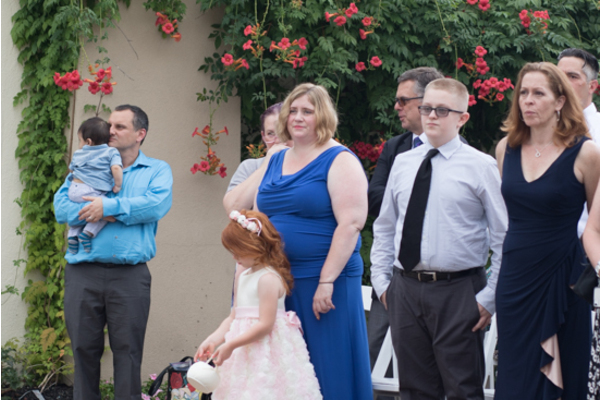 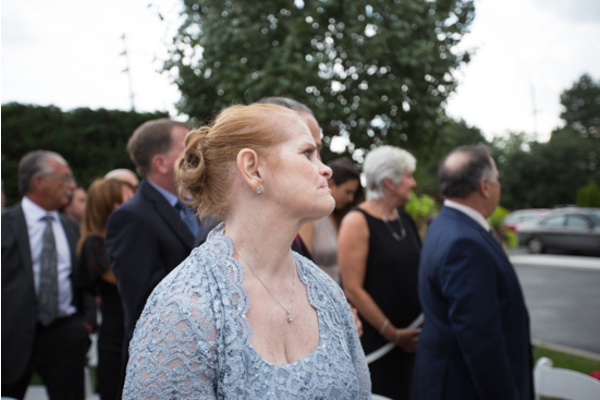 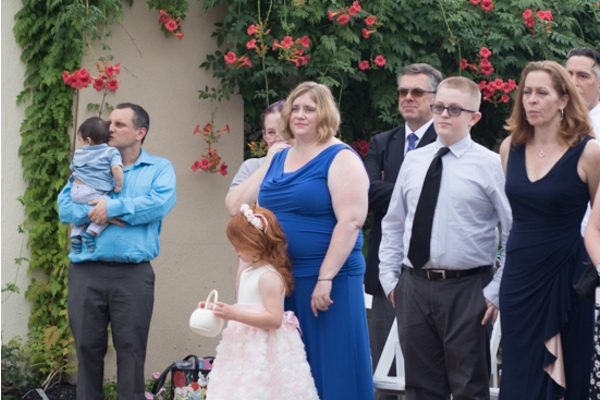 The emotional ceremony was held outdoors with all of their closest family and friends. 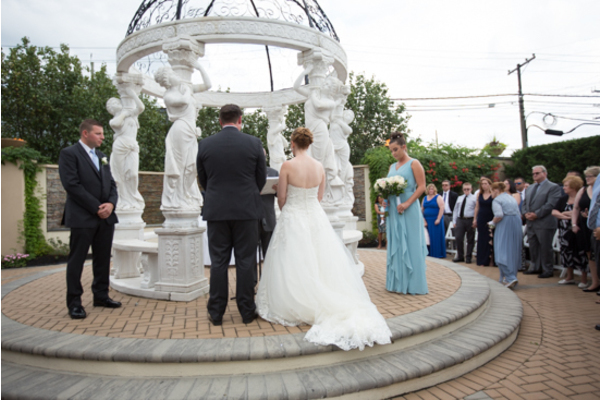 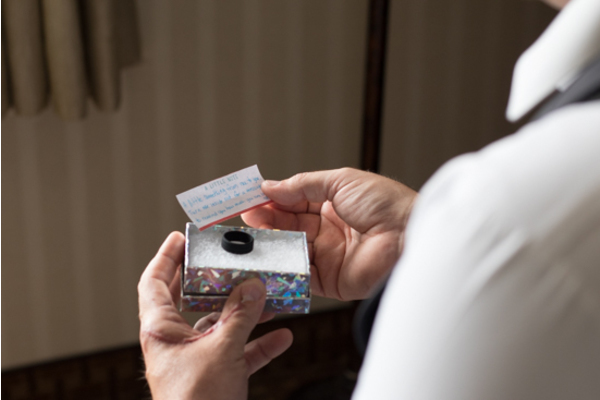 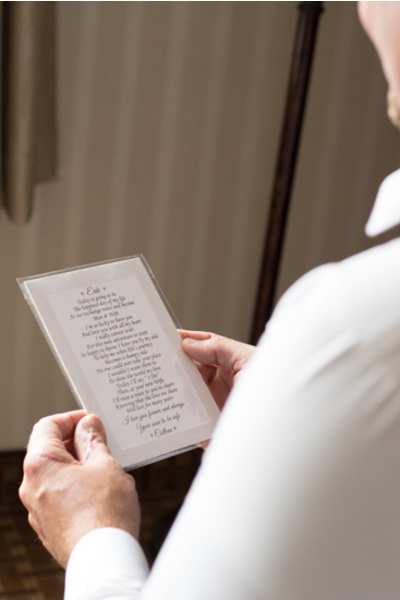 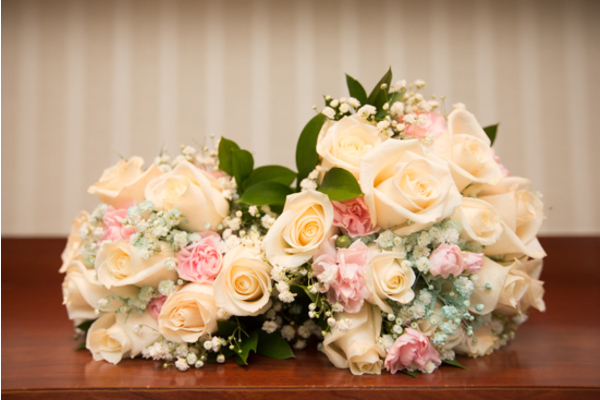 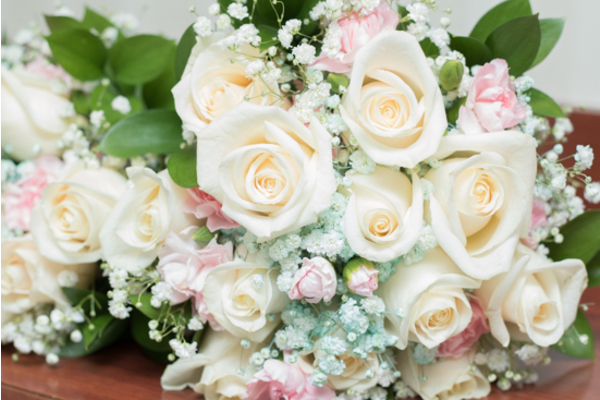 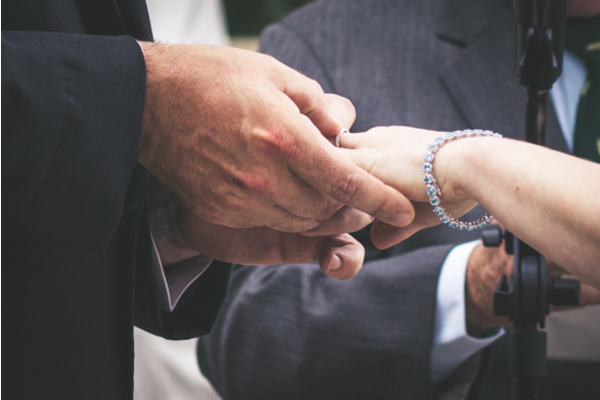 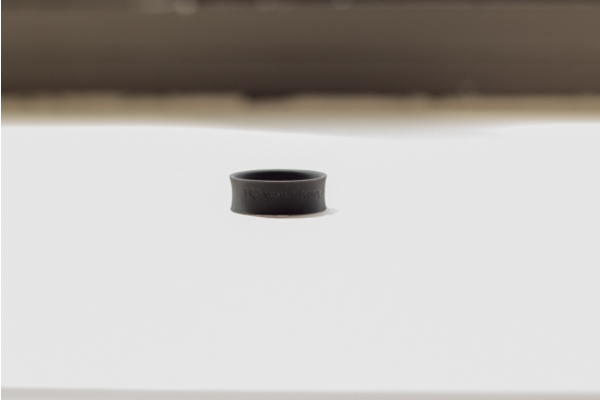 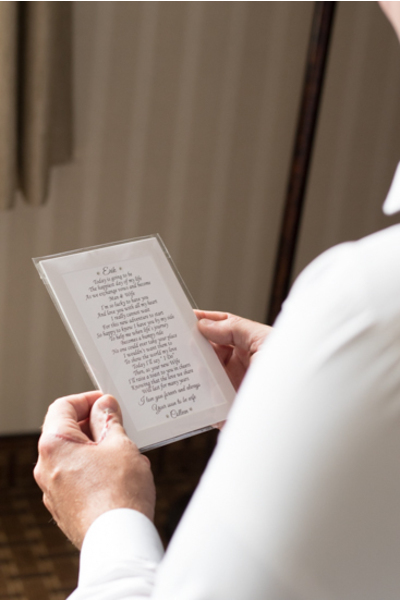 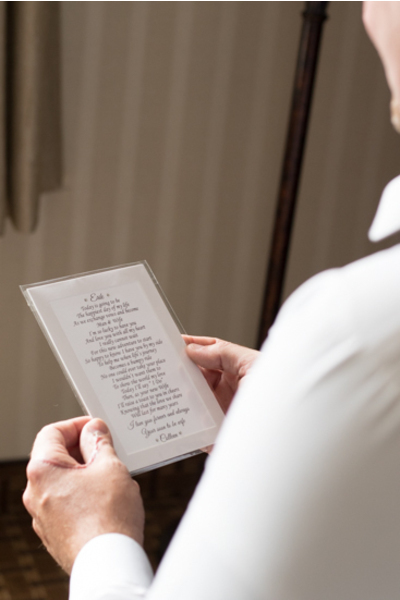 The couple stood under a white alter and sealed their marriage with a kiss. 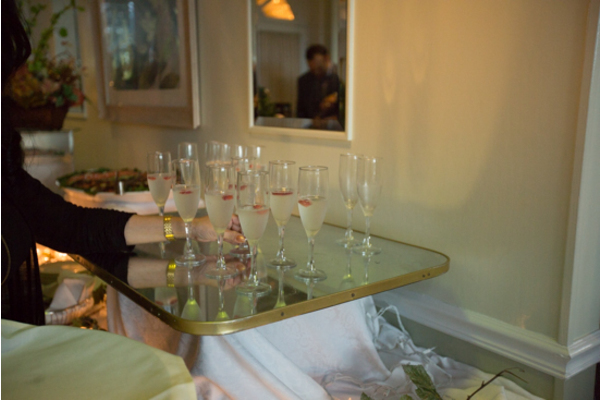 Indeed, celebration was next on the to-do list! 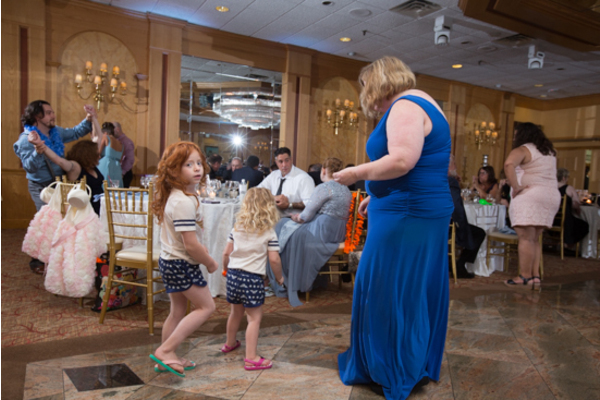 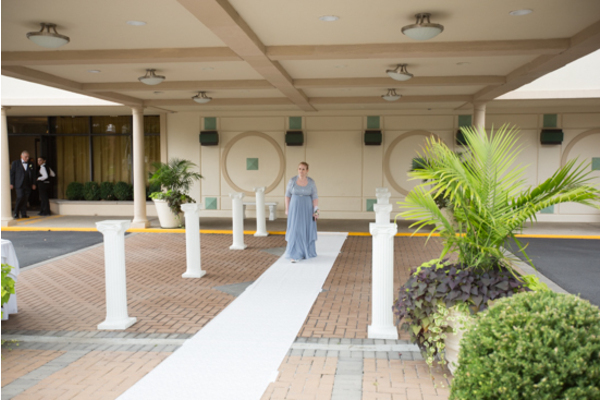 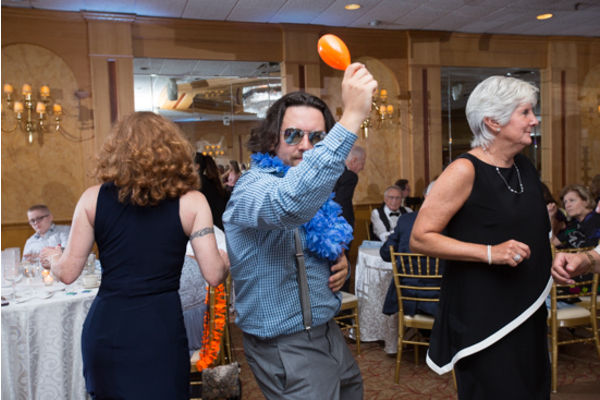 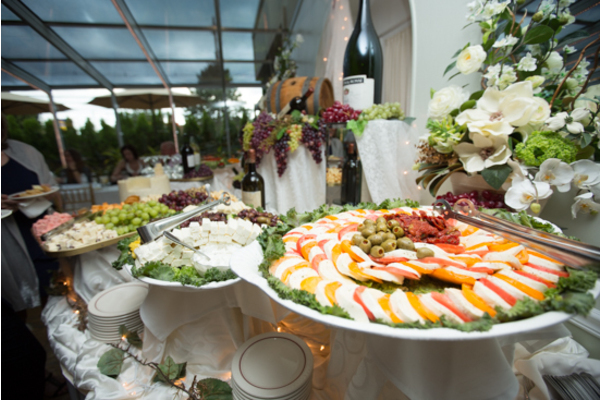 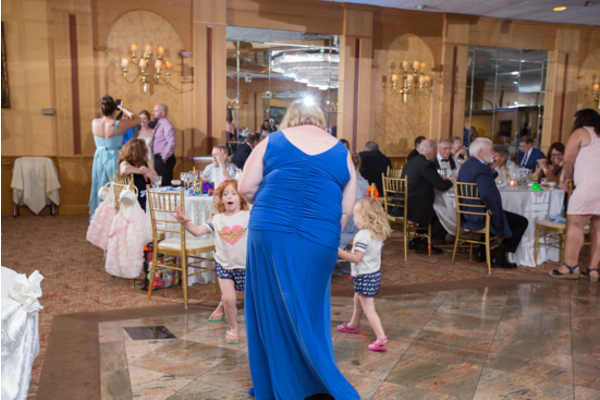 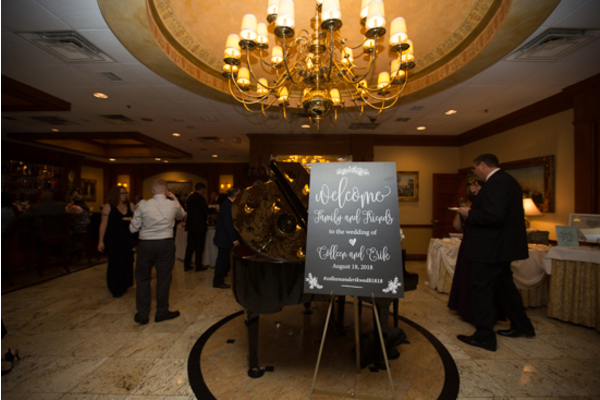 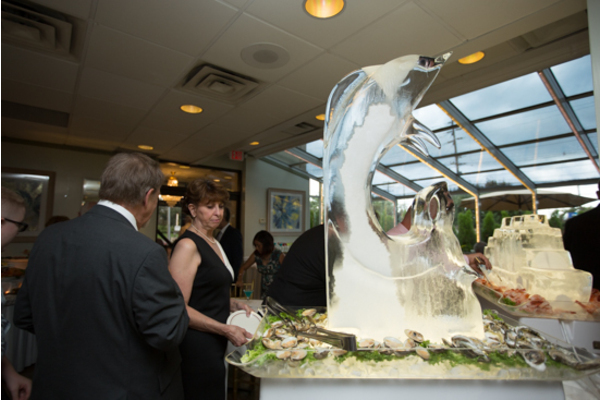 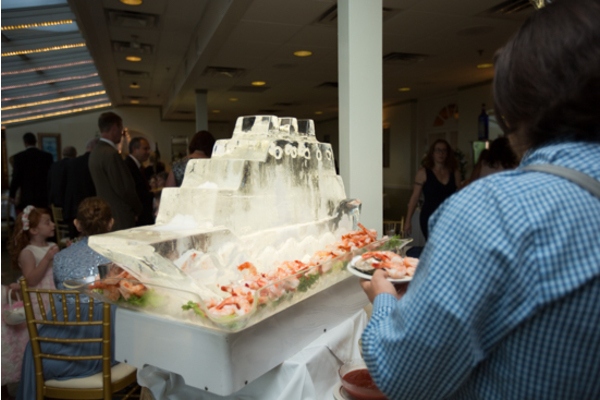 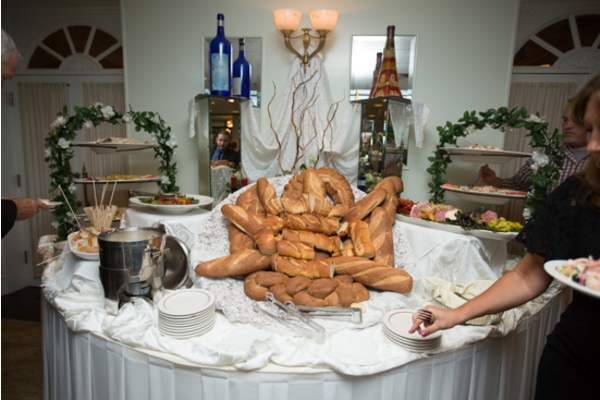 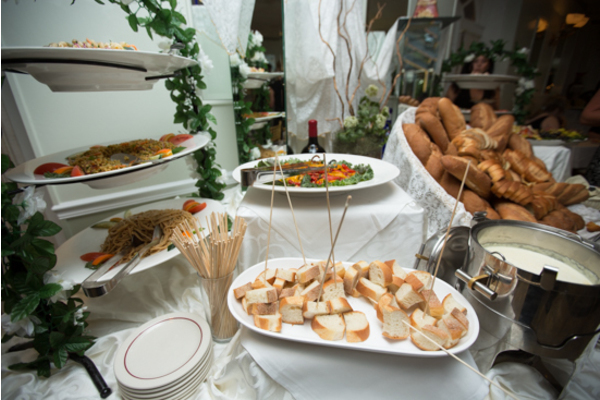 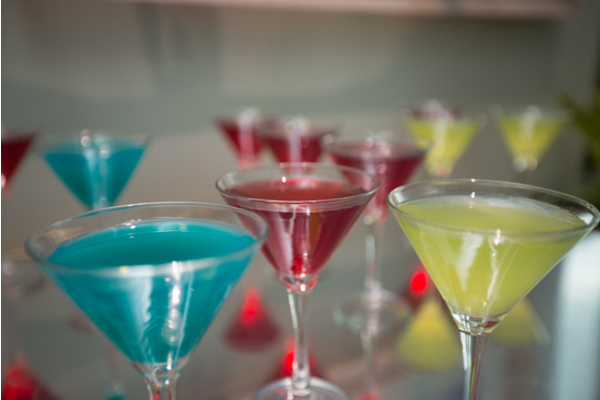 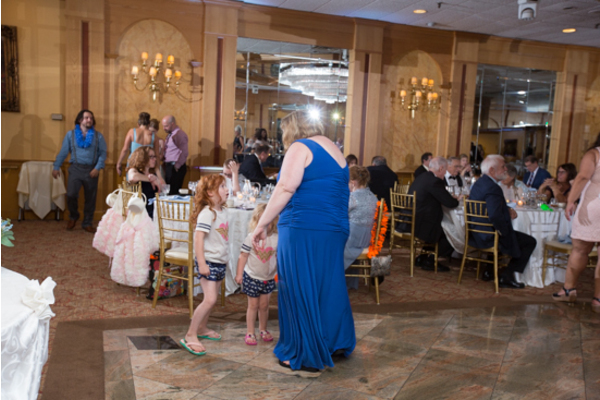 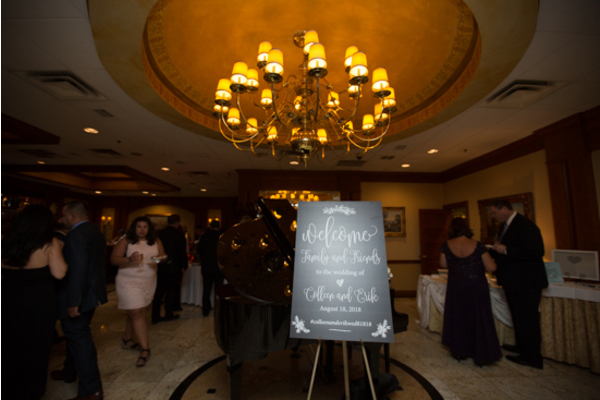 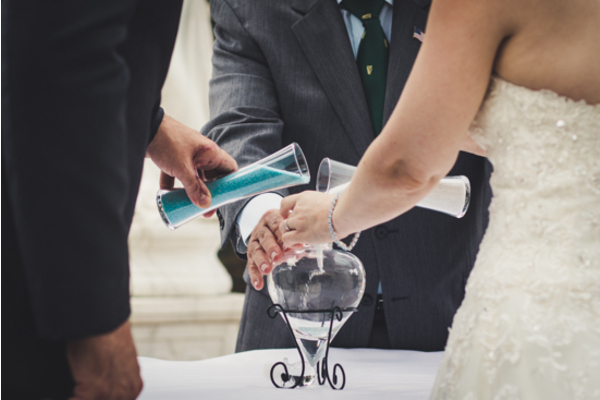 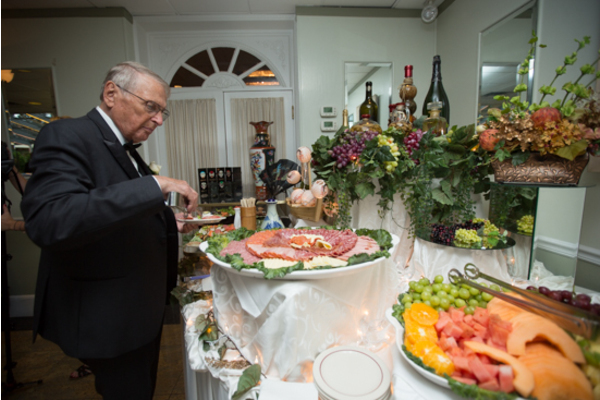 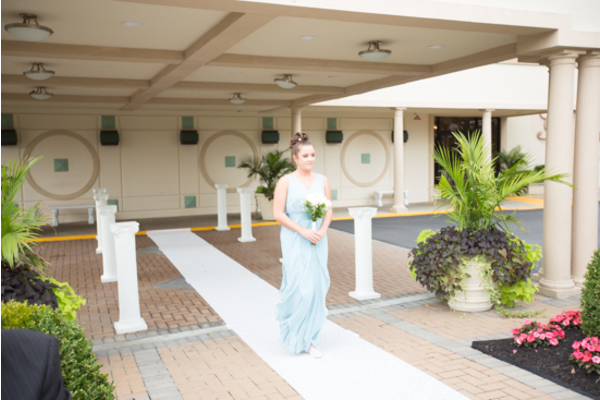 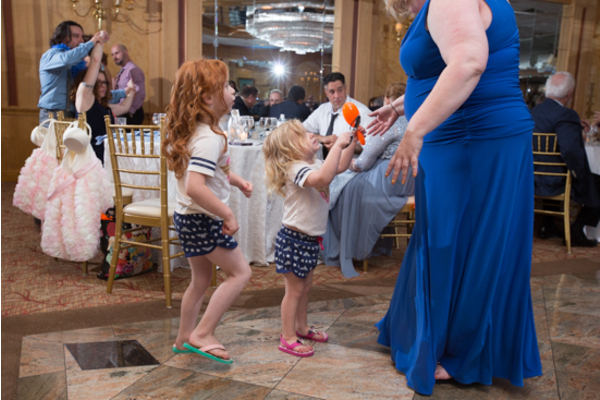 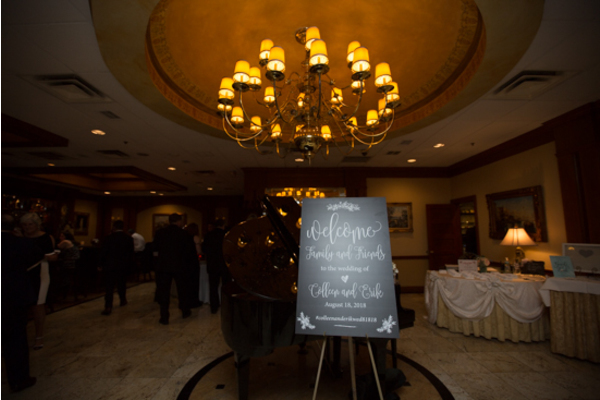 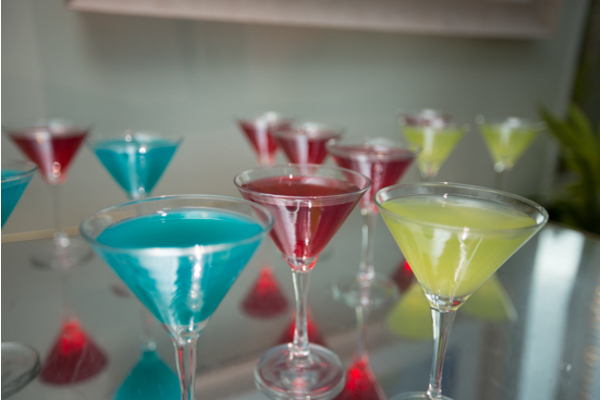 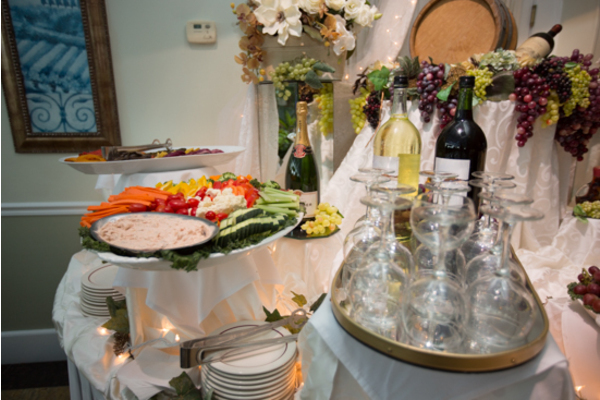 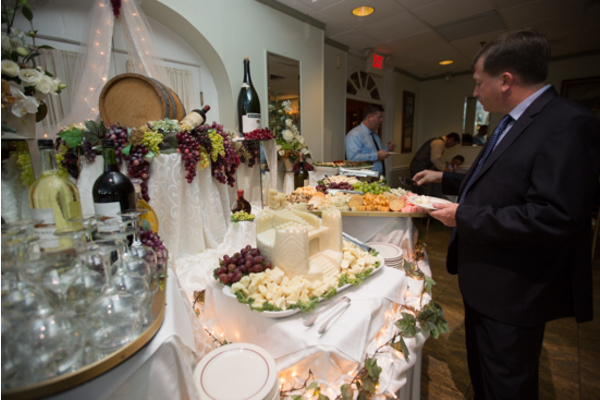 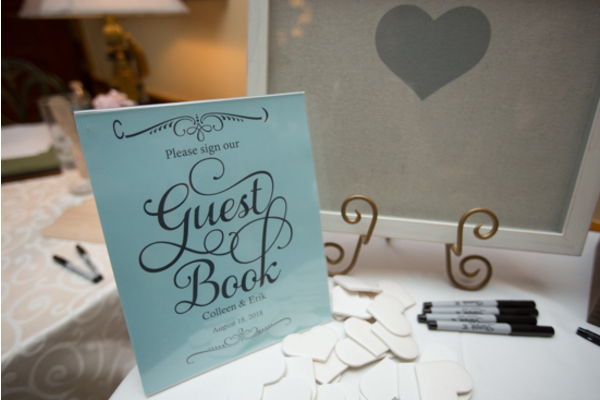 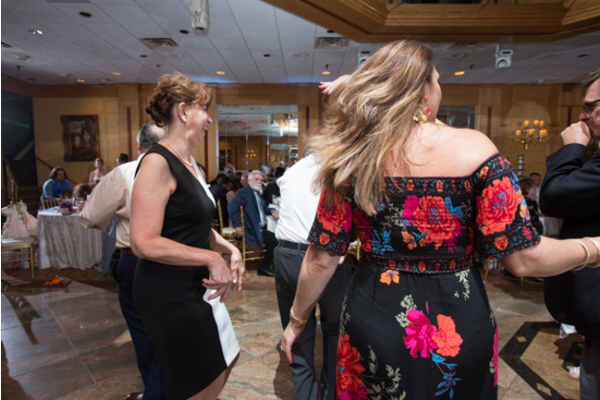 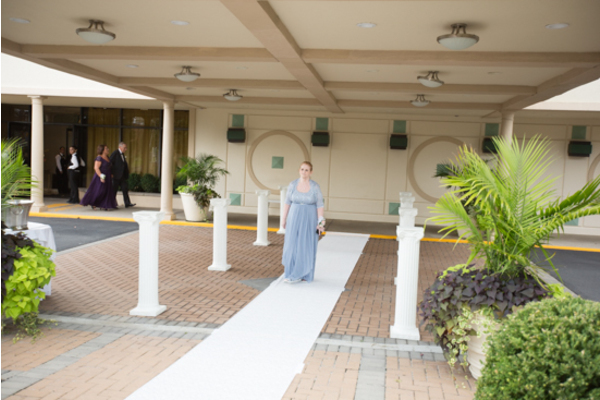 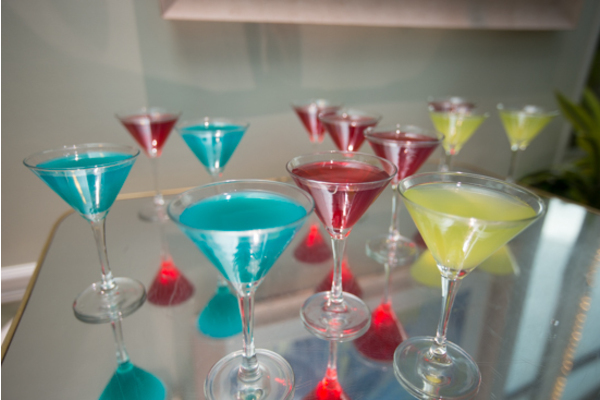 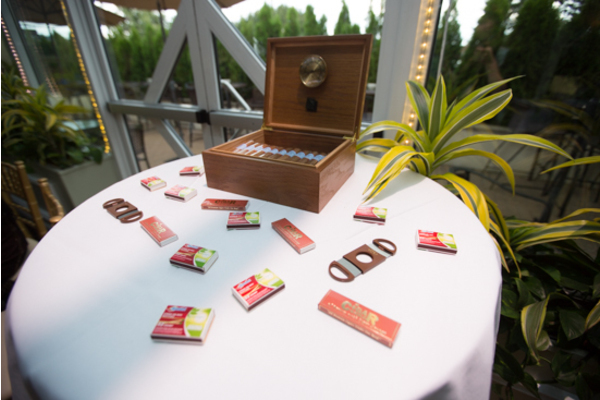 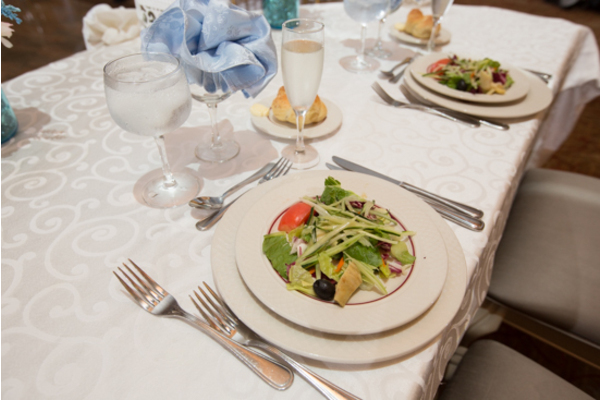 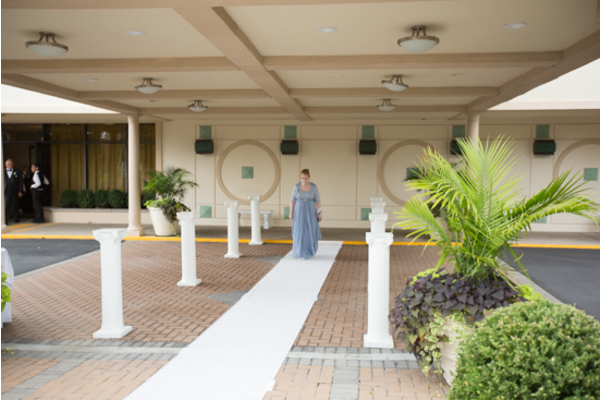 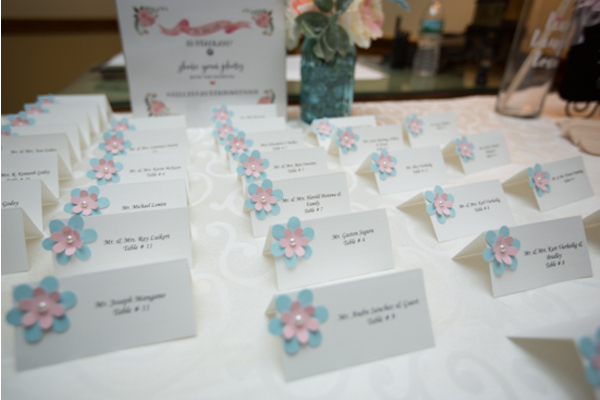 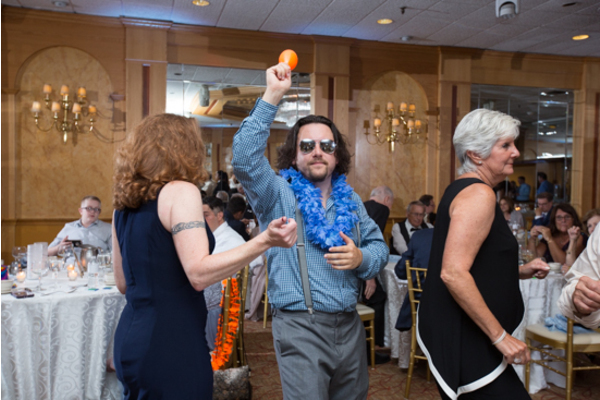 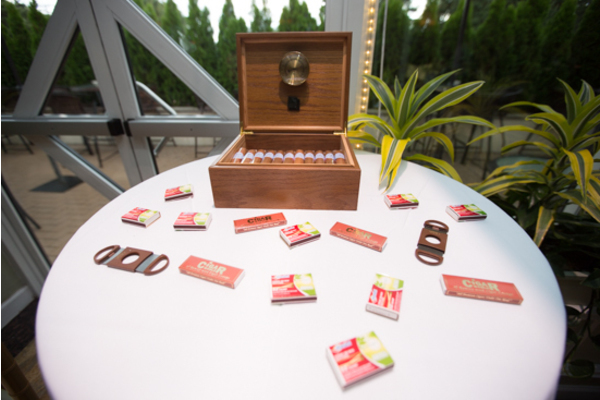 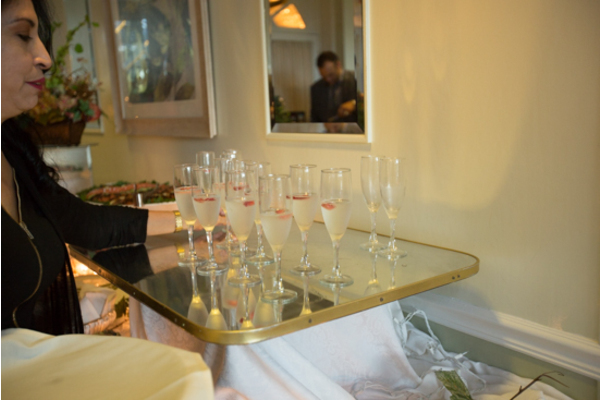 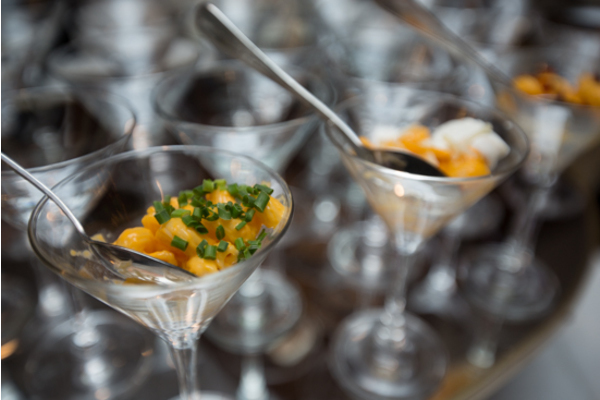 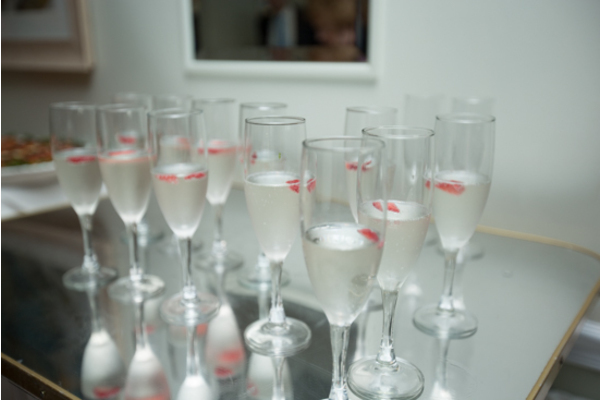 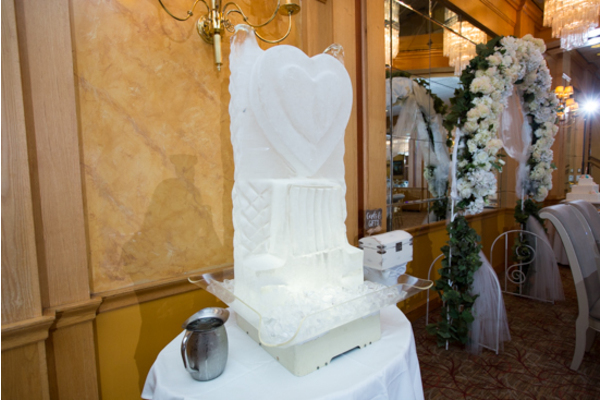 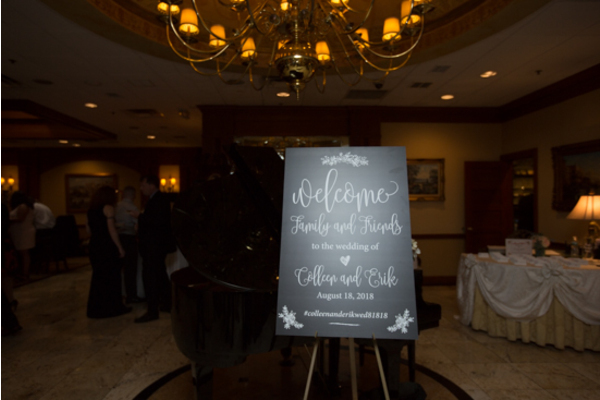 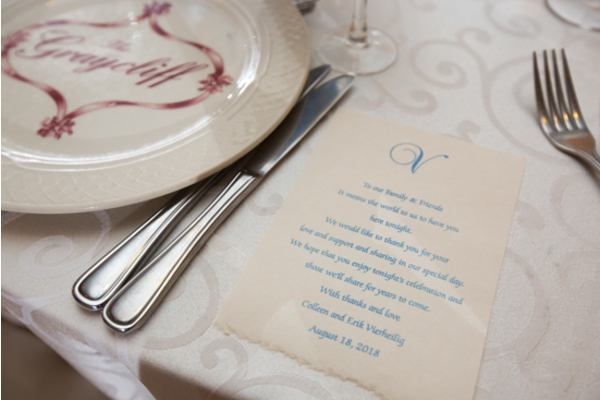 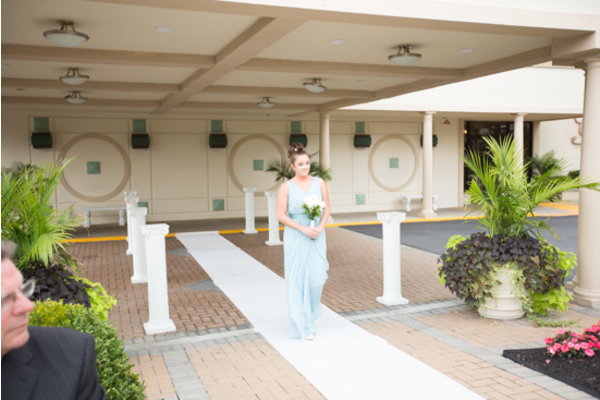 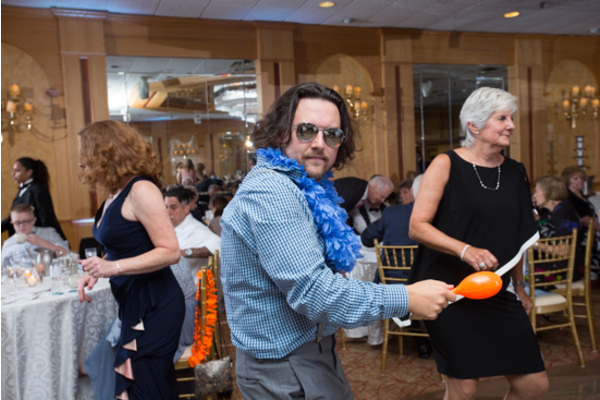 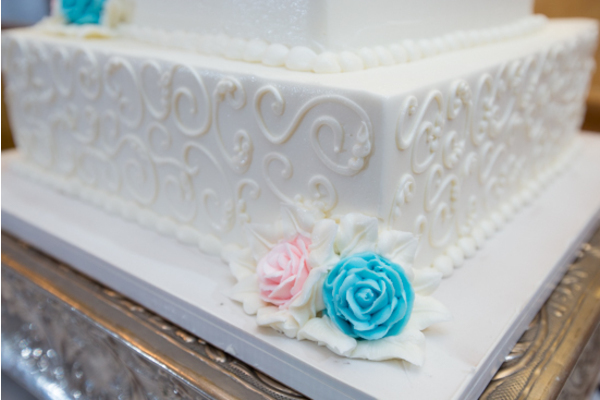 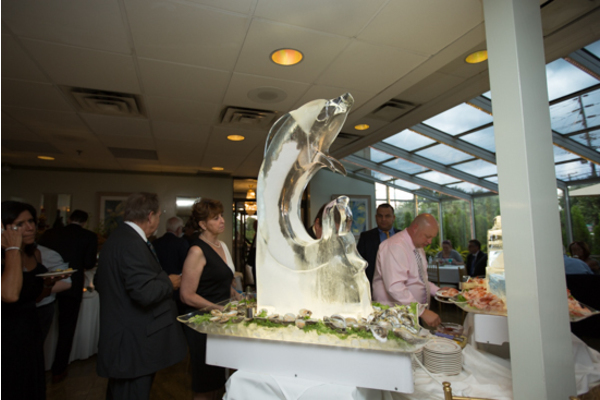 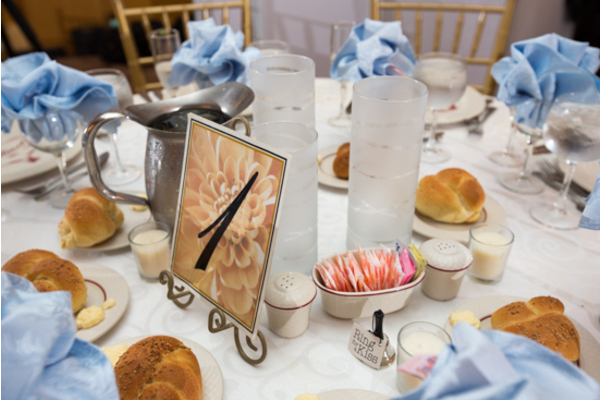 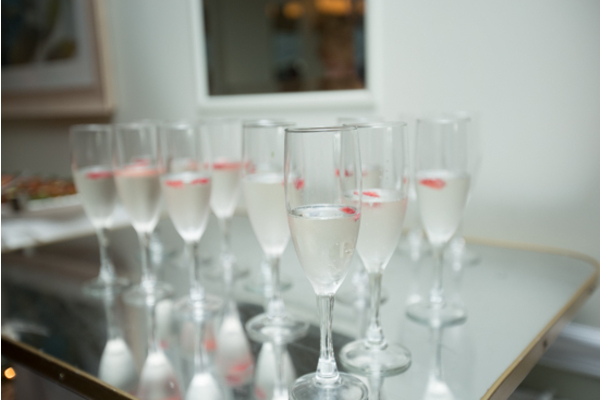 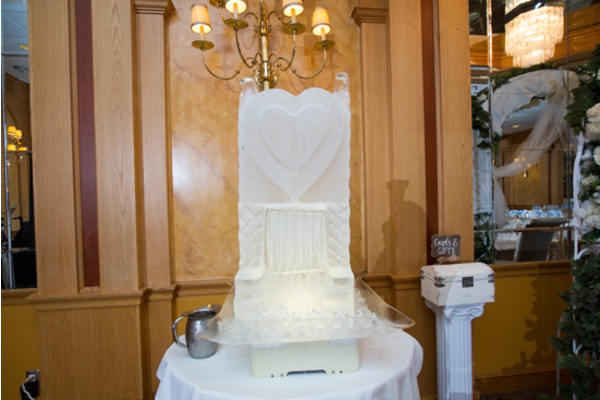 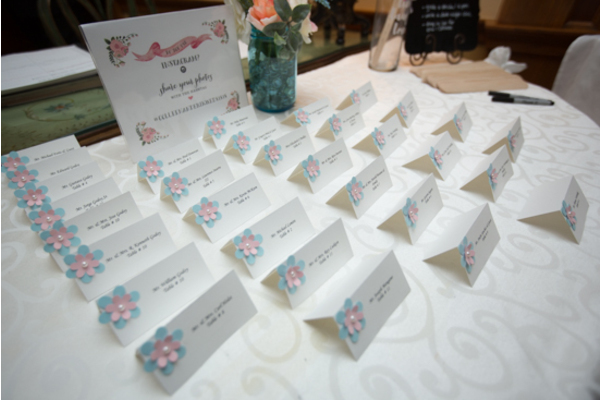 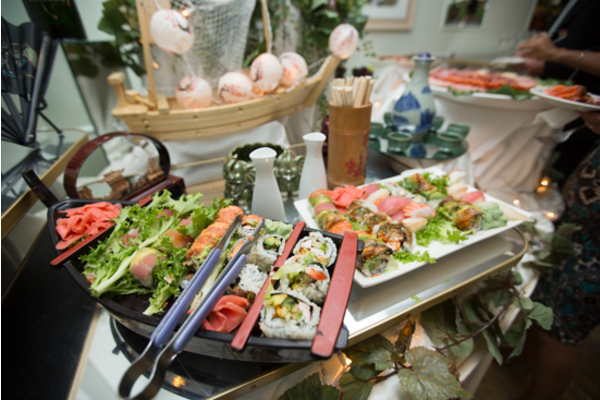 The reception featured colorful drinks, scrumptious treats, and a marble dance floor! 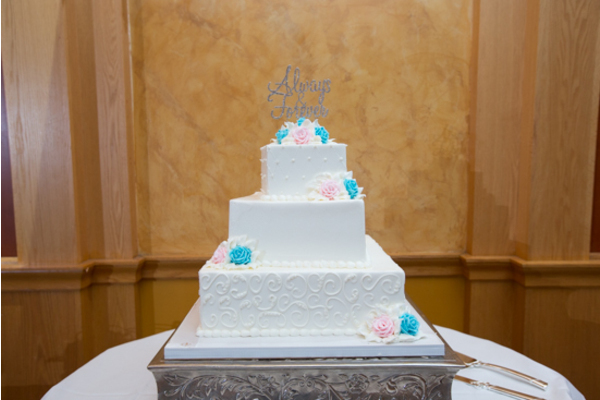 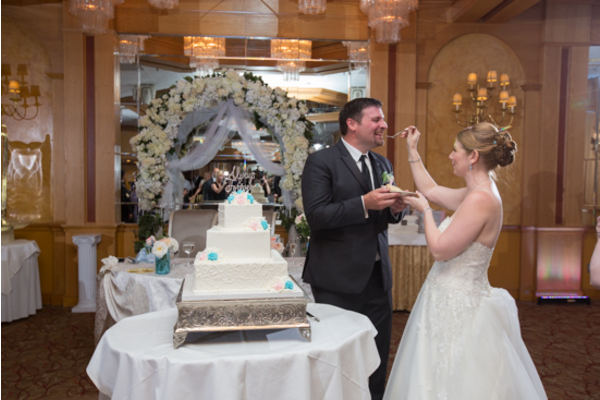 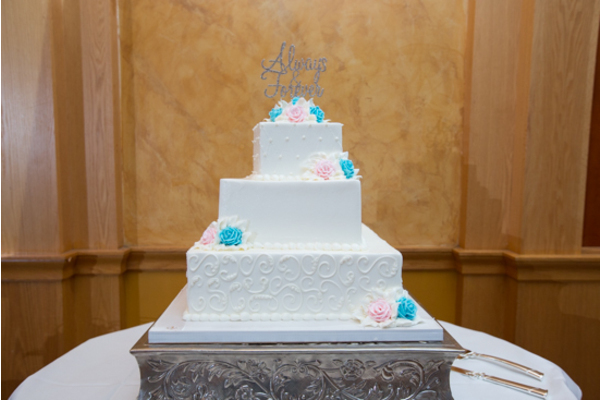 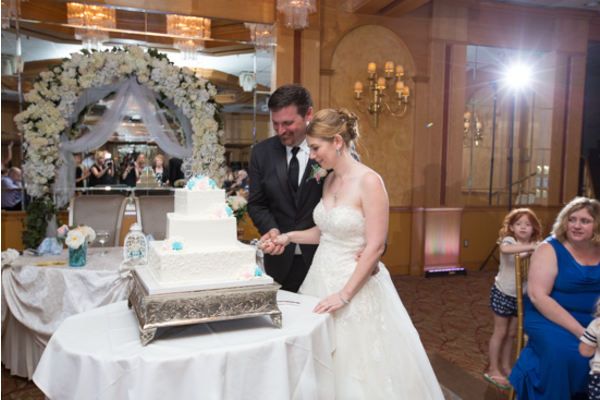 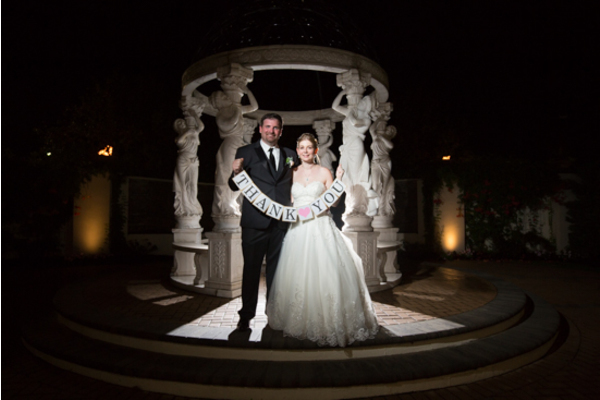 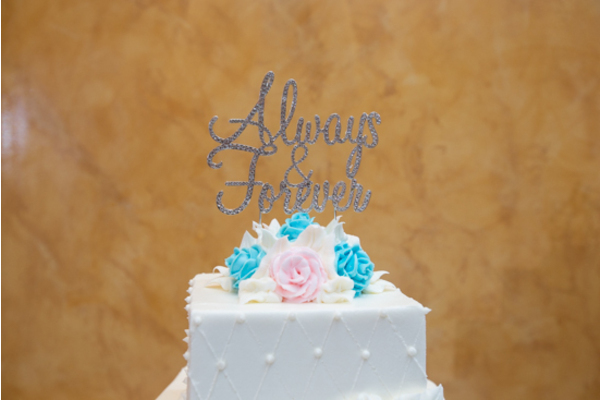 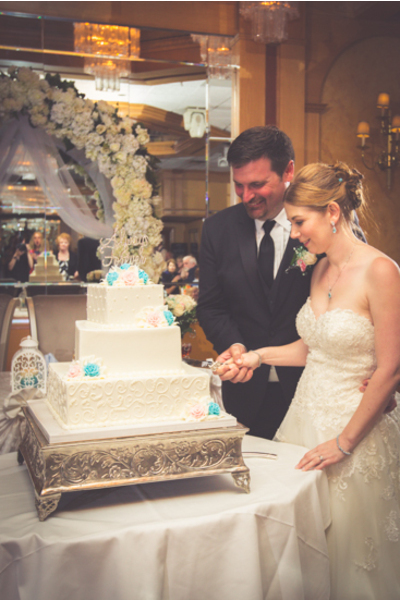 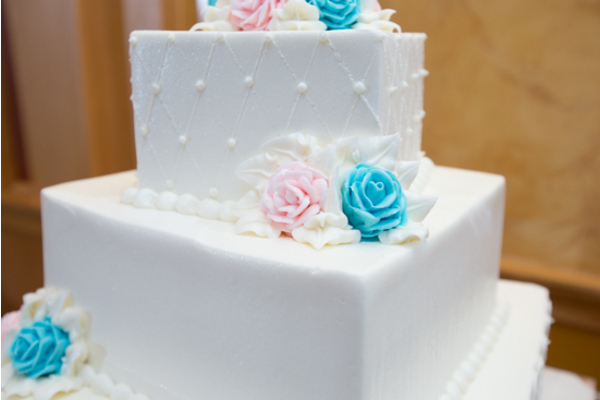 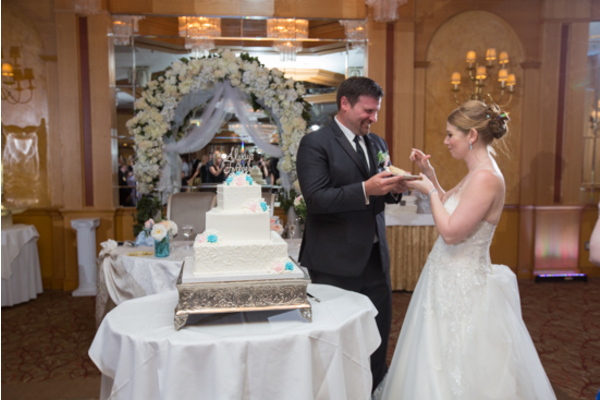 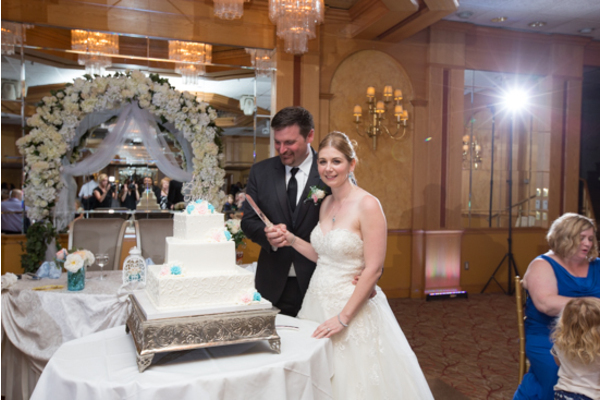 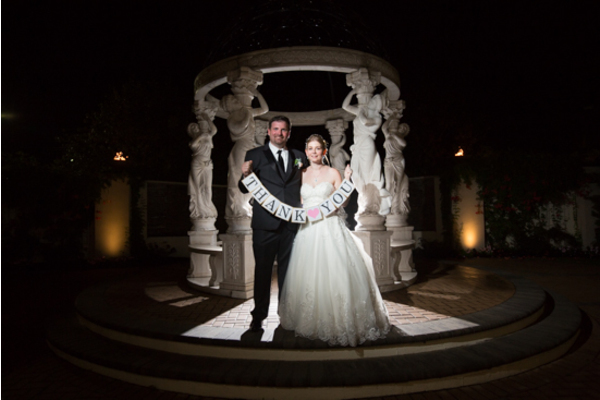 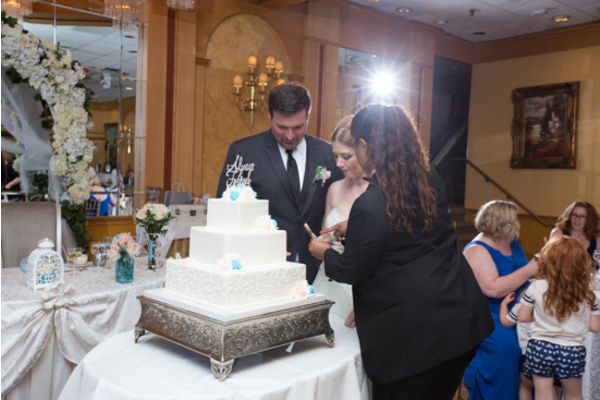 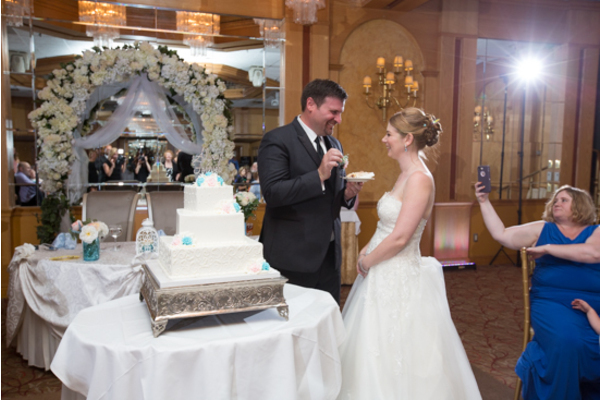 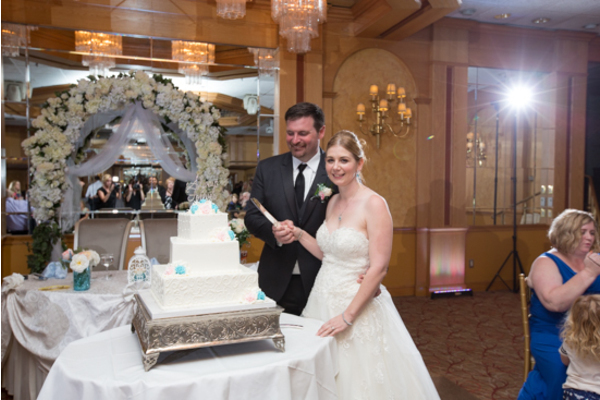 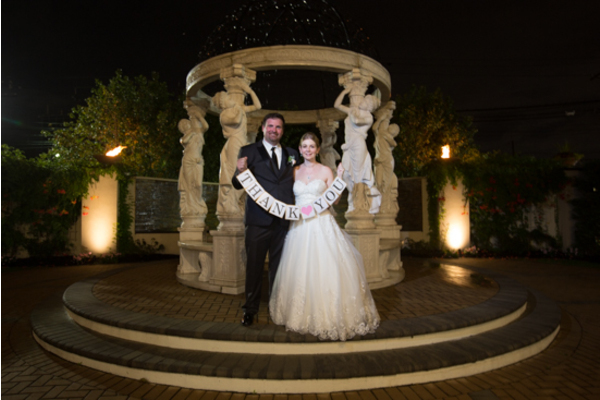 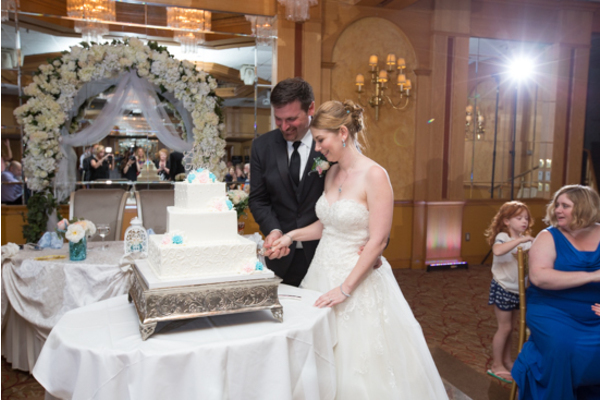 The topper on their pink and blue rose cake read “always and forever.” Later, Colleen and Erik snuck off with our NJ Wedding Photographer for pictures with sparklers! 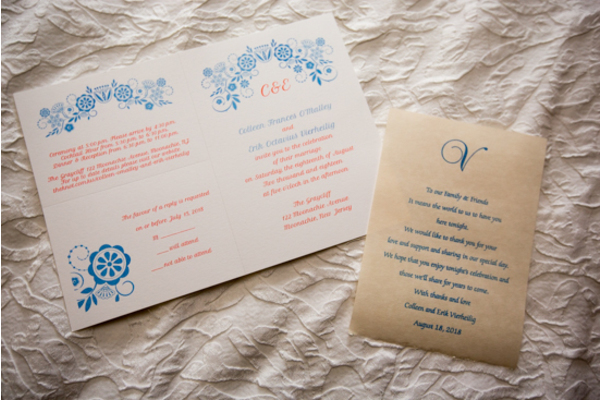 Congrats again to the lovely Colleen and Erik. 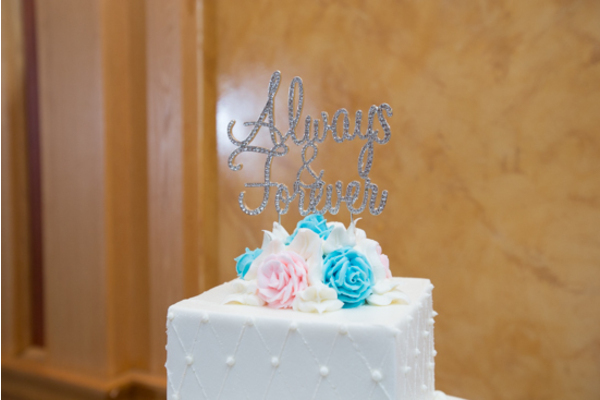 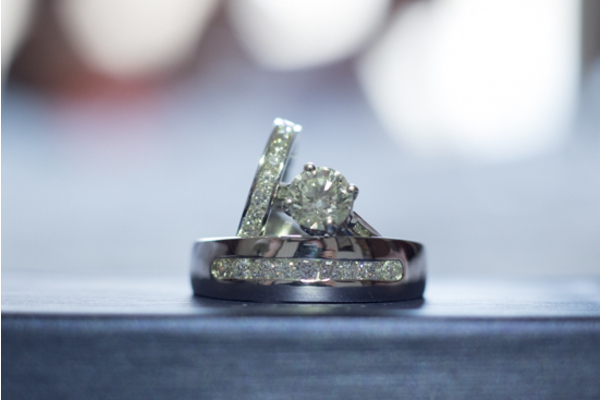 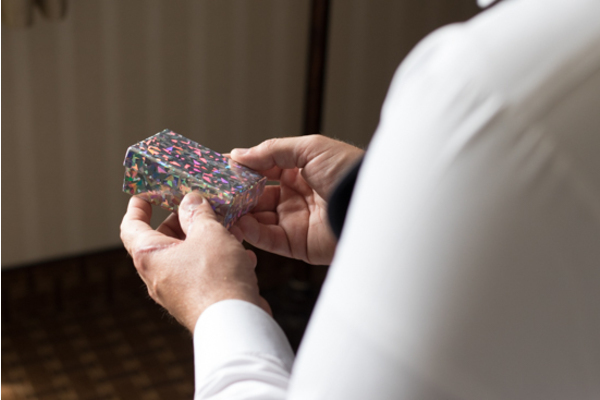 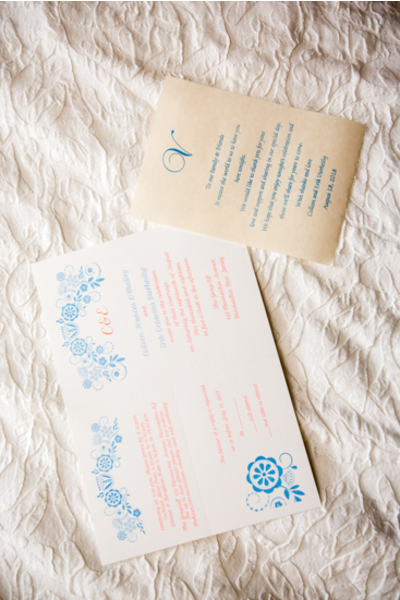 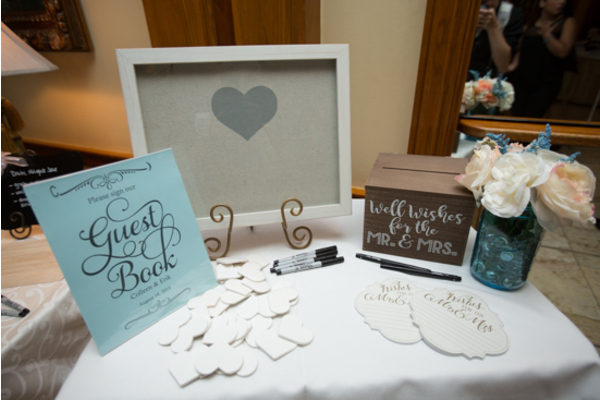 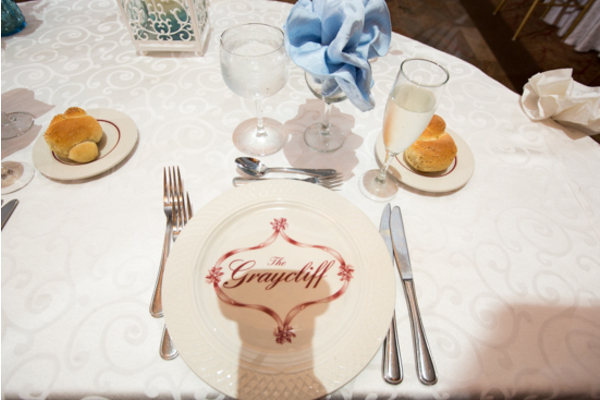 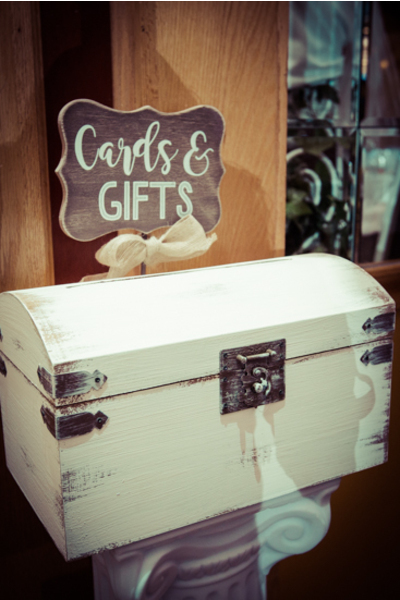 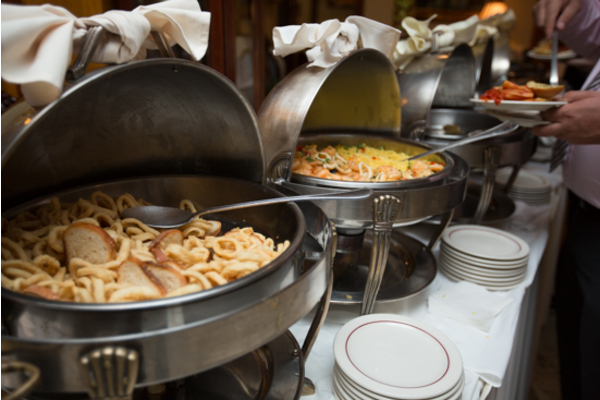 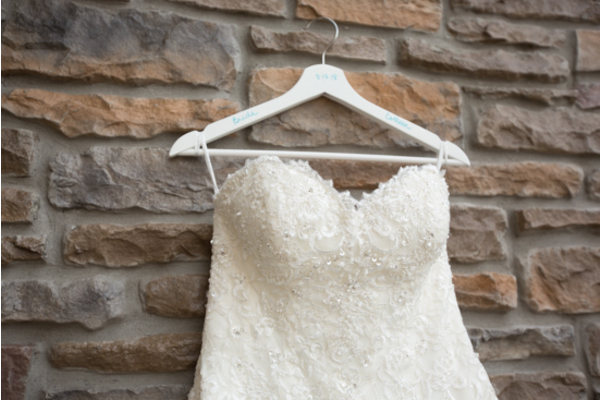 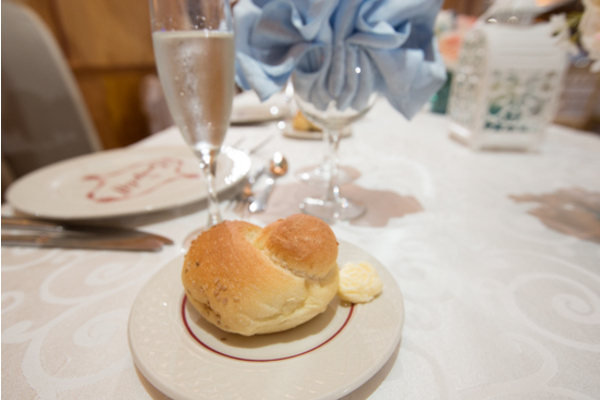 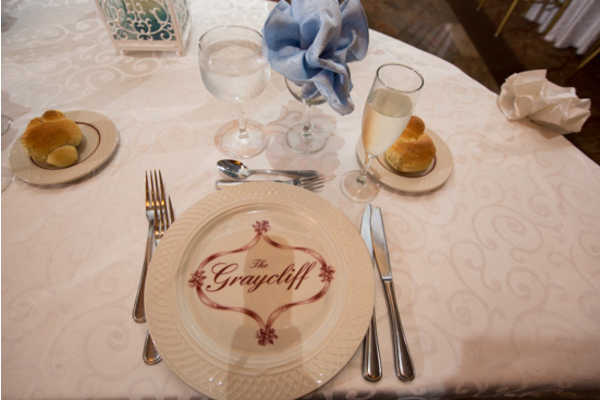 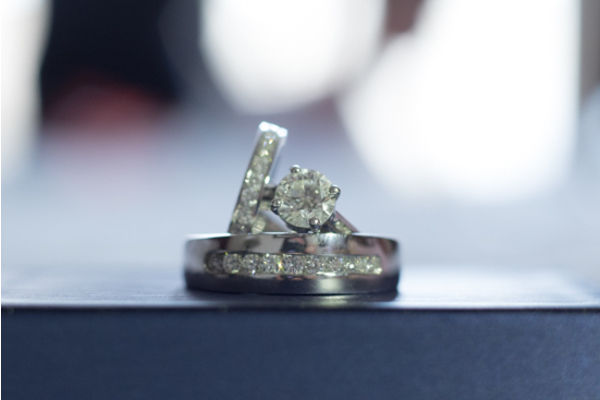 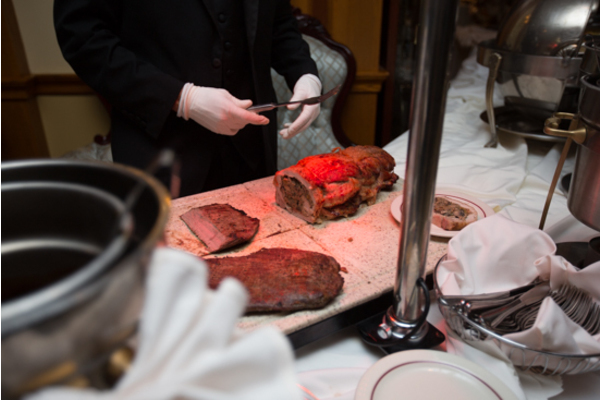 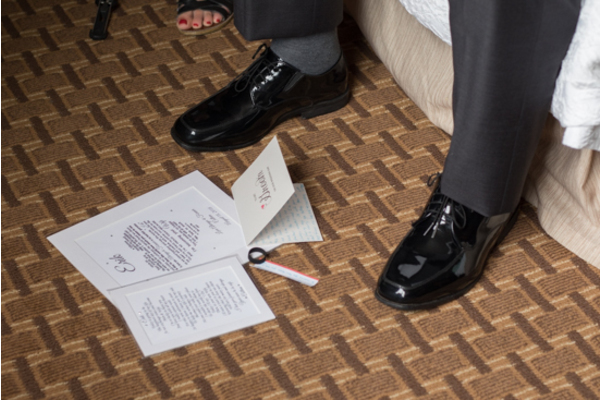 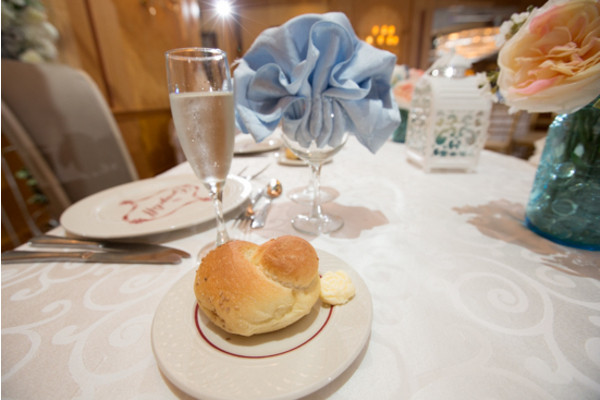 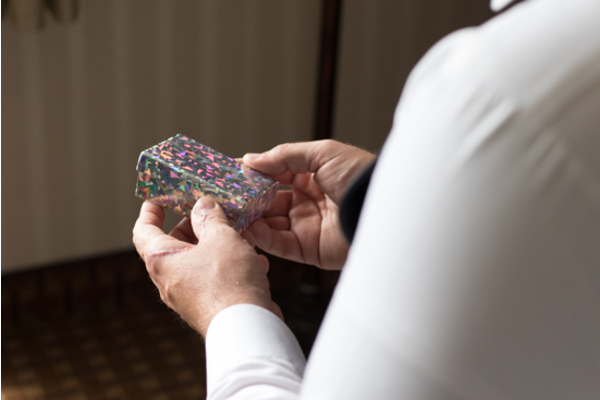 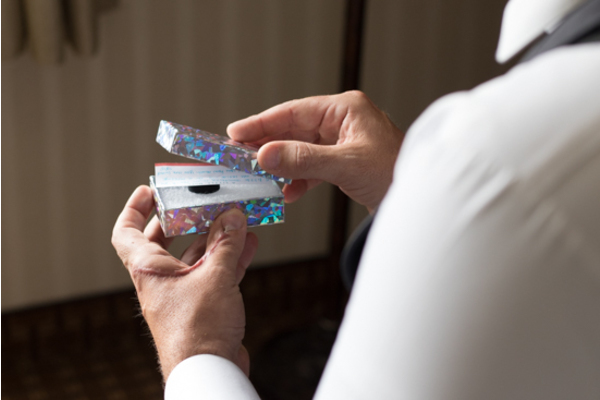 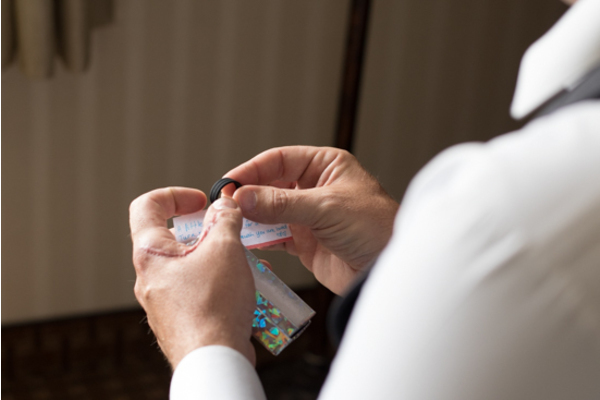 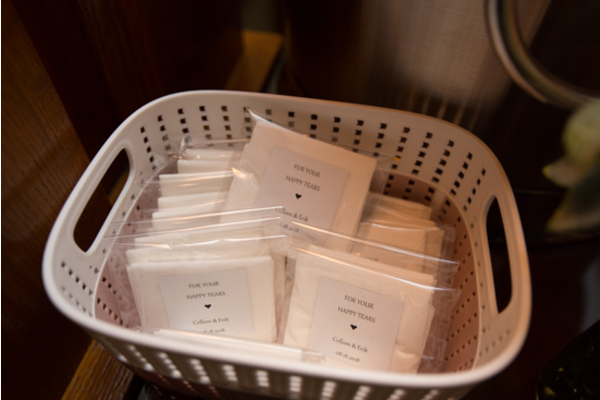 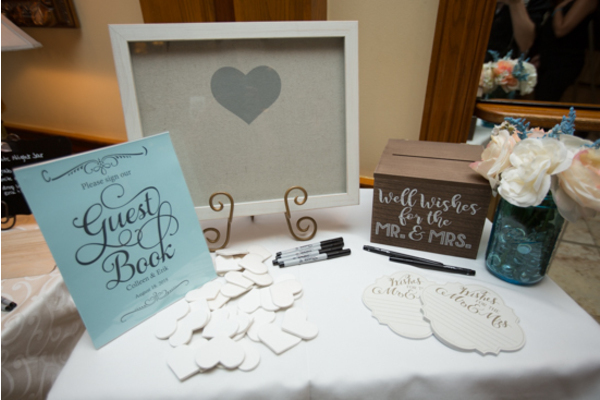 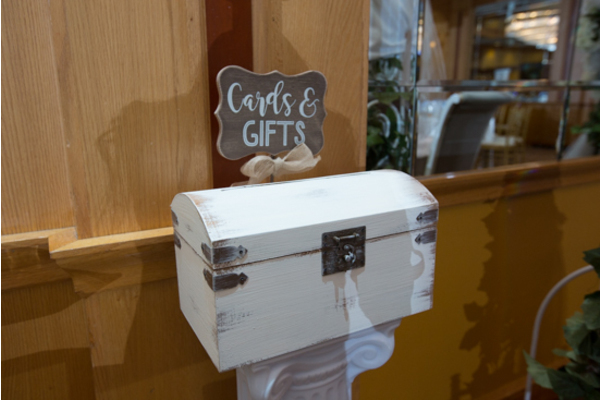 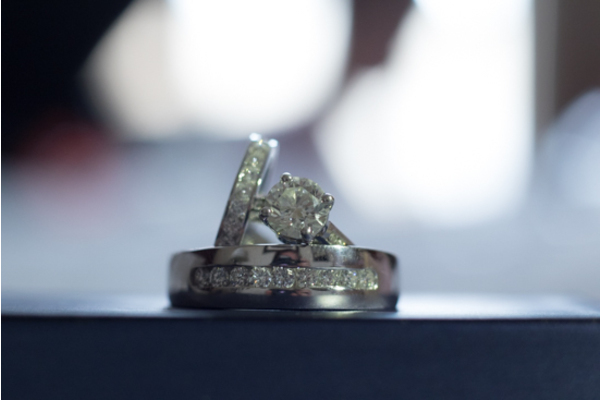 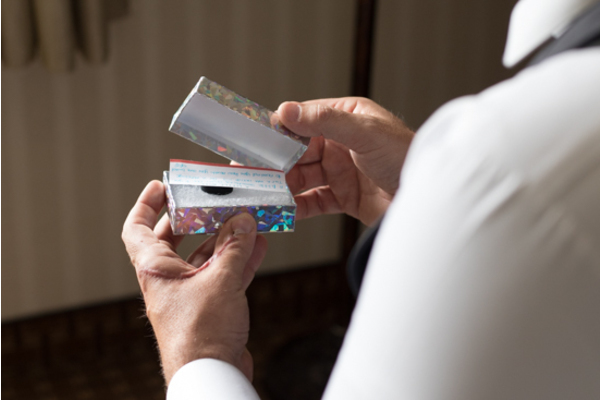 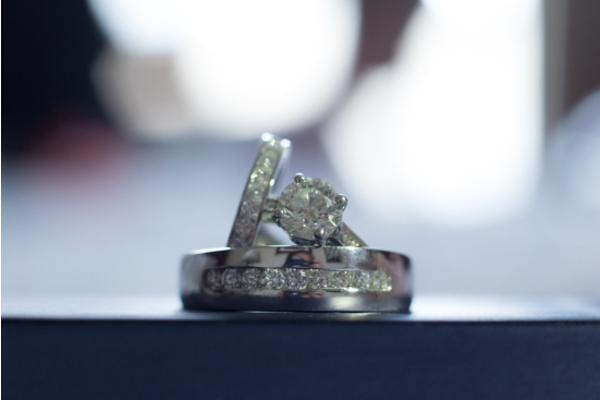 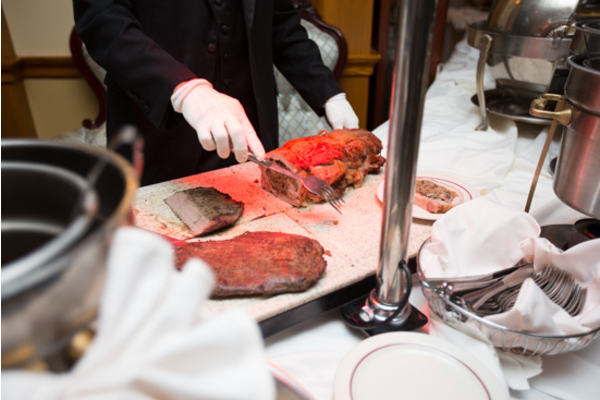 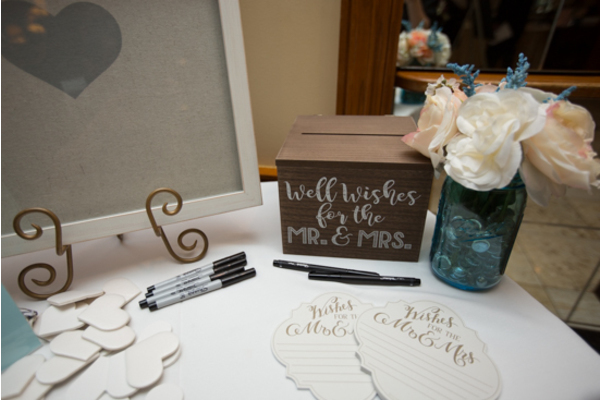 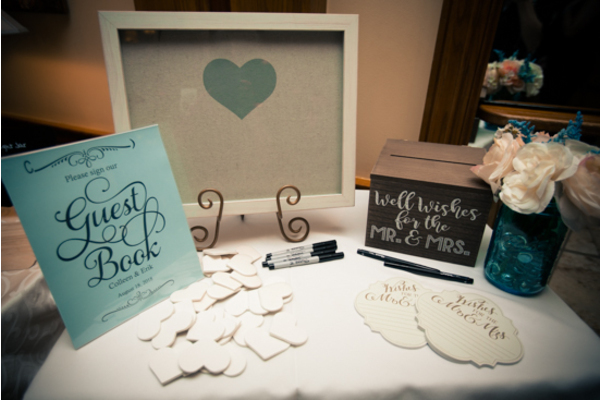 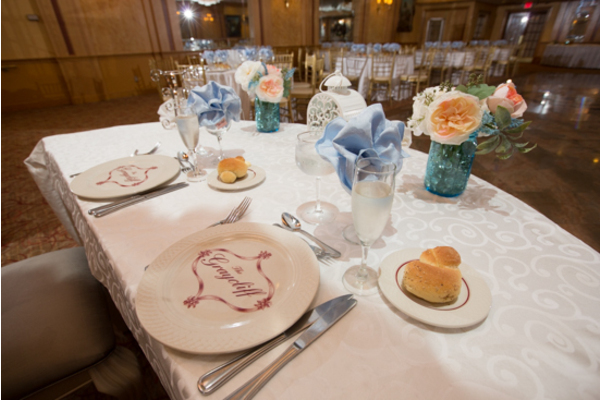 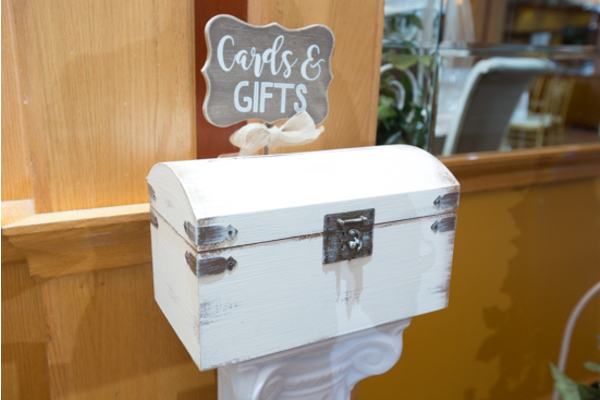 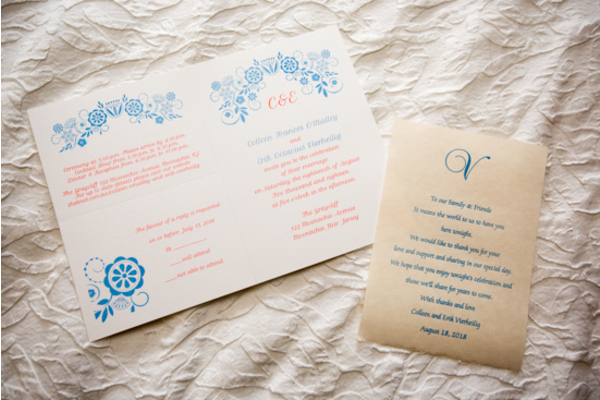 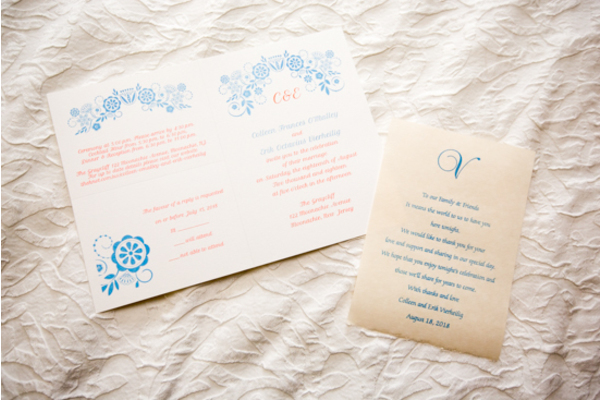 Of course, we were grateful to add a little *sparkle* to your wedding!